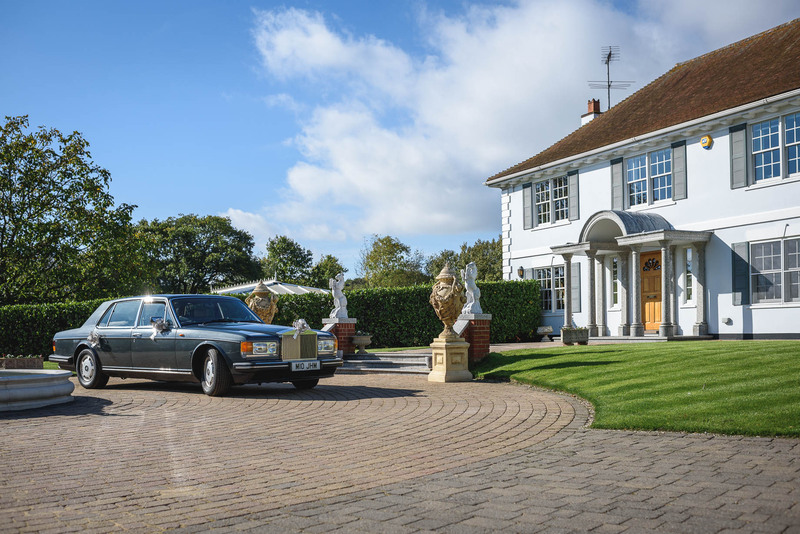 And so to Essex! 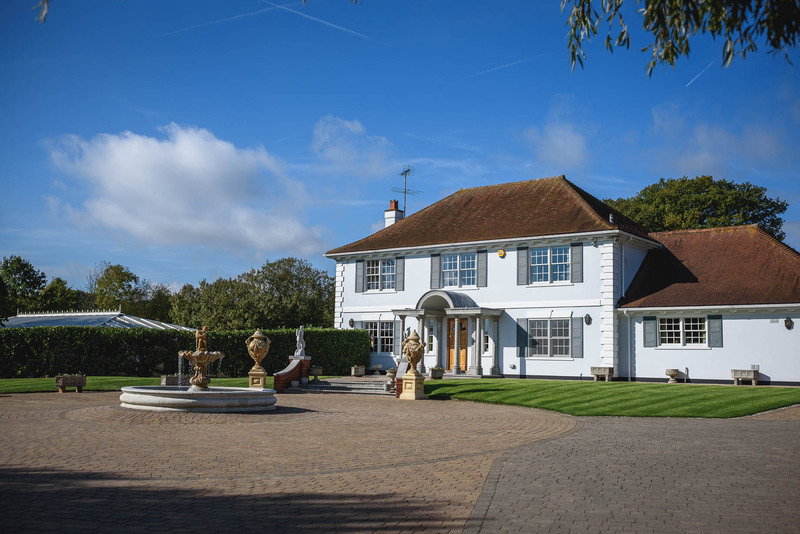 Or, more accurately, Benfleet, and the gorgeous home of Lucie and James, venue for today’s majestic slice of marital wonderment. 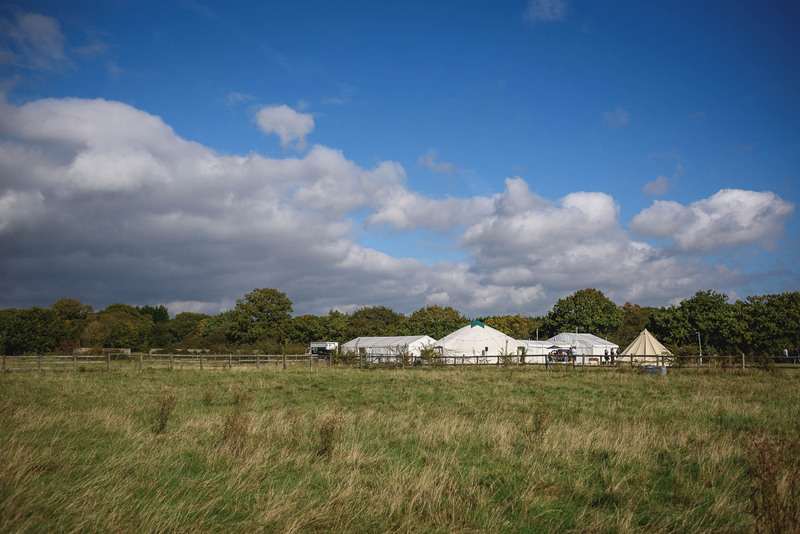 You can tick the boxes of things you’d want at a wedding here. 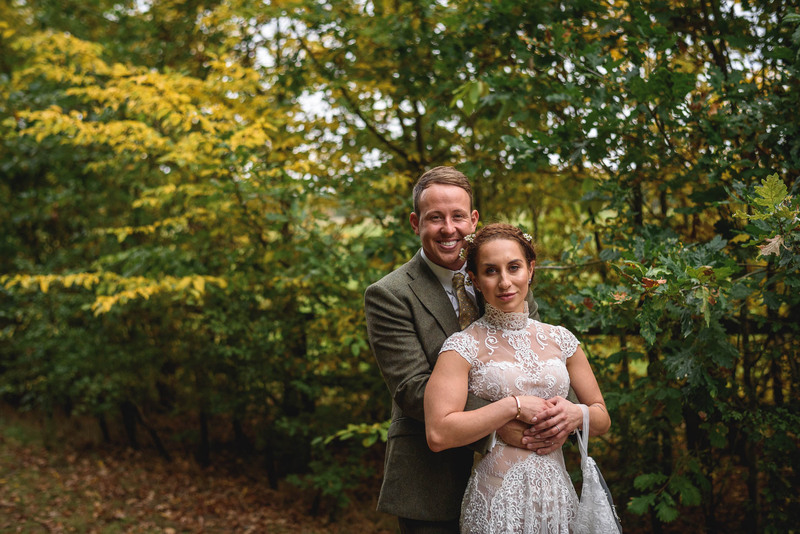 Brilliant couple. 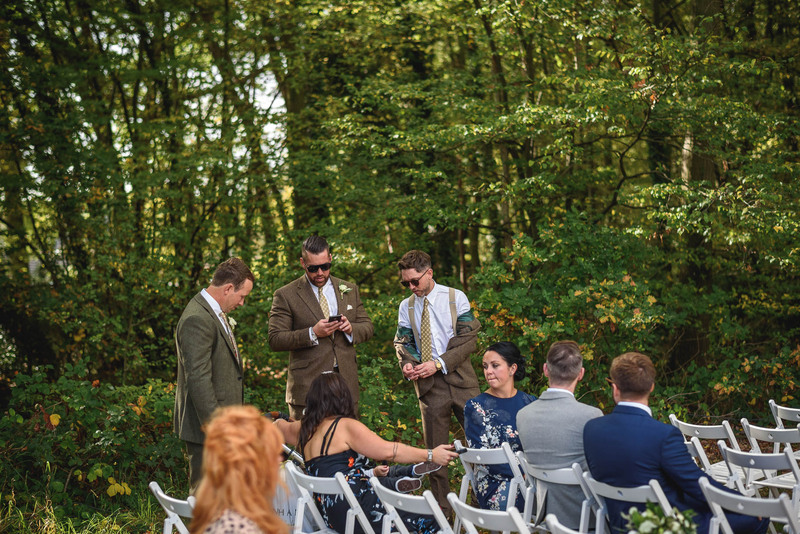 Perfect locations. 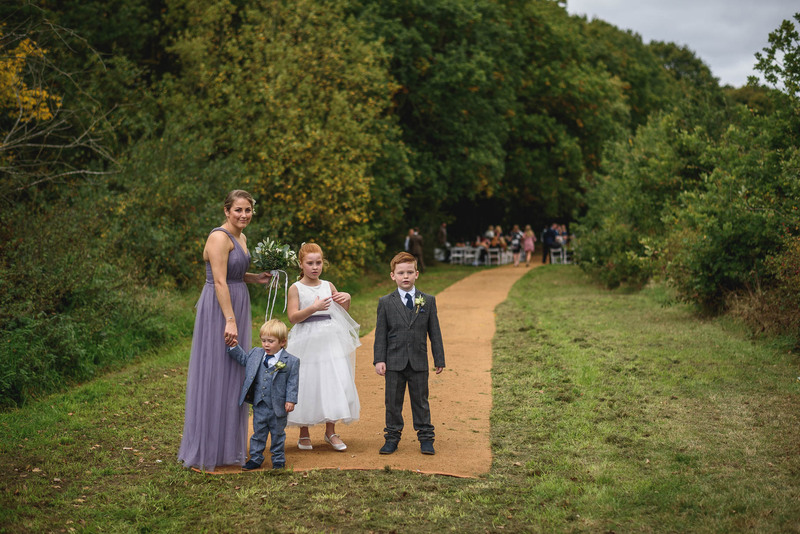 Dry autumn weather and the resulting colours. 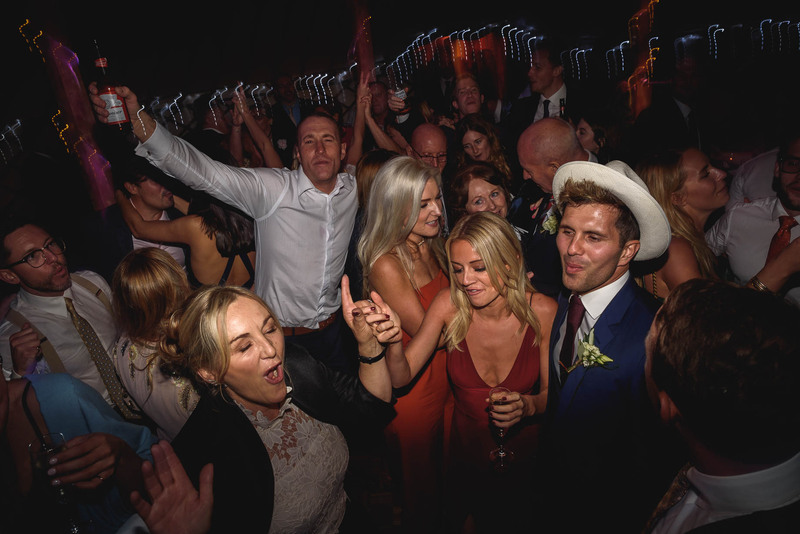 Guests who knew how to get on it and throw the party Lucie and James deserved. 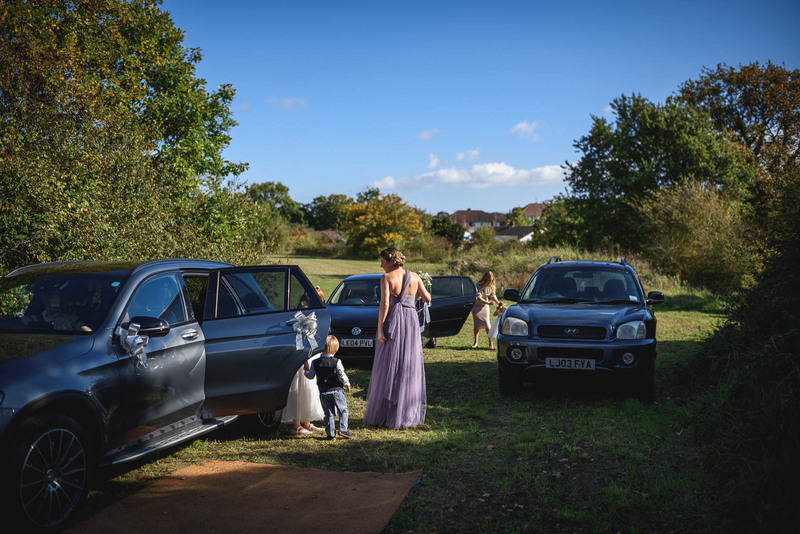 So, after a rare trouble-free excursion up the M3, around the M25 and through the Dartford Tunnel, I arrived to find the prep in full swing. 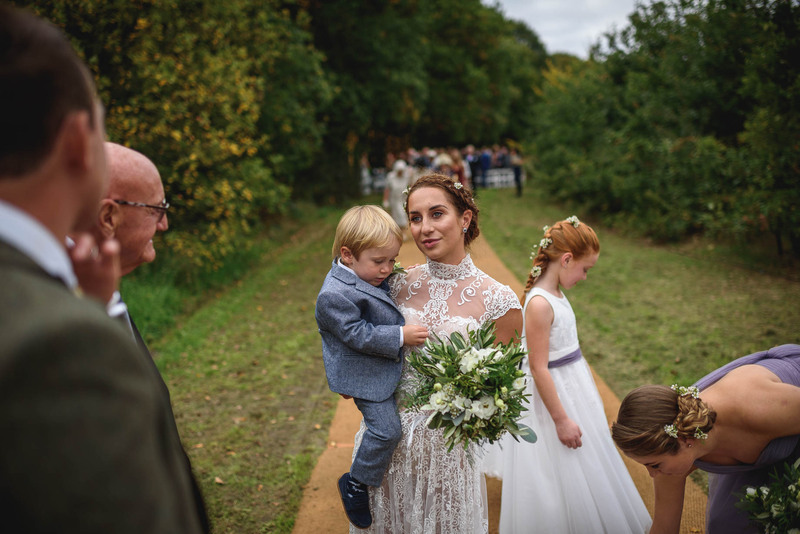 Lucie at the centre, with her little boy Arthur alongside. 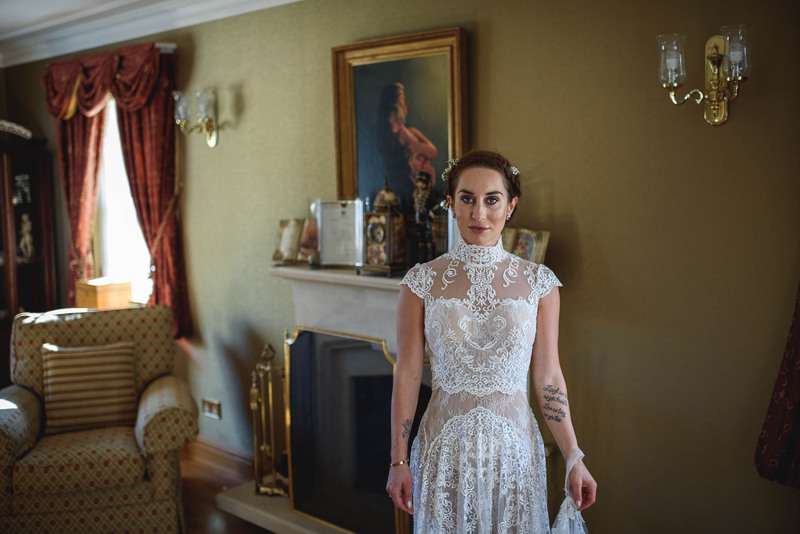 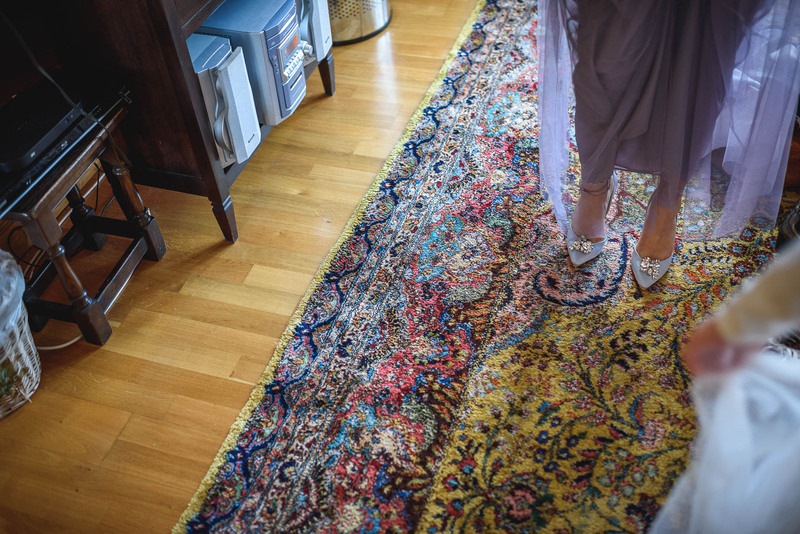 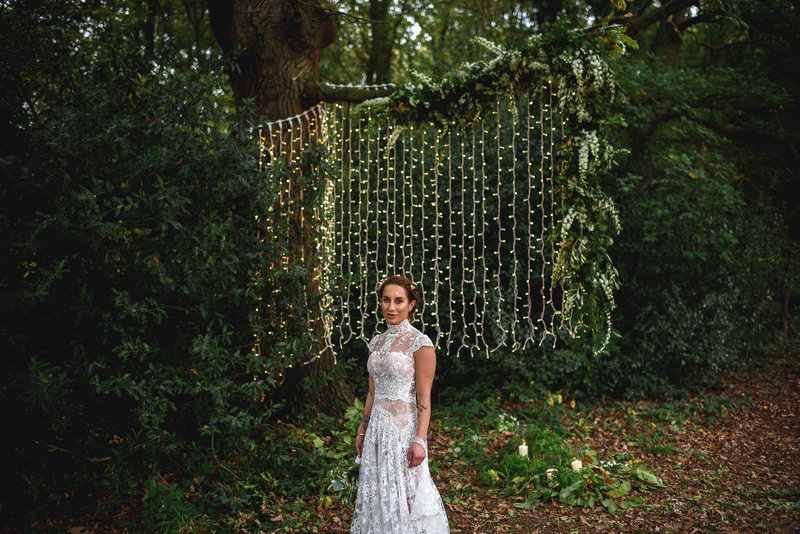 The reveal of a quite stunning dress from Riki Dalal. 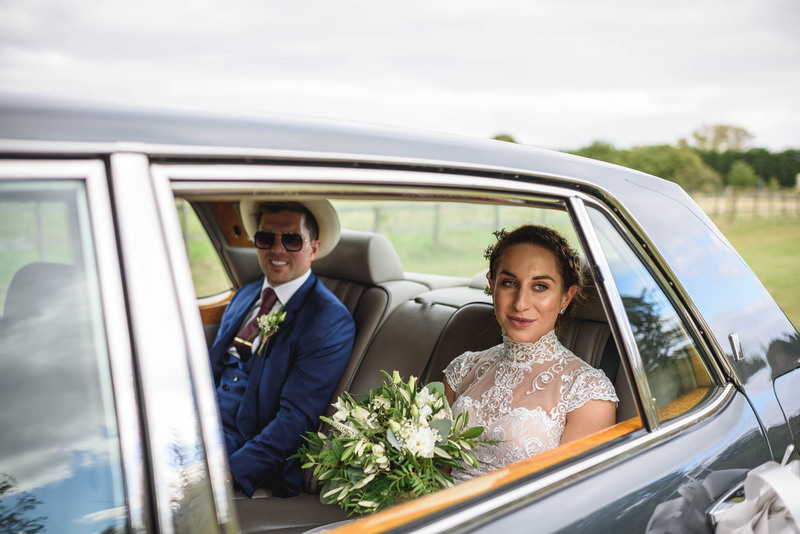 Lucie’s arrival in her father’s Rolls. 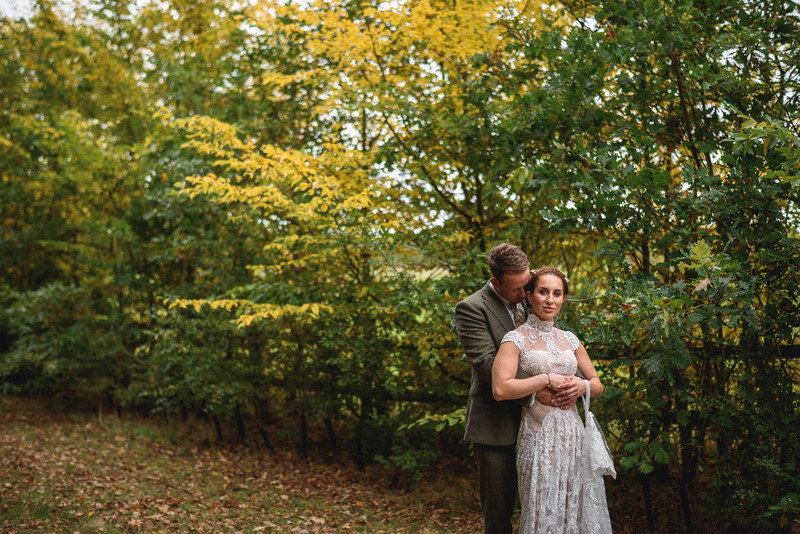 Autumn’s colours punching hard. 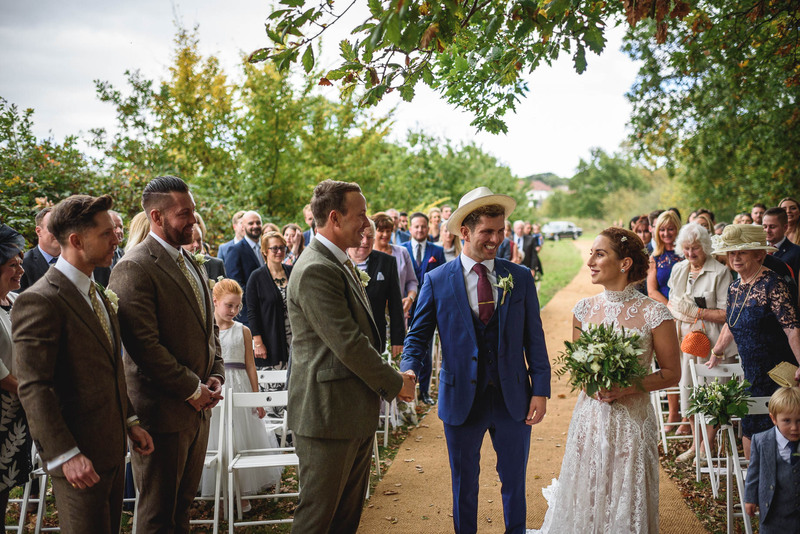 James’s face as he first sees Lucie on her walk towards him, and married life. 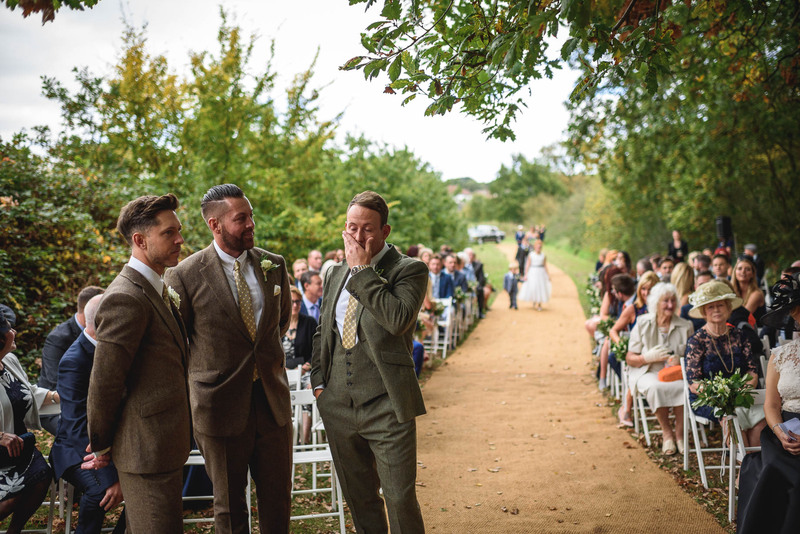 The endless emotion of the ceremony. 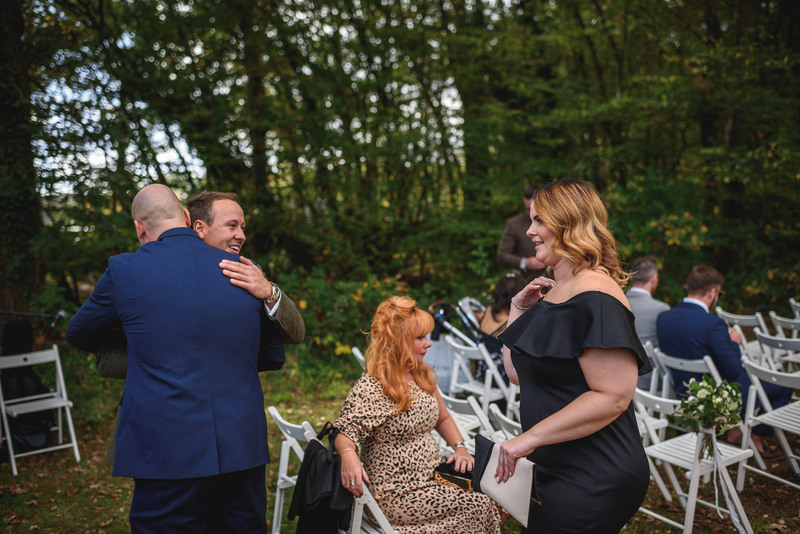 The countless hugs of joy afterwards. 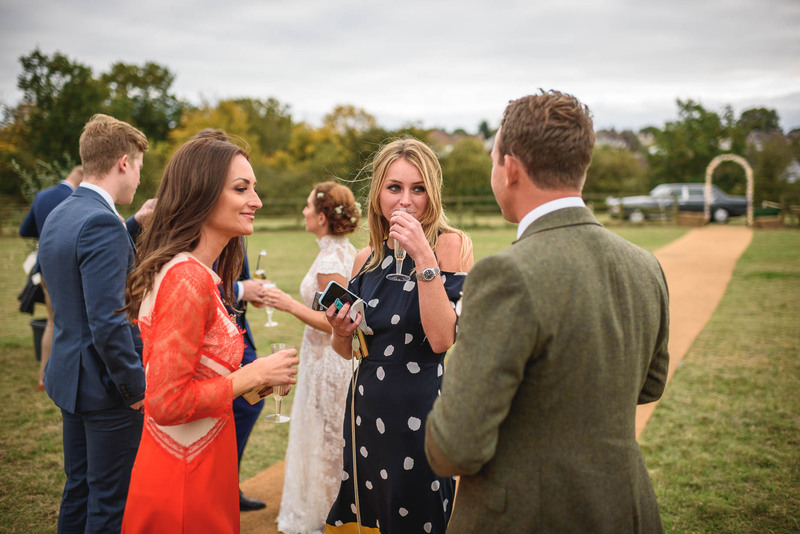 Drinks flowing as the guests mingled. 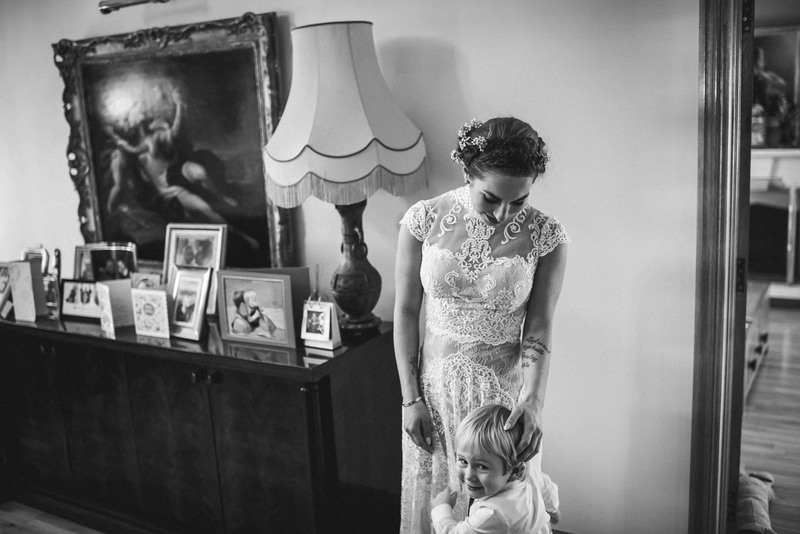 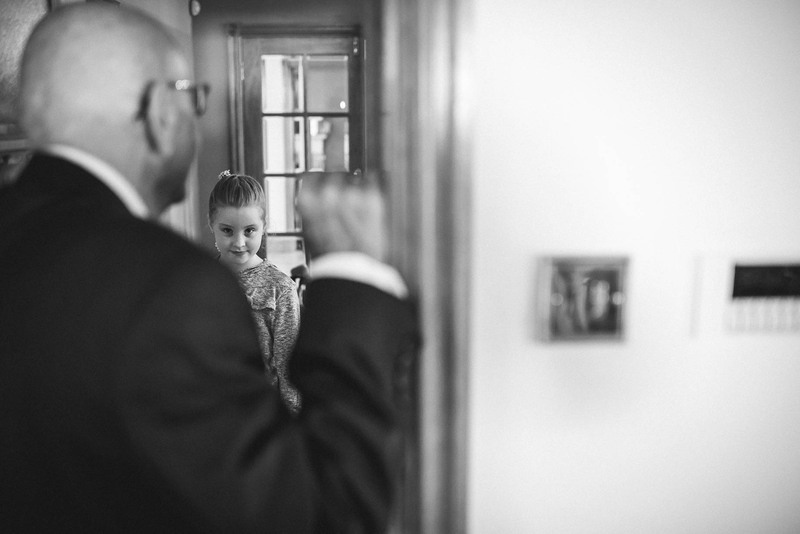 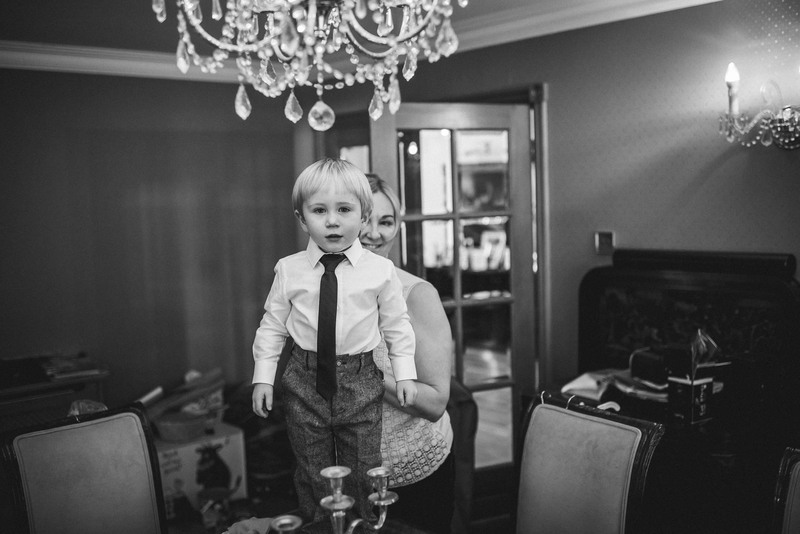 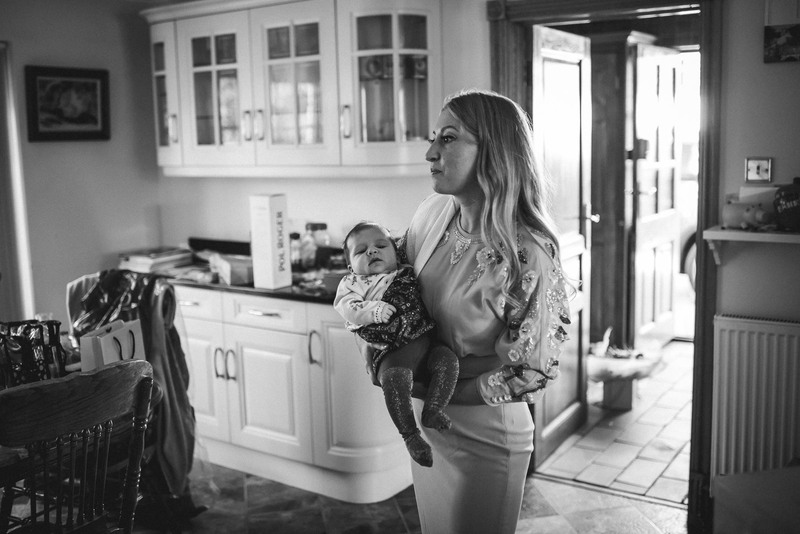 Moments of real tenderness between Lucie and James as I photographed them together. 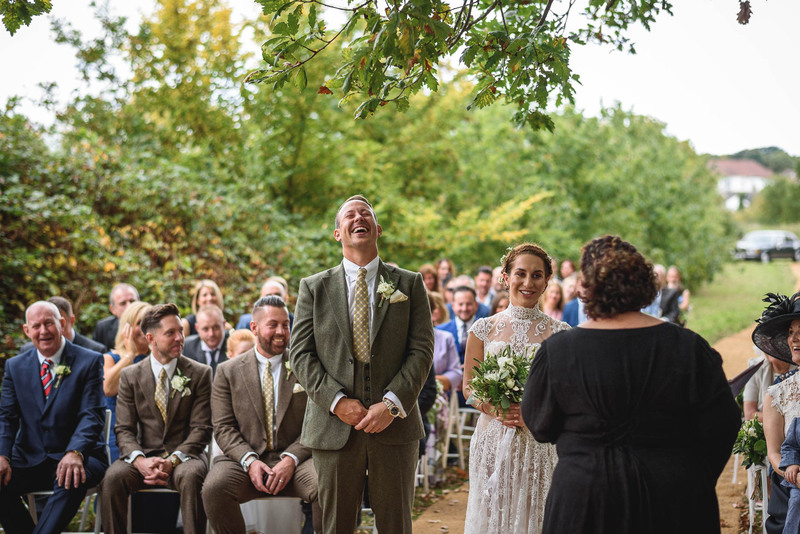 Pure emotion during the speeches, both light and shade. 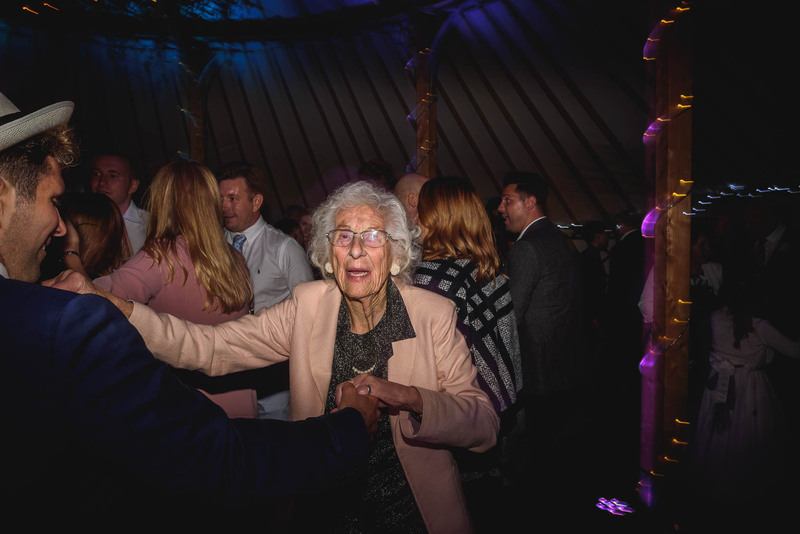 A dancefloor absolutely banging. 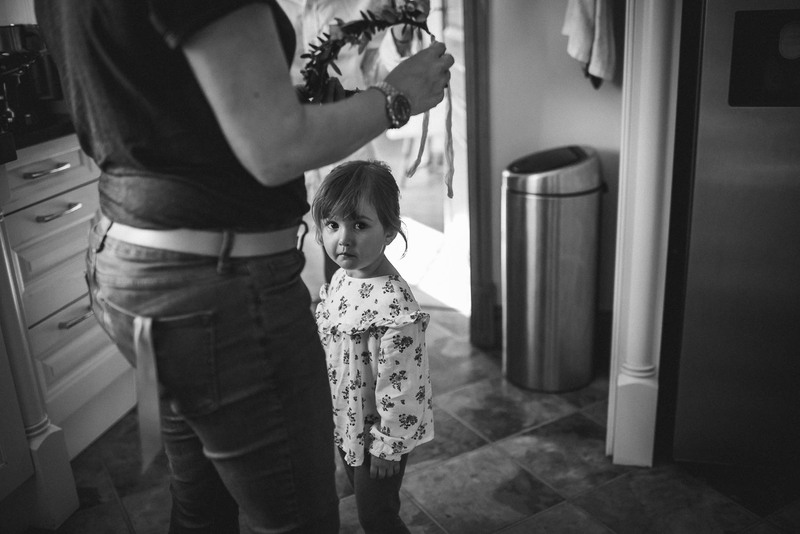 All of the things that matter, with all of the people that mattered. 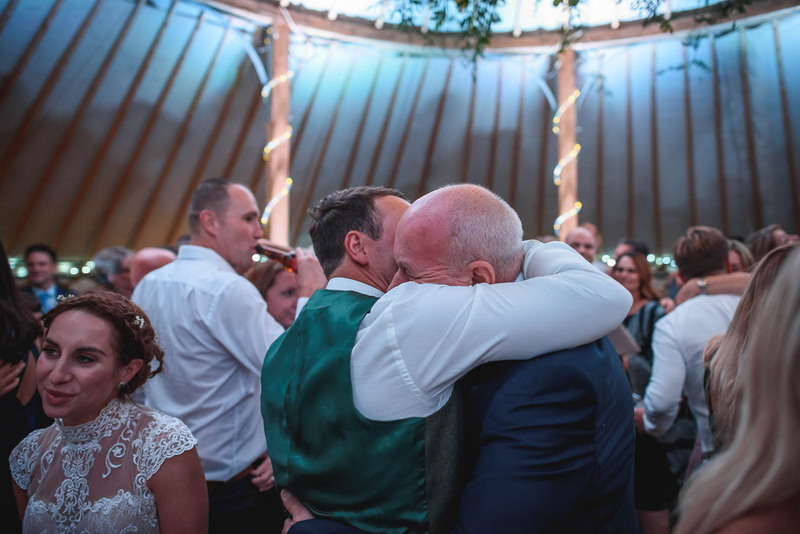 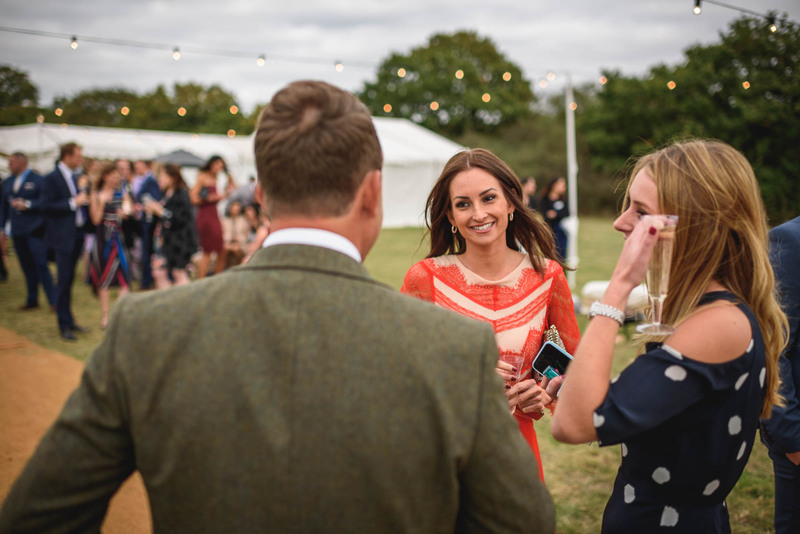 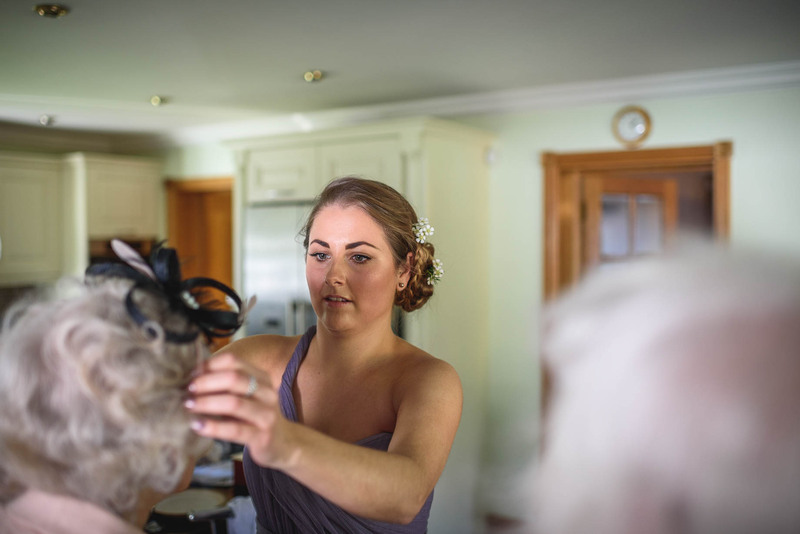 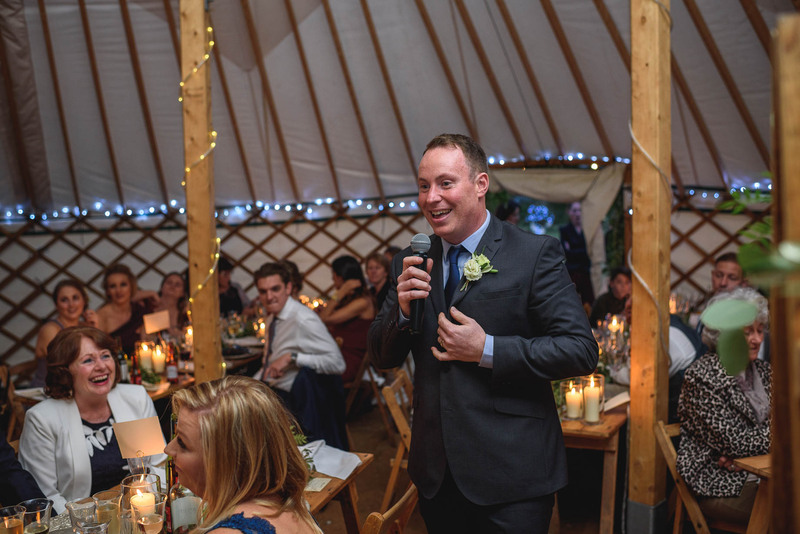 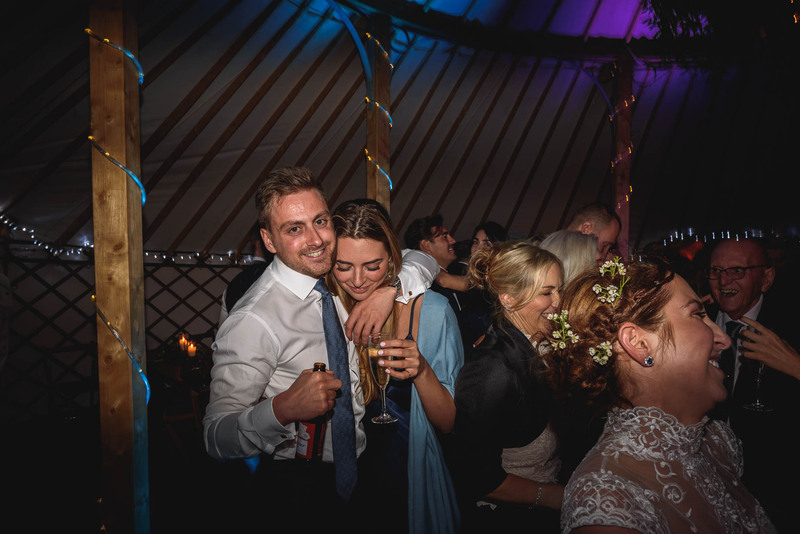 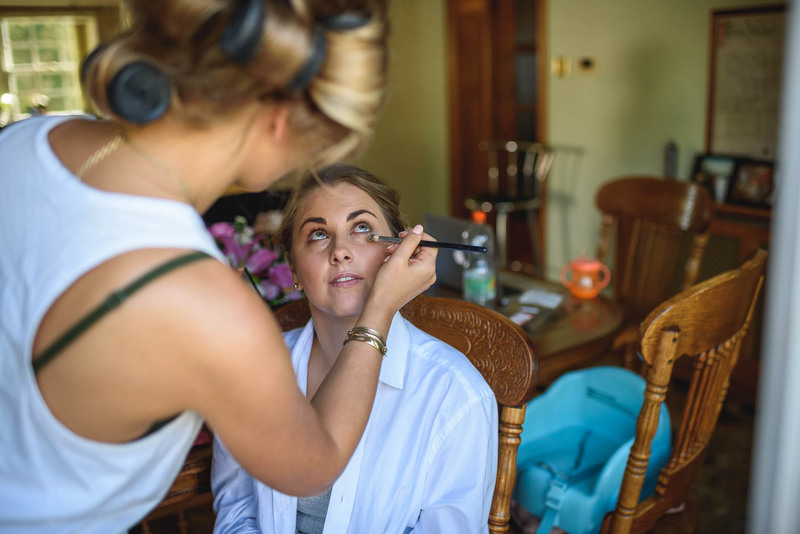 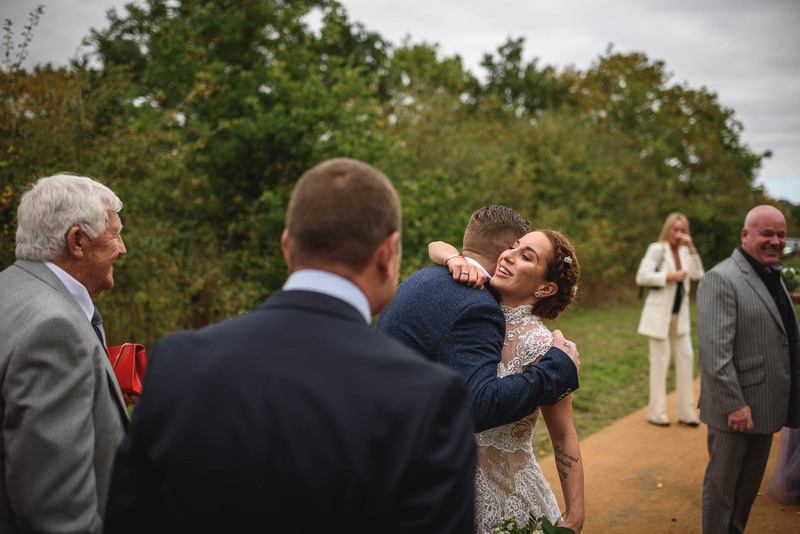 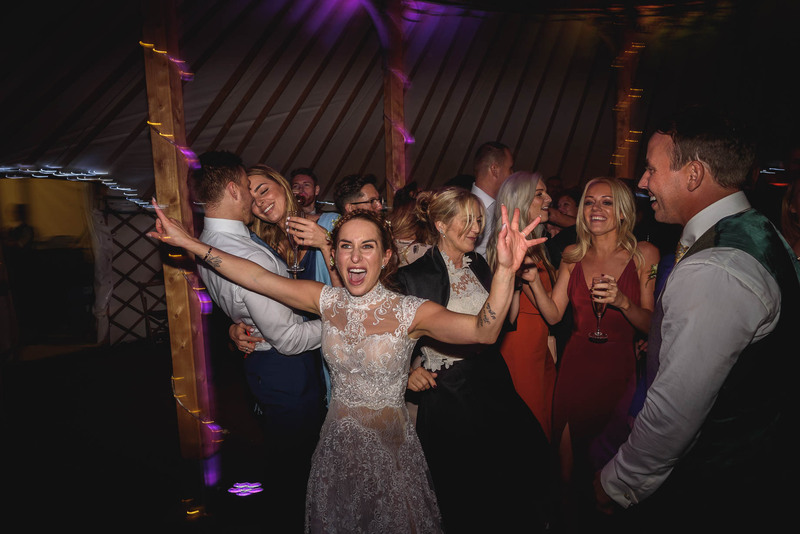 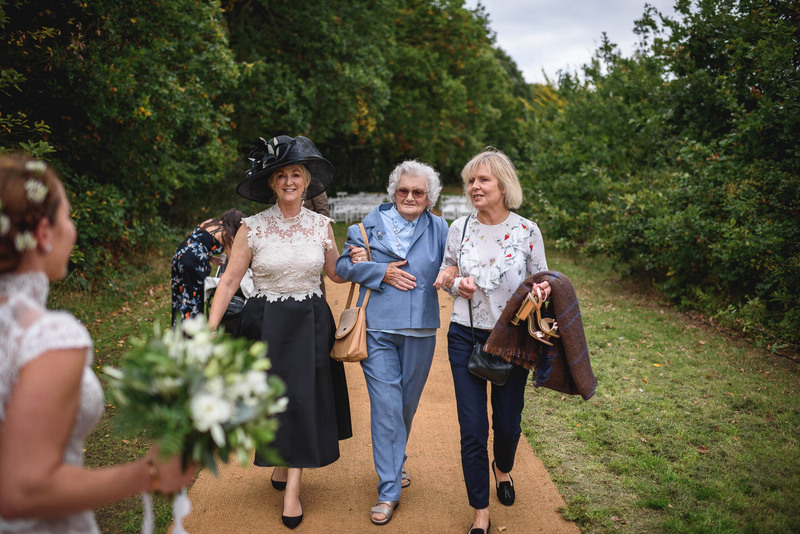 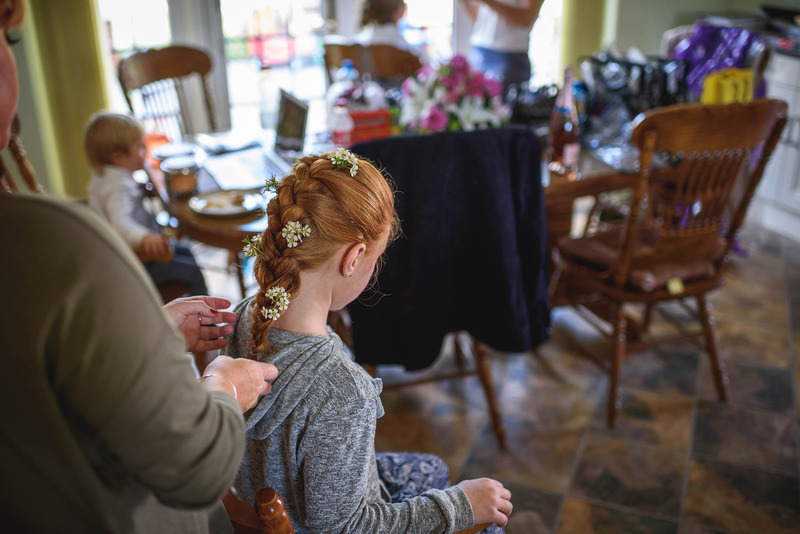 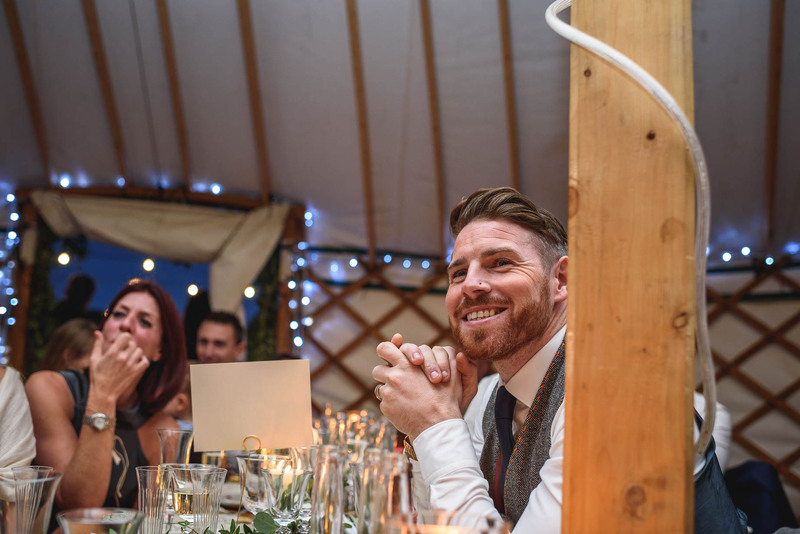 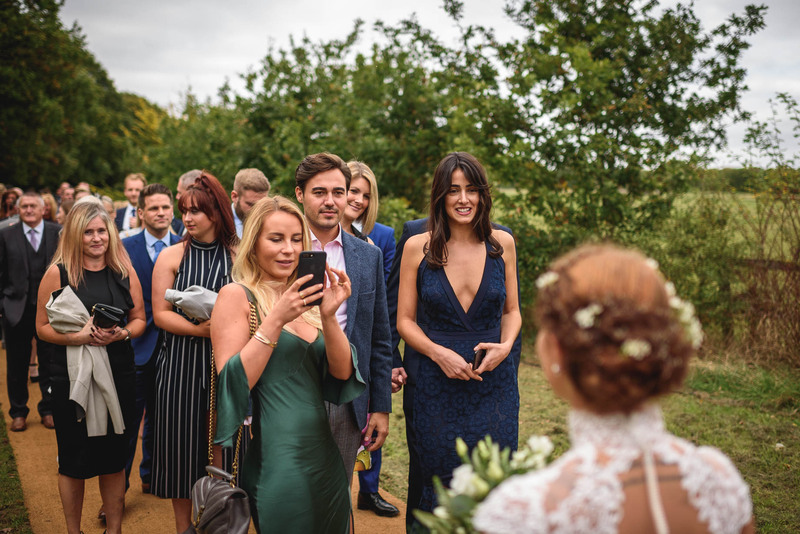 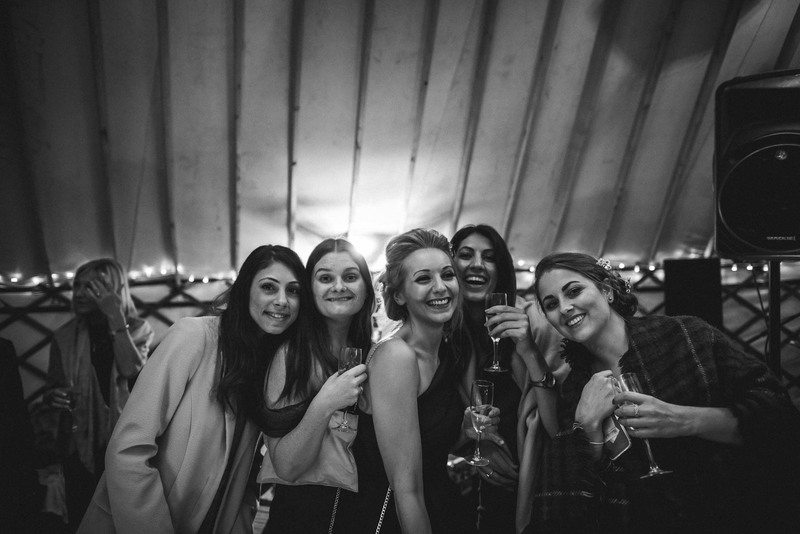 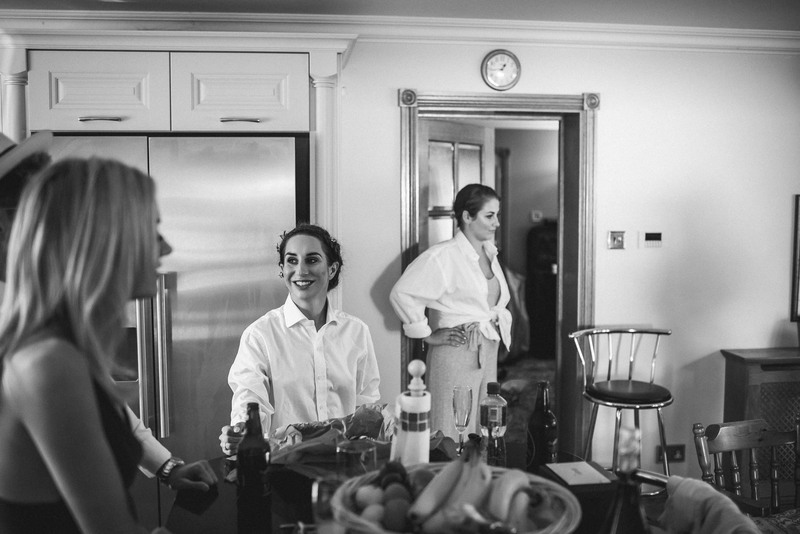 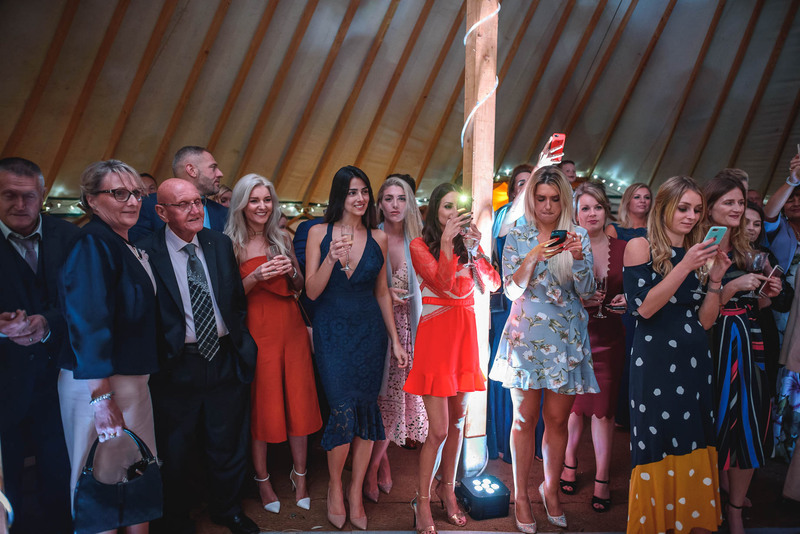 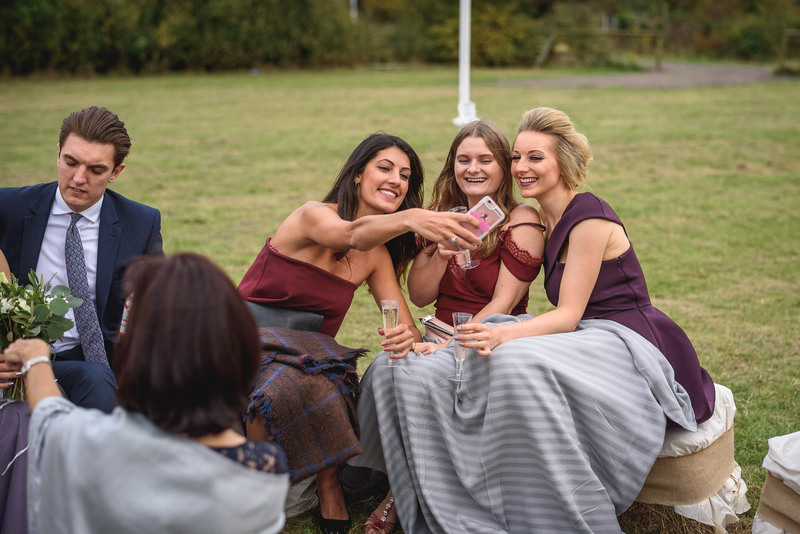 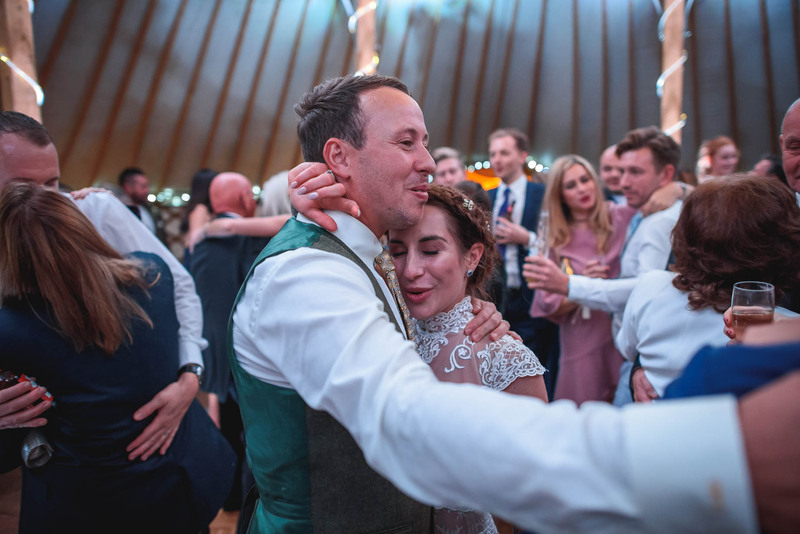 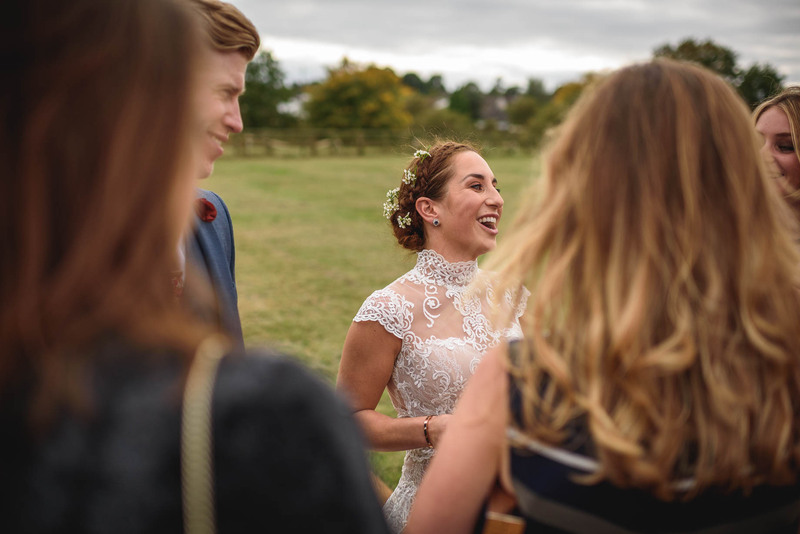 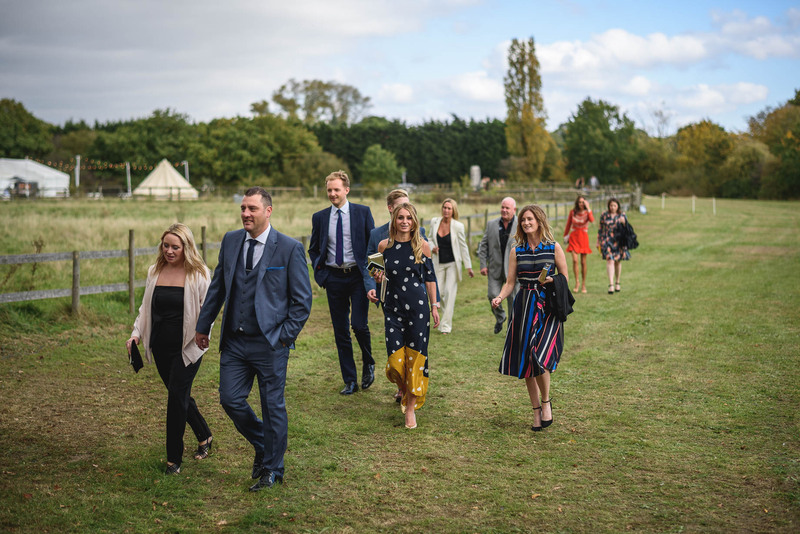 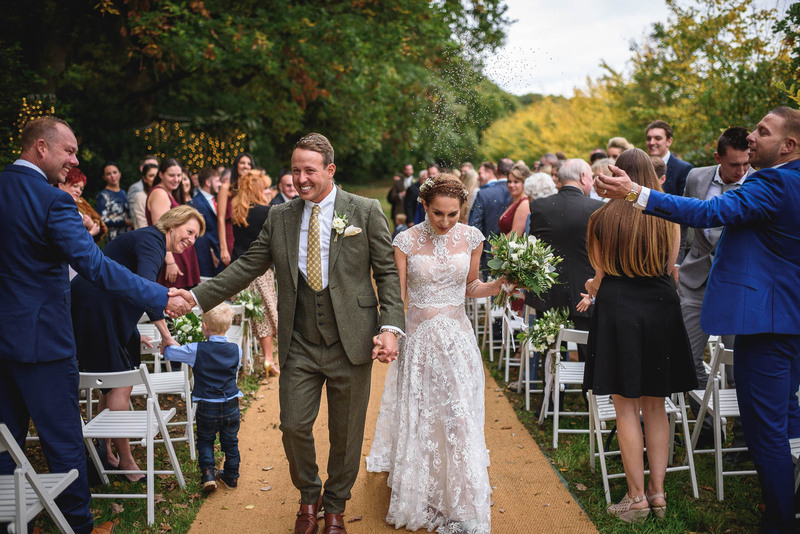 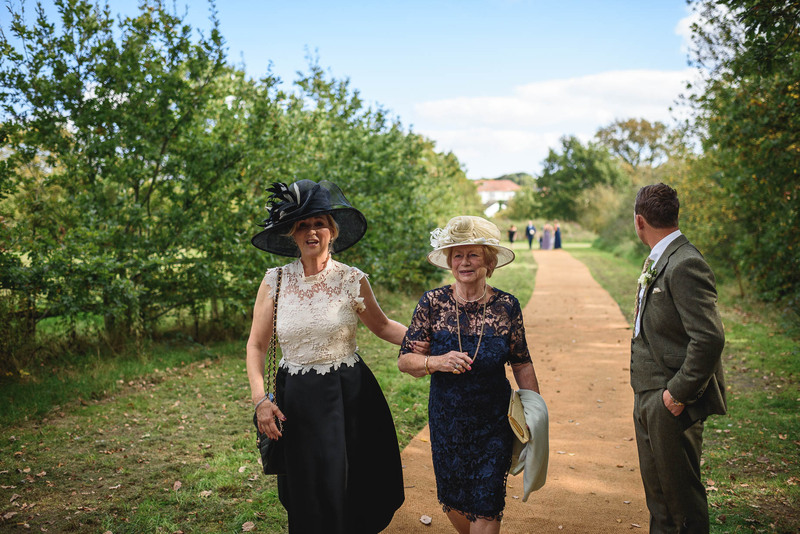 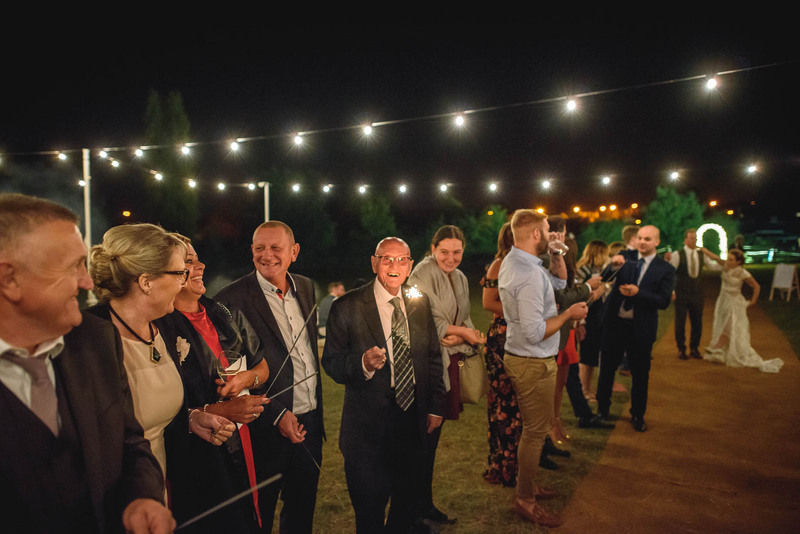 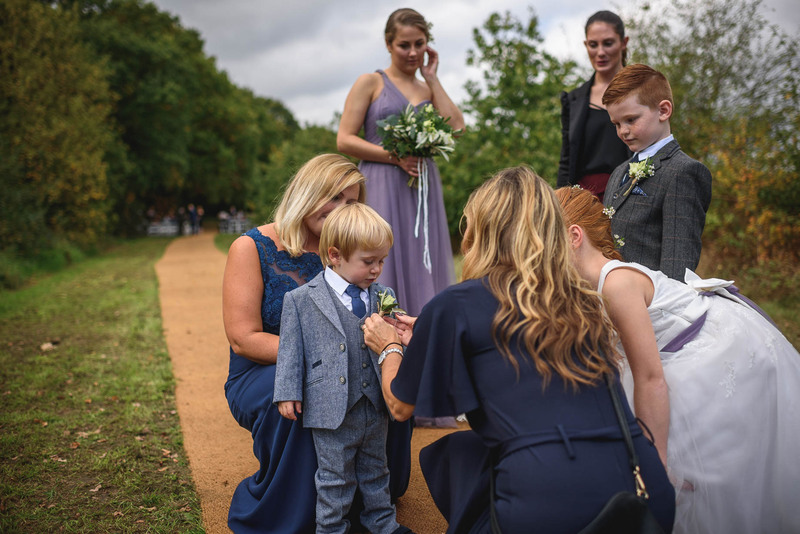 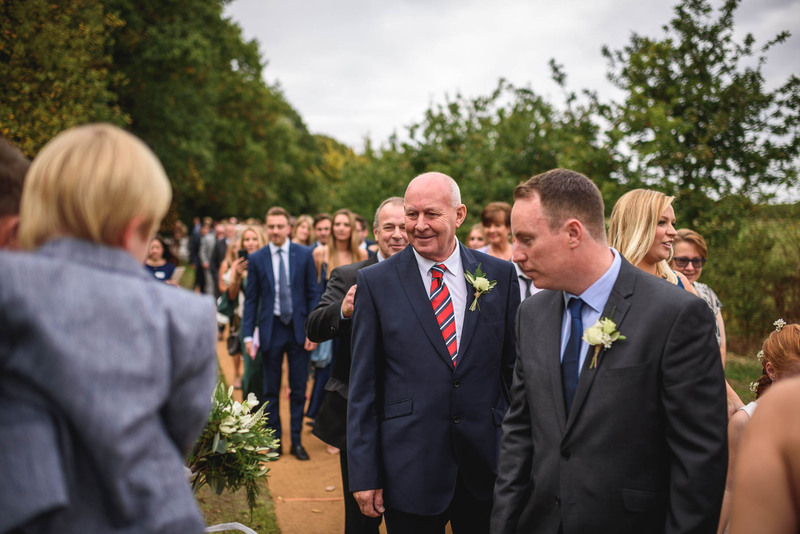 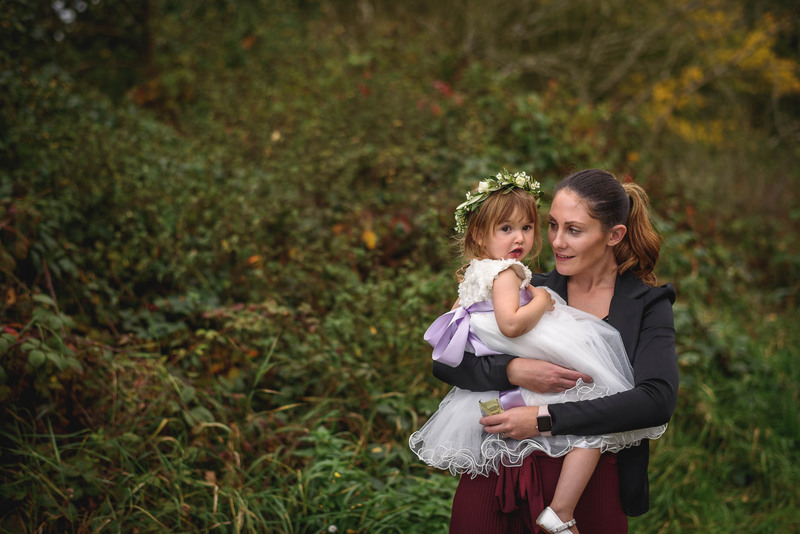 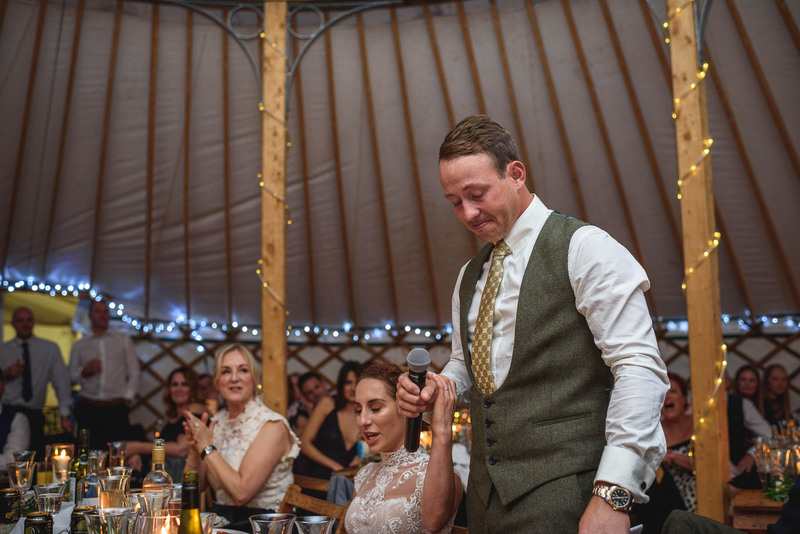 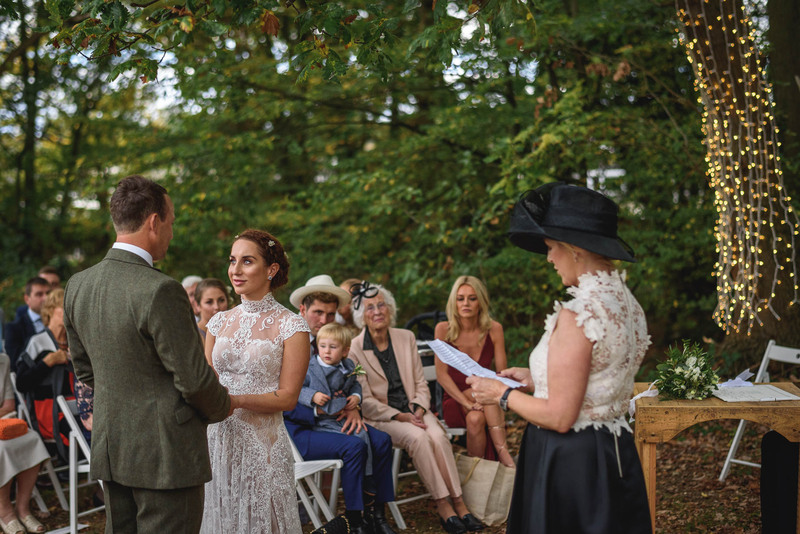 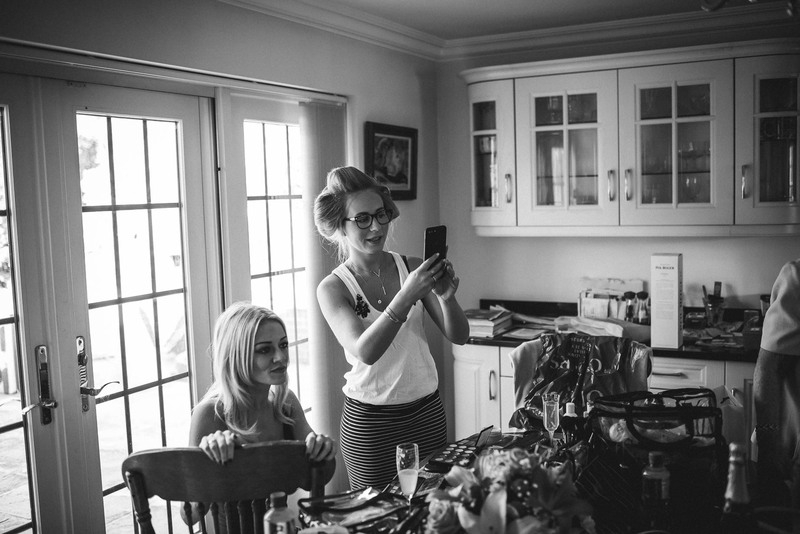 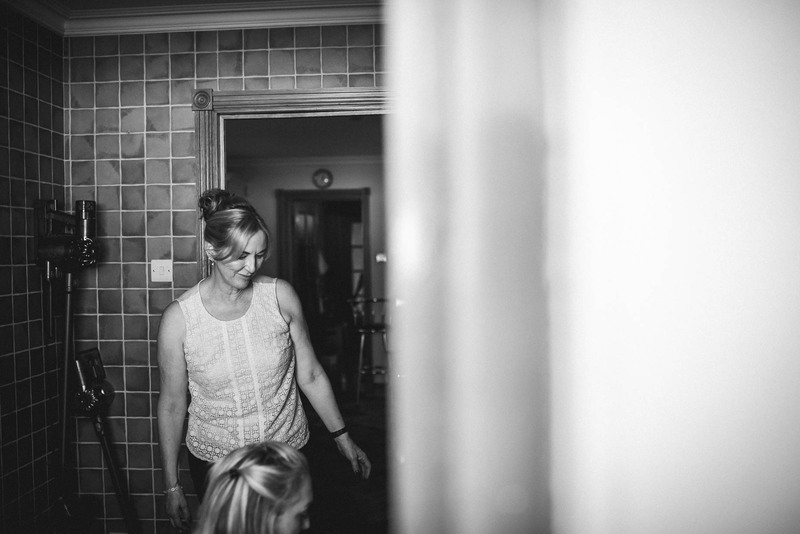 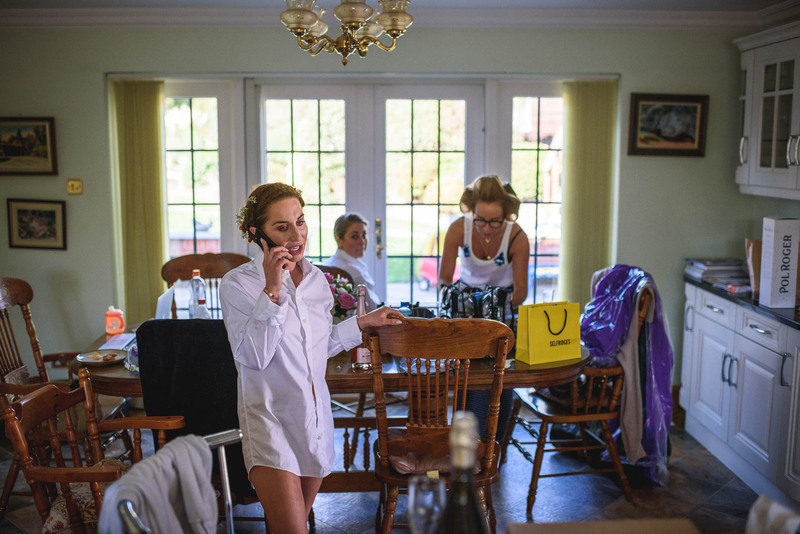 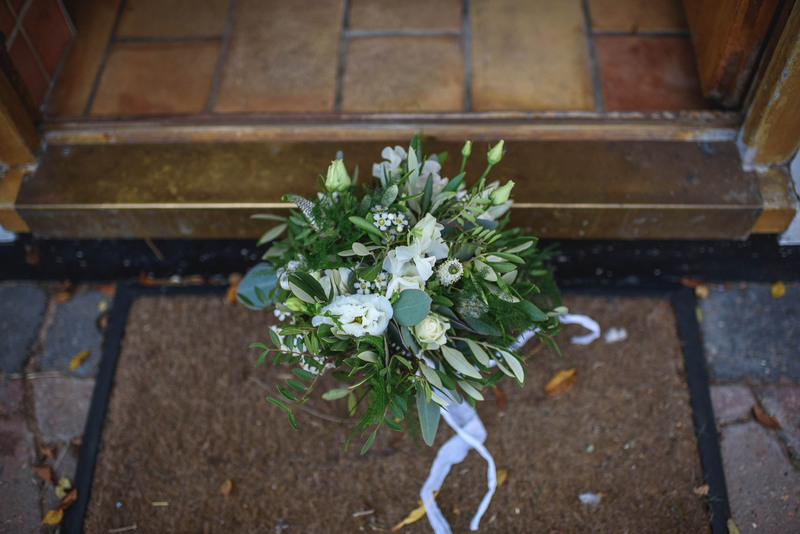 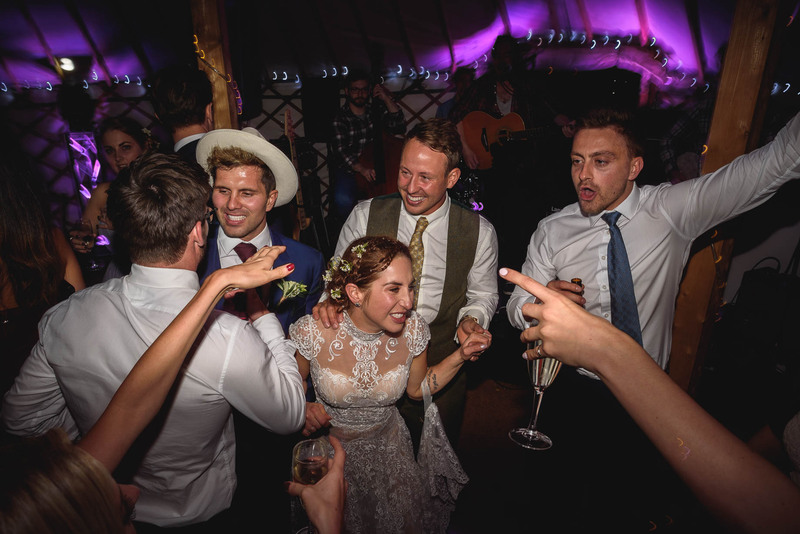 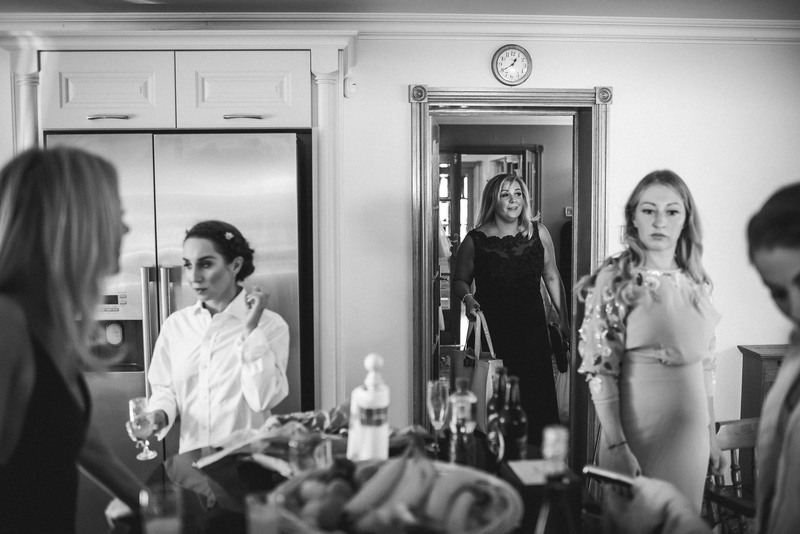 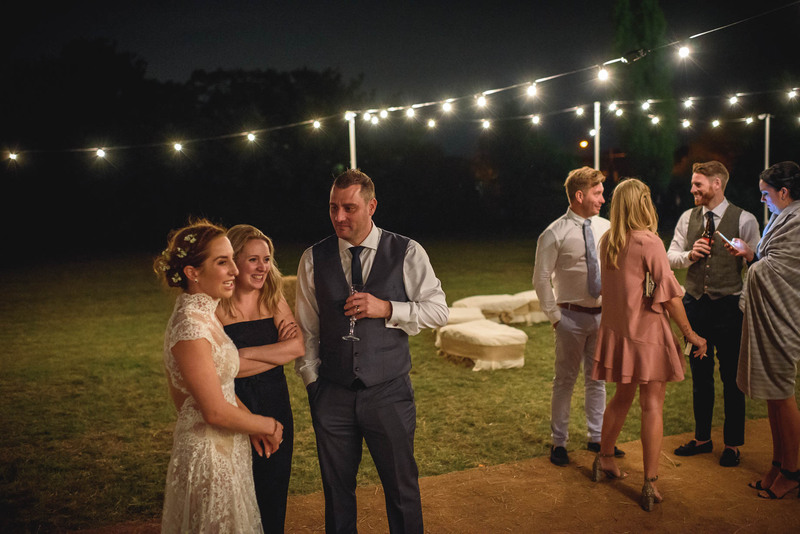 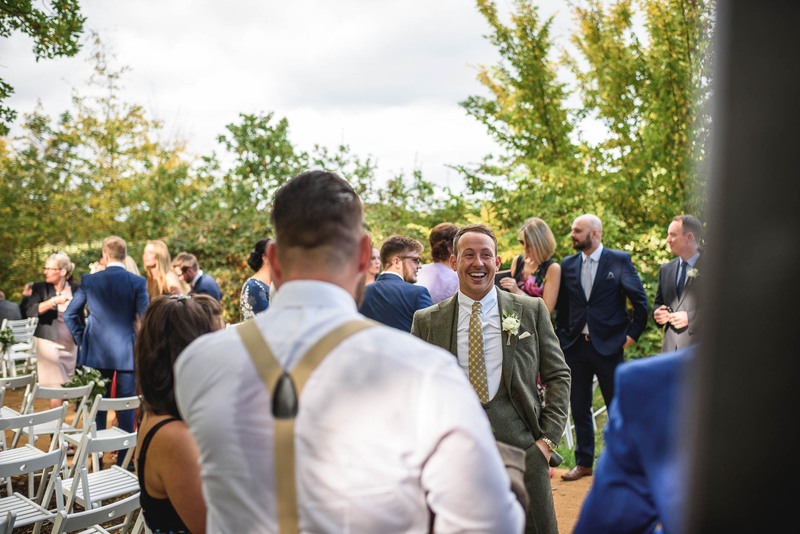 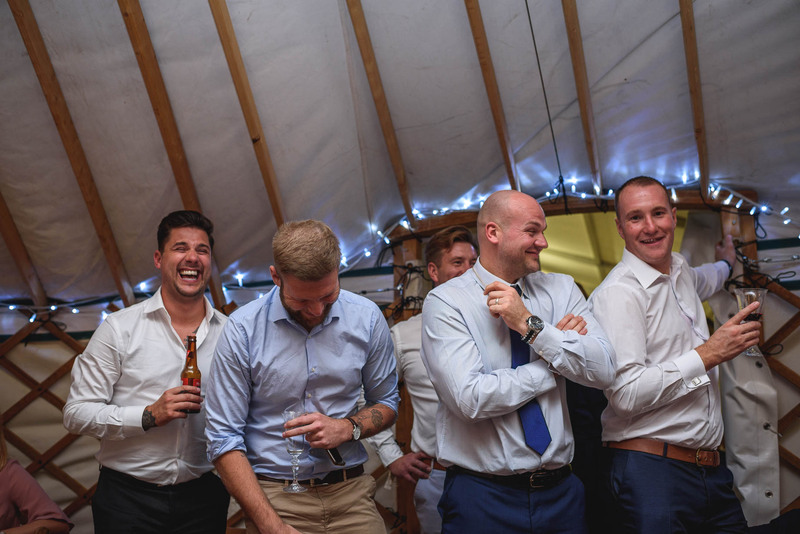 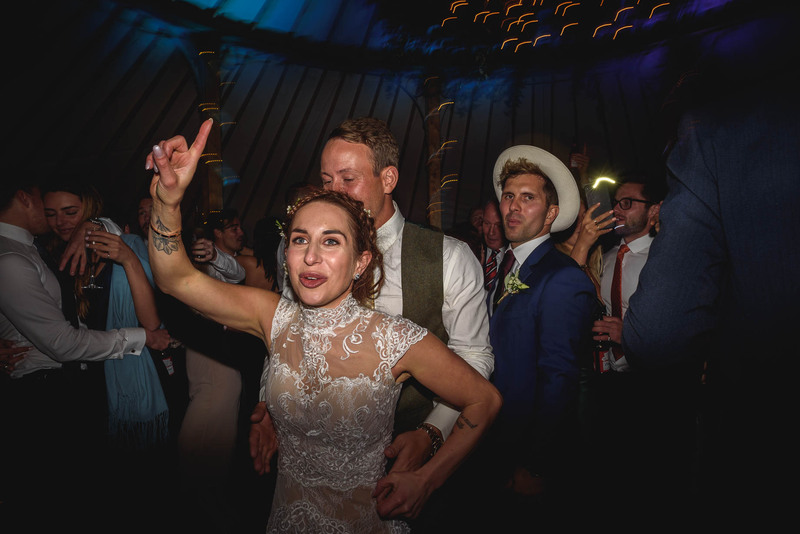 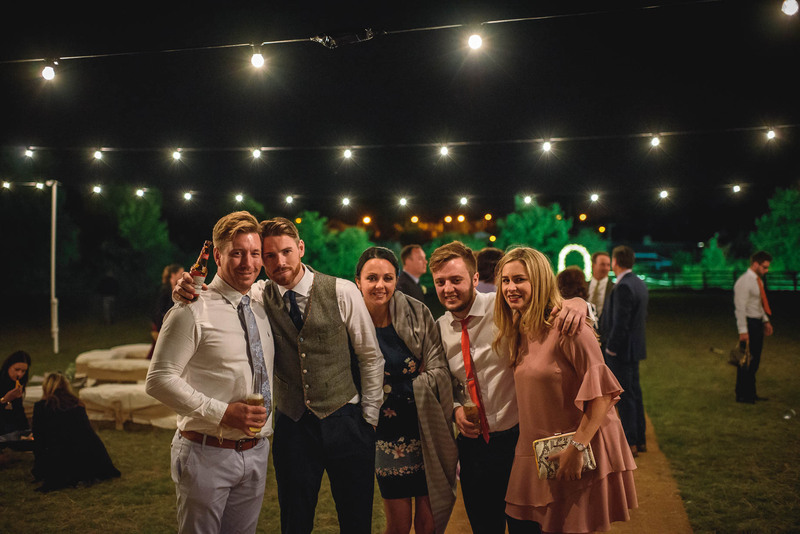 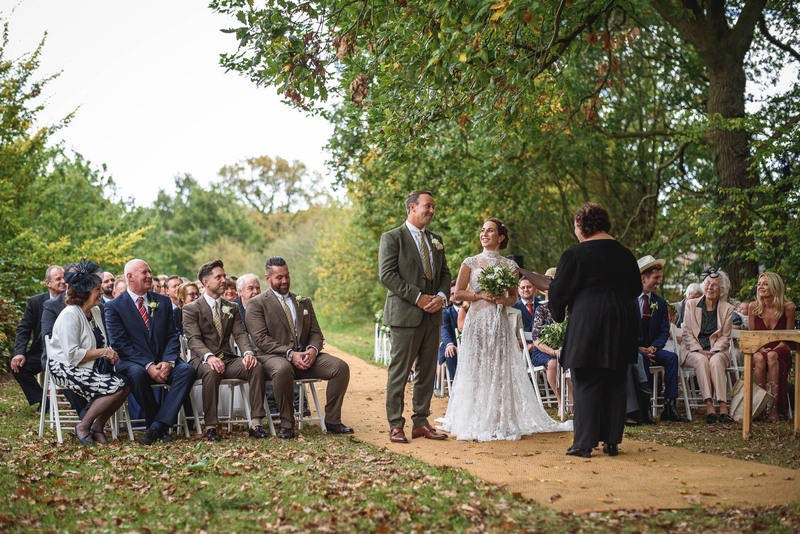 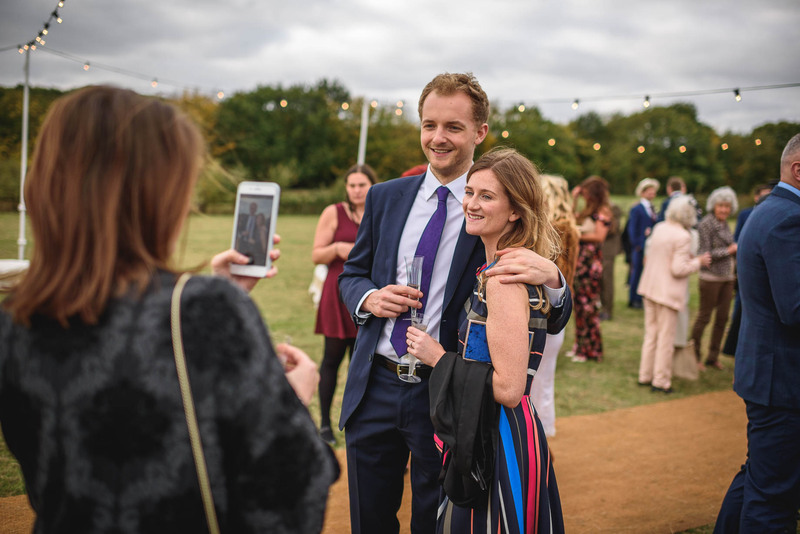 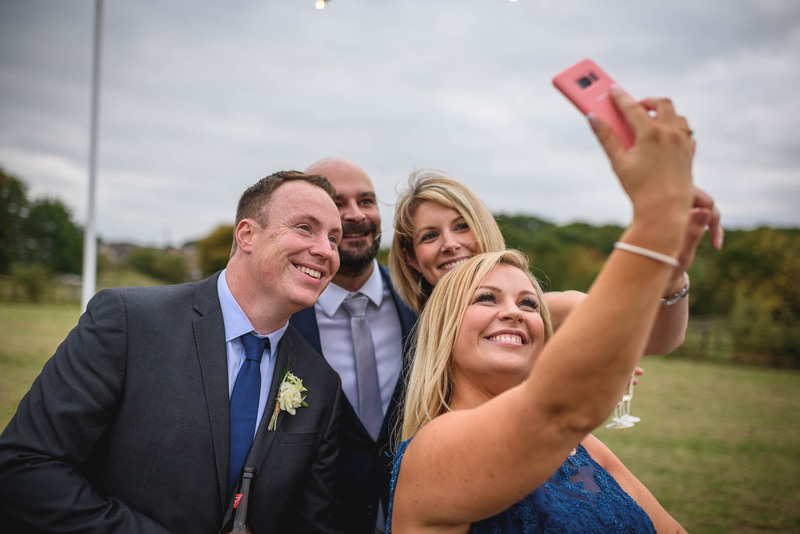 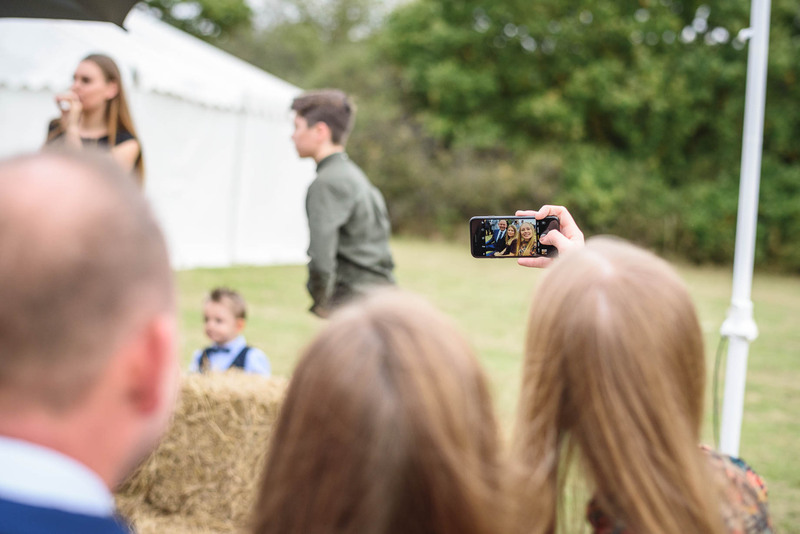 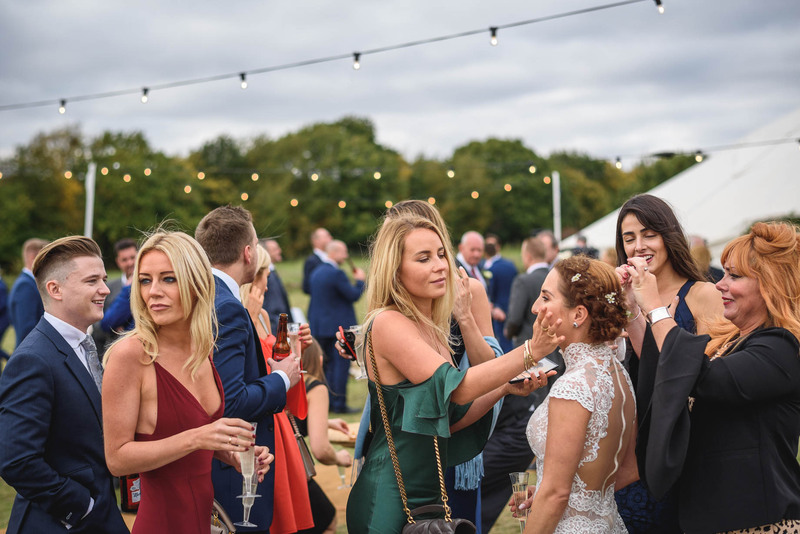 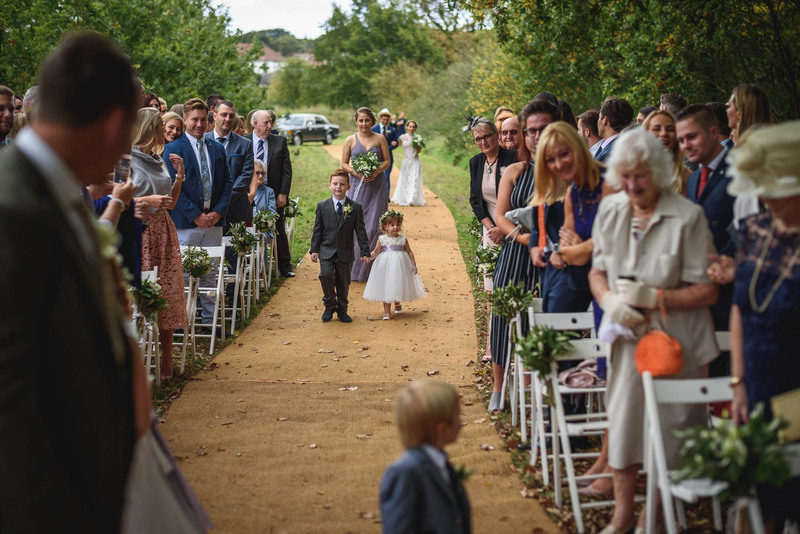 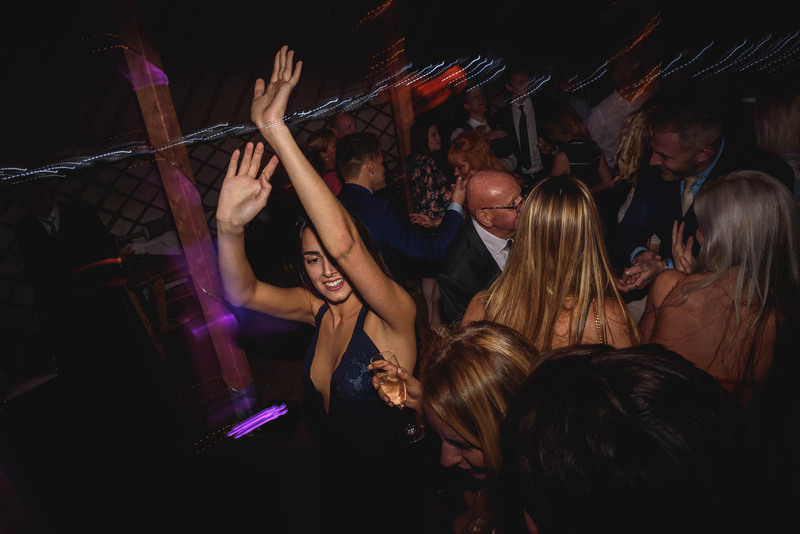 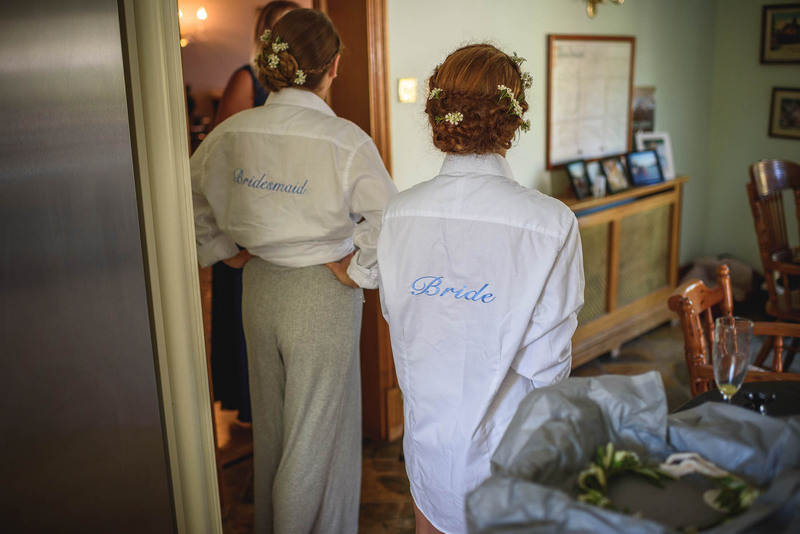 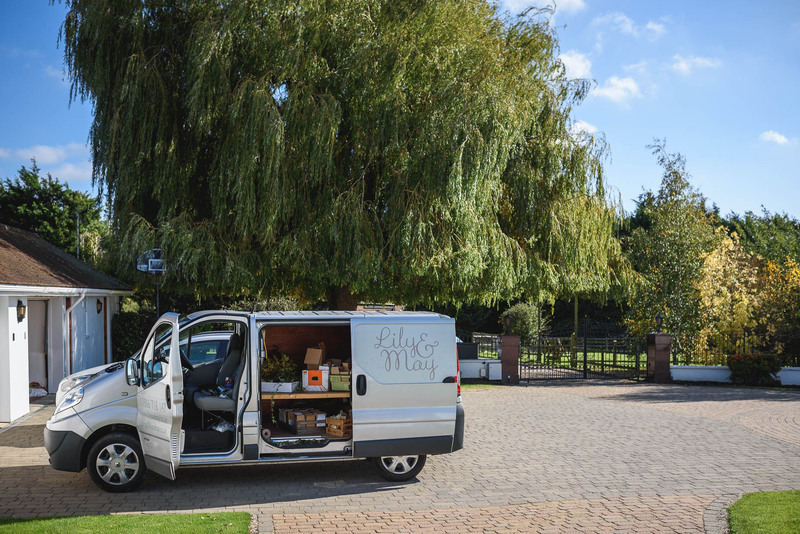 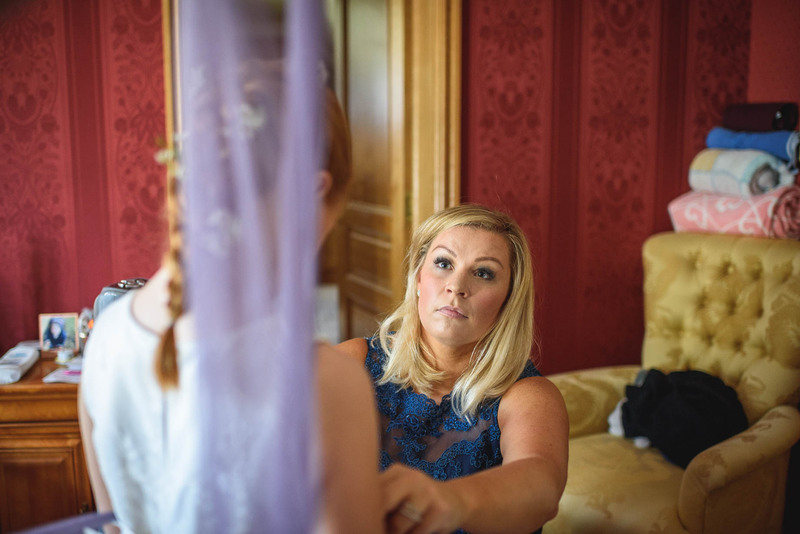 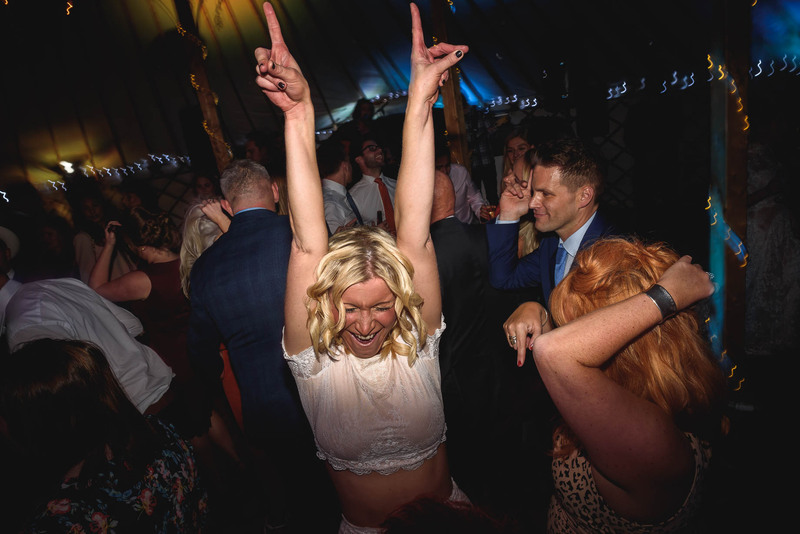 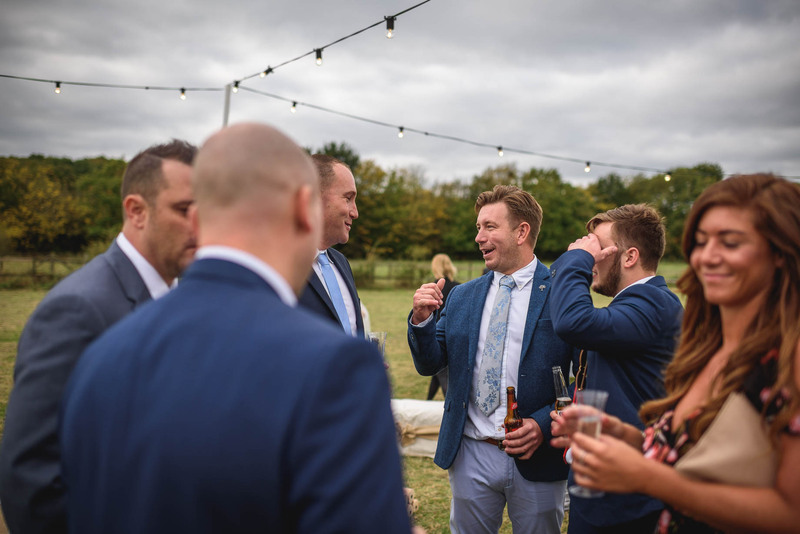 A huge list of brilliant colleagues on the day – massive thanks to everyone involved and they were: Planning by the excellent Louise, Natalie and Lauren at Louise Perry Weddings; flowers from the excellent Lily and May; AV and lighting from the excellent Box Productions. 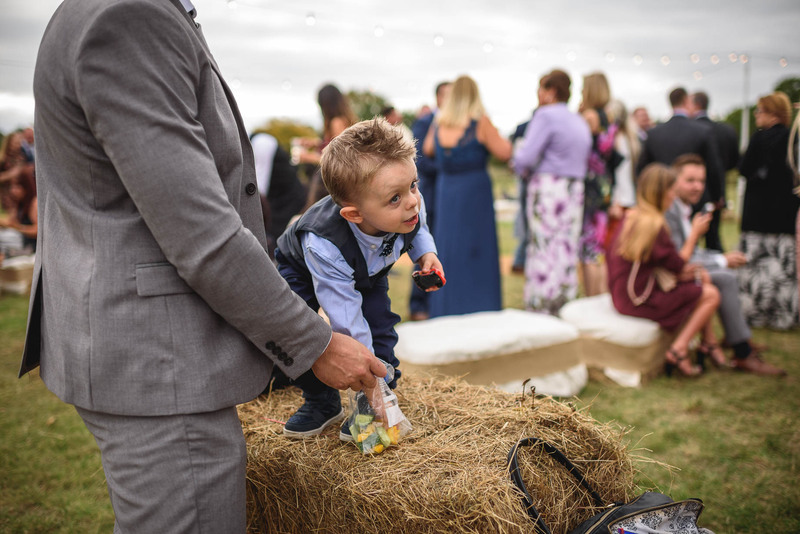 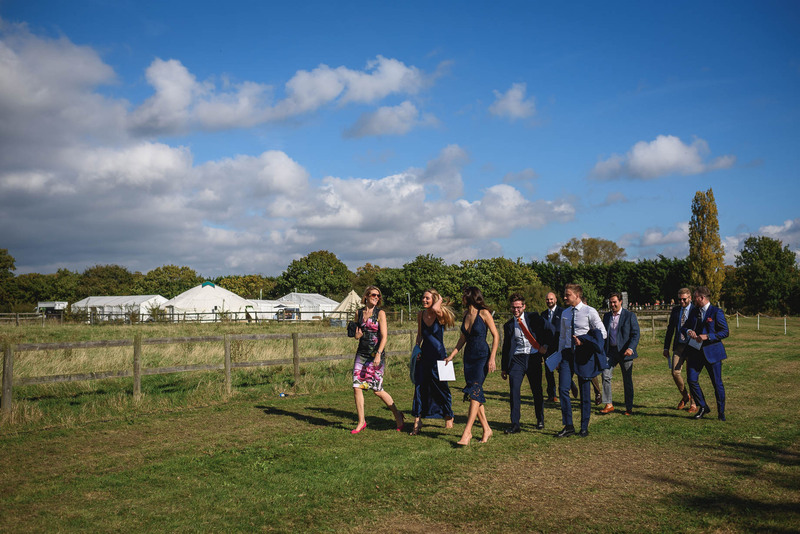 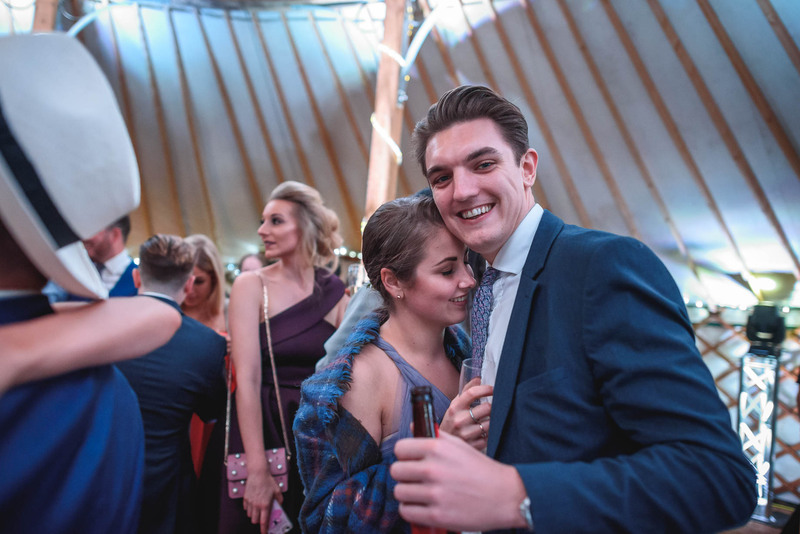 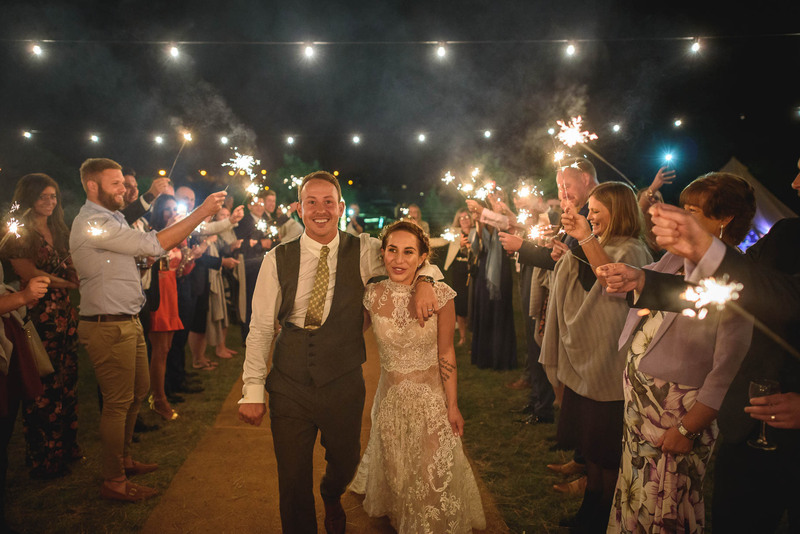 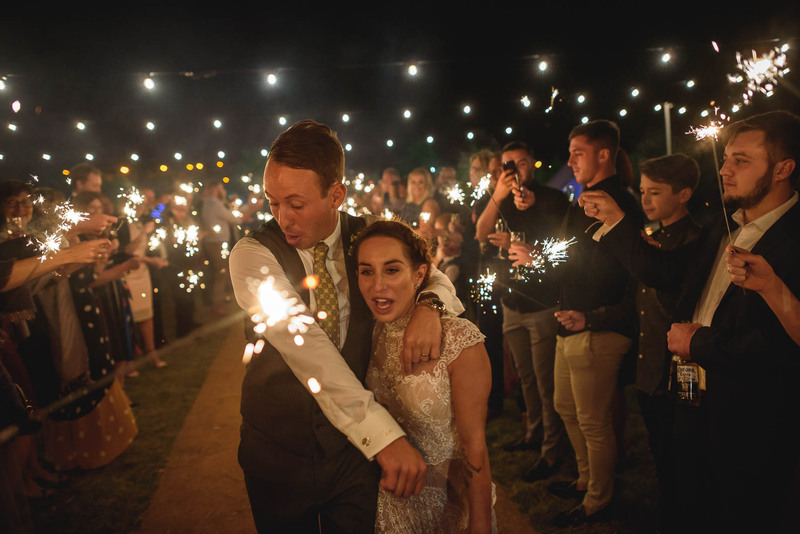 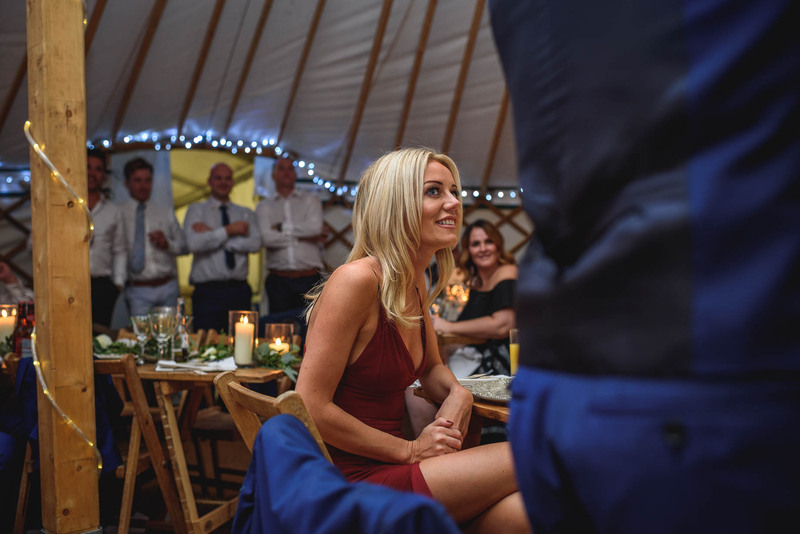 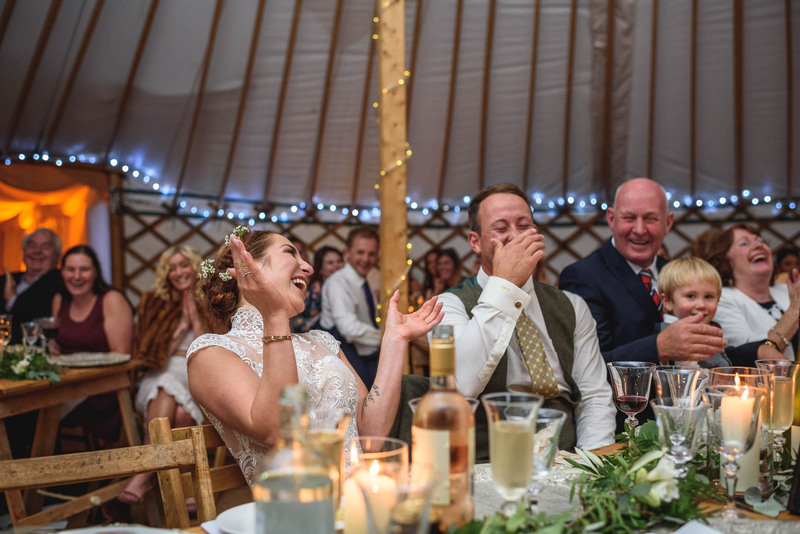 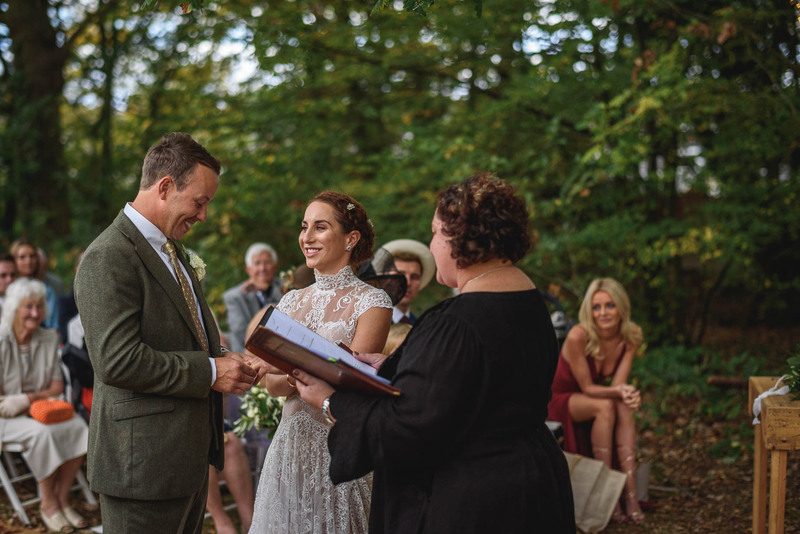 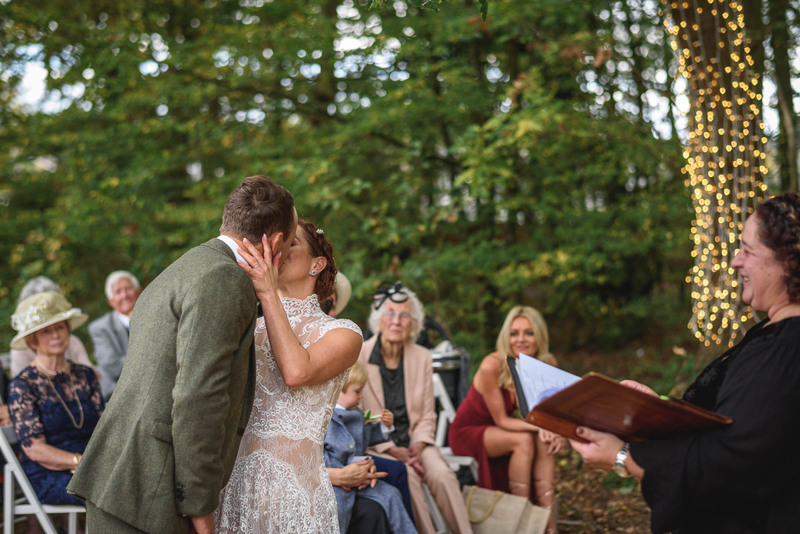 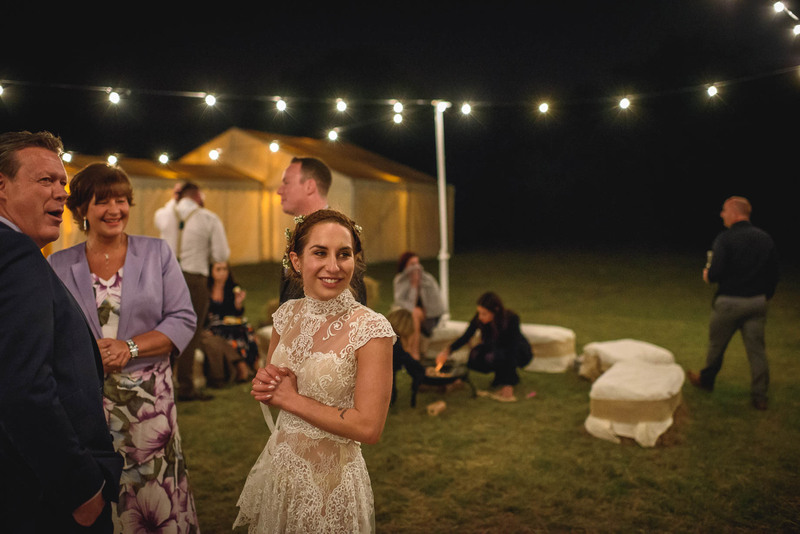 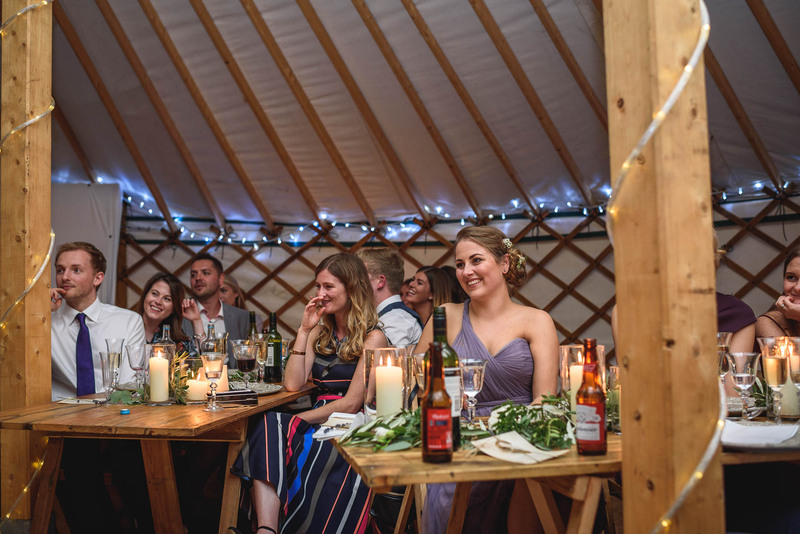 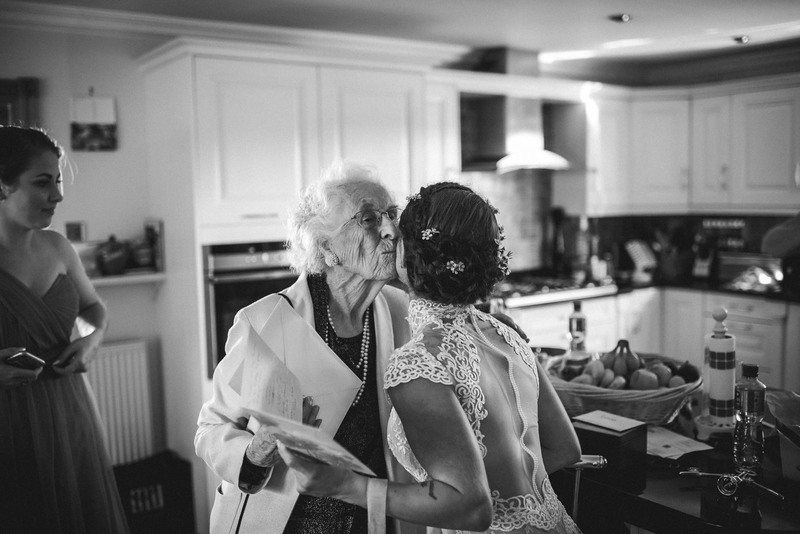 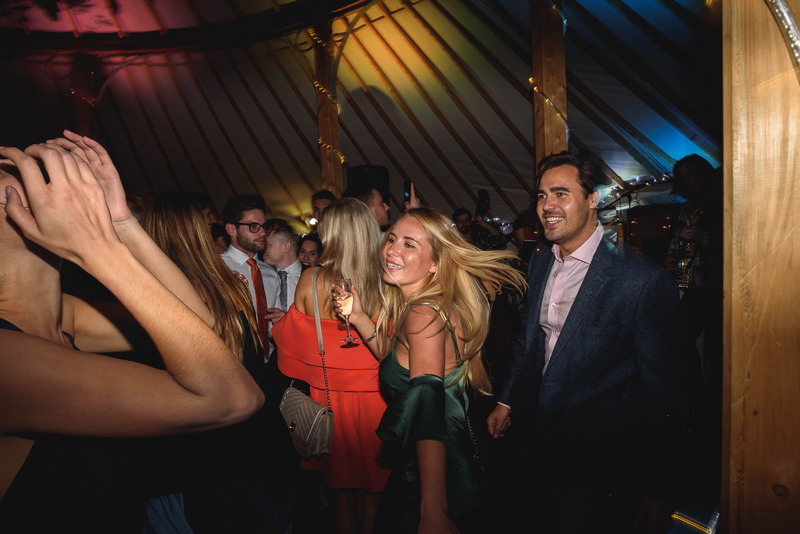 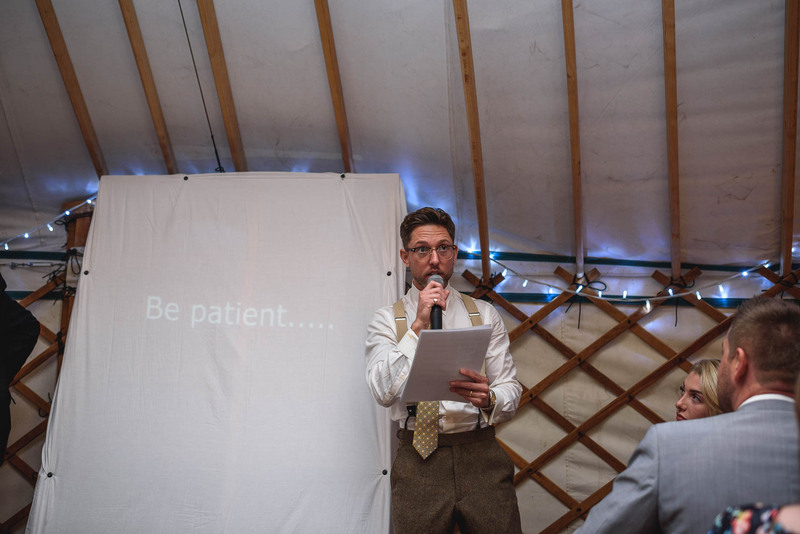 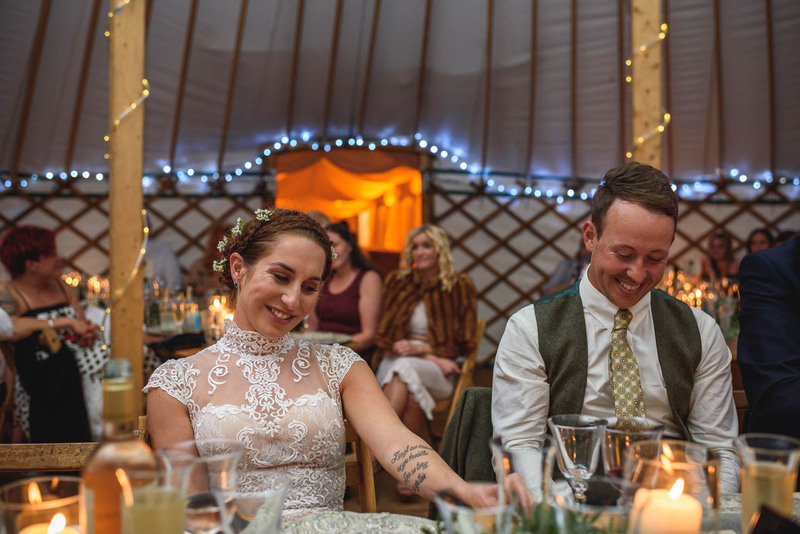 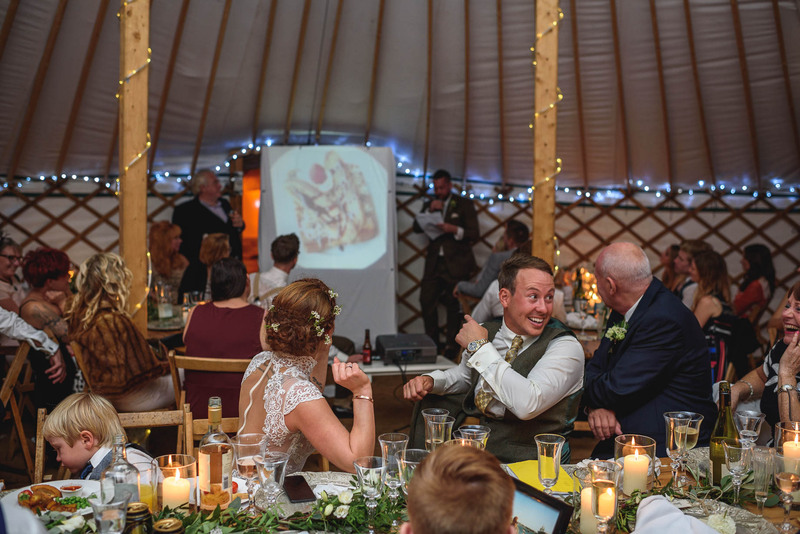 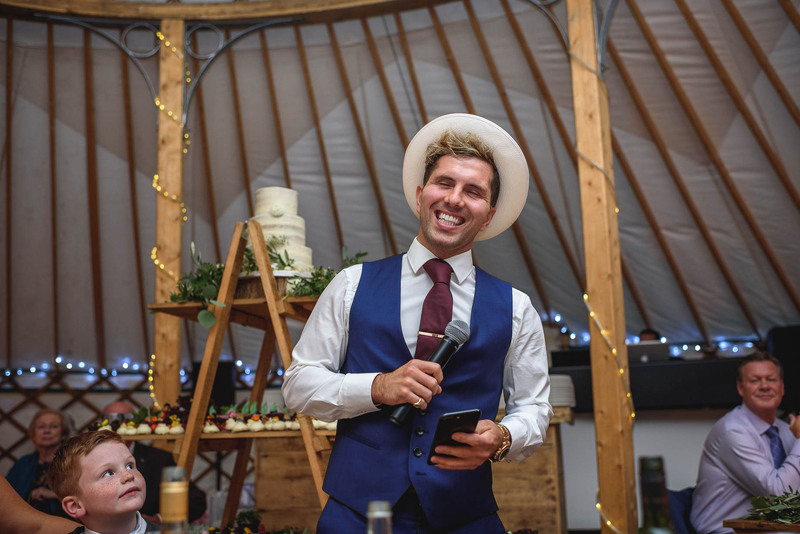 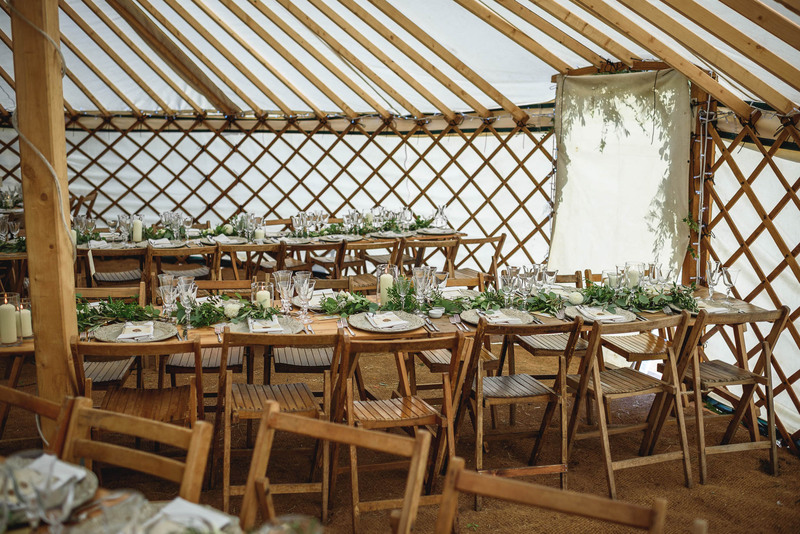 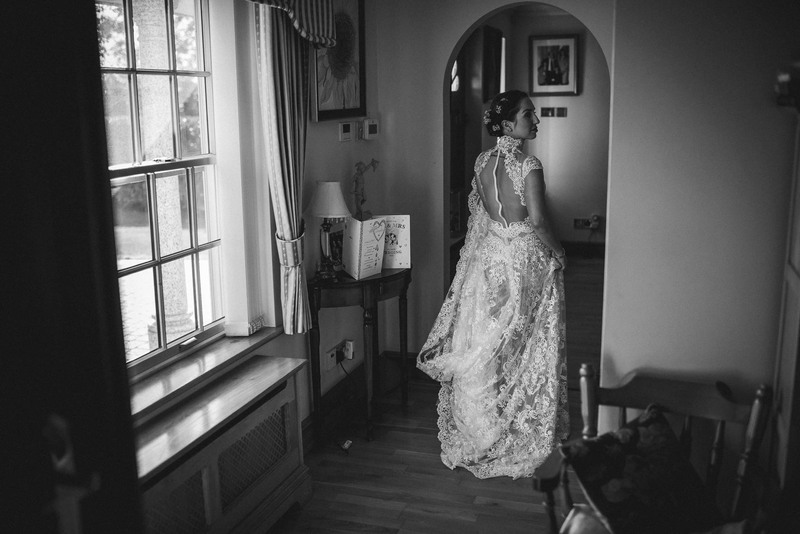 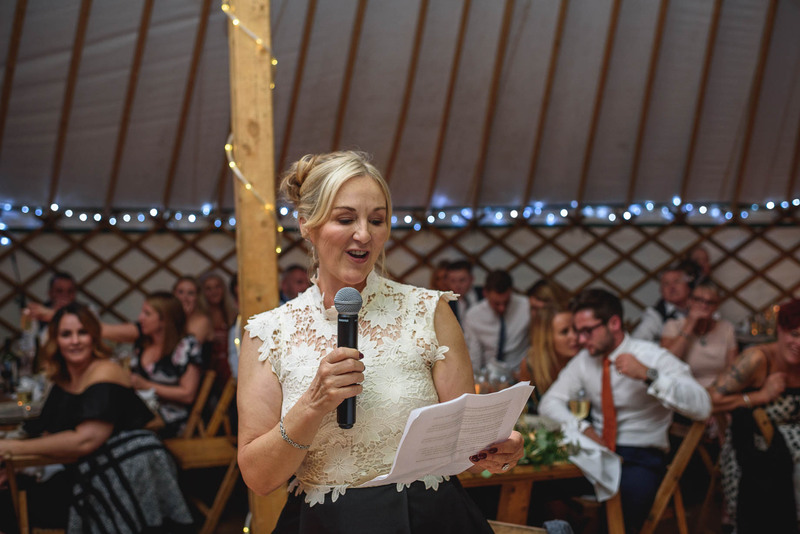 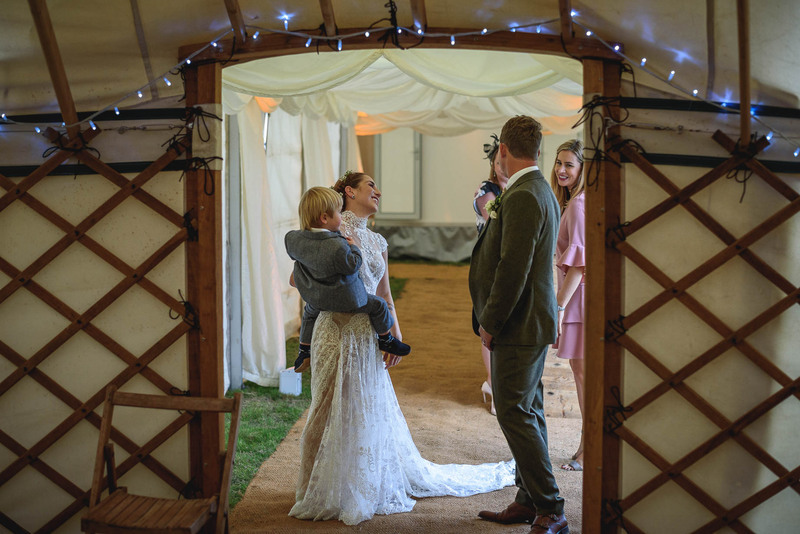 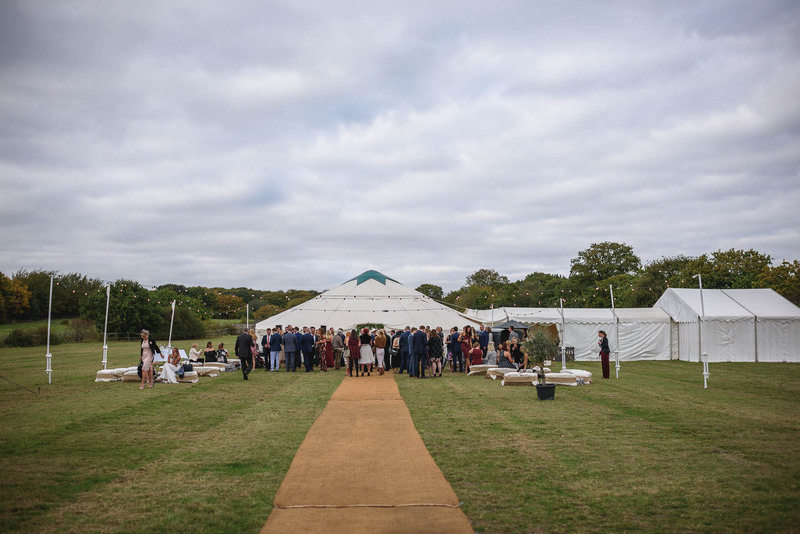 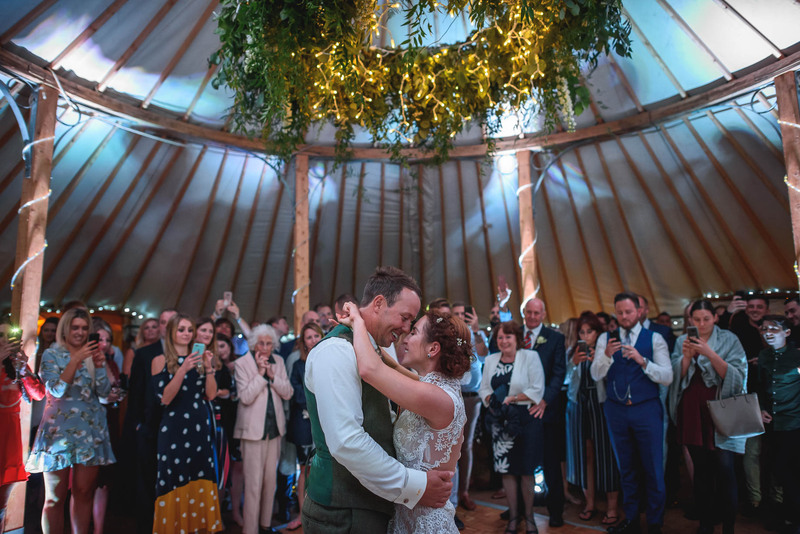 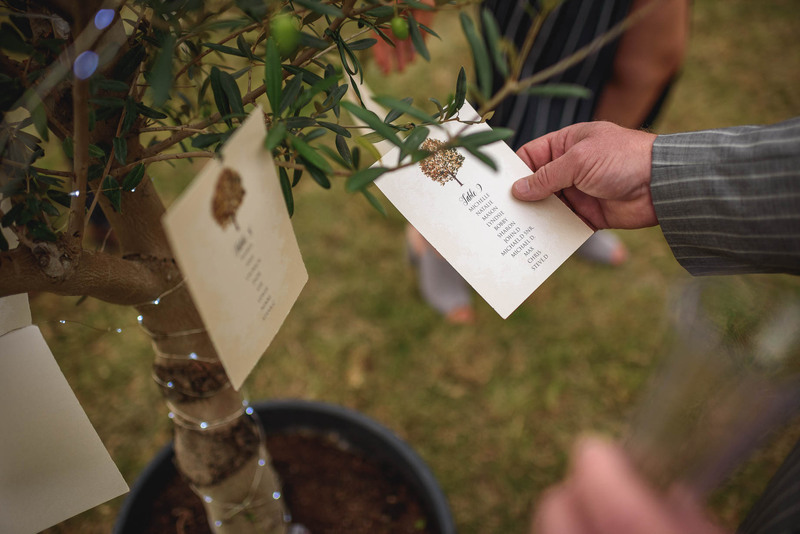 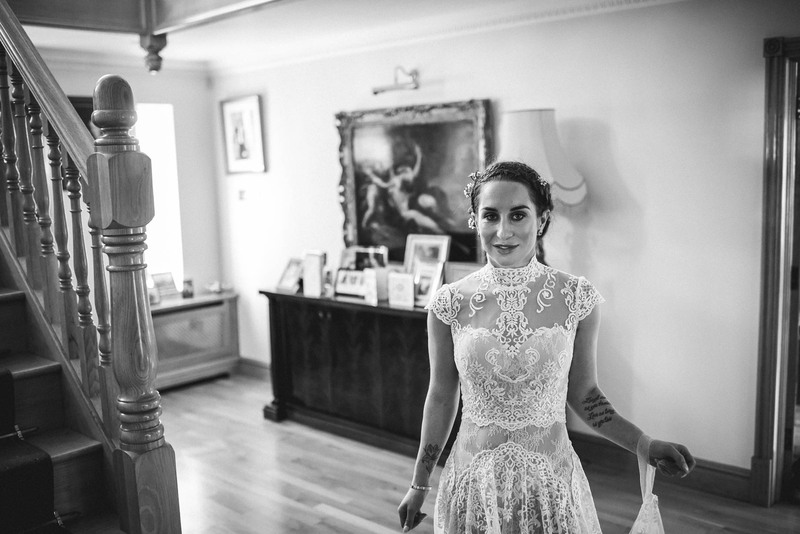 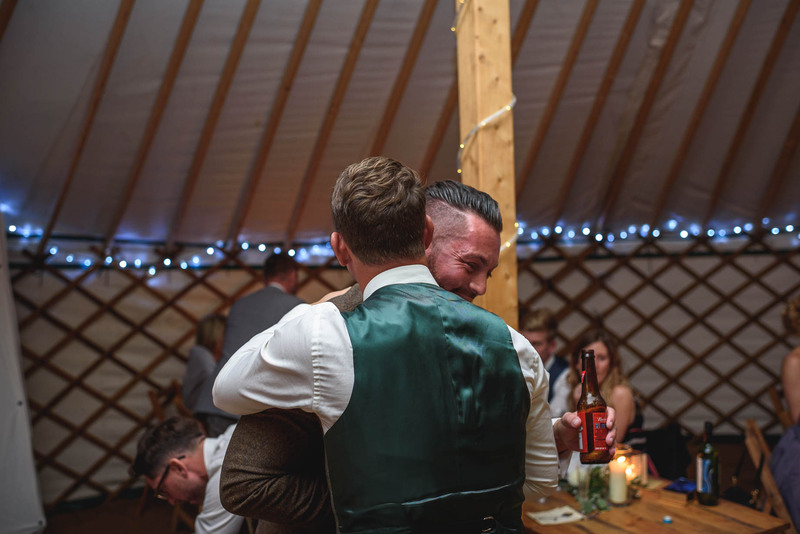 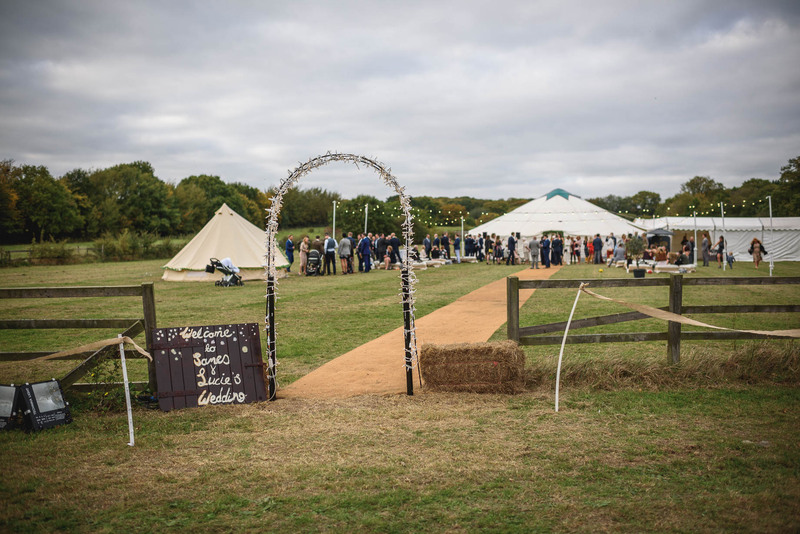 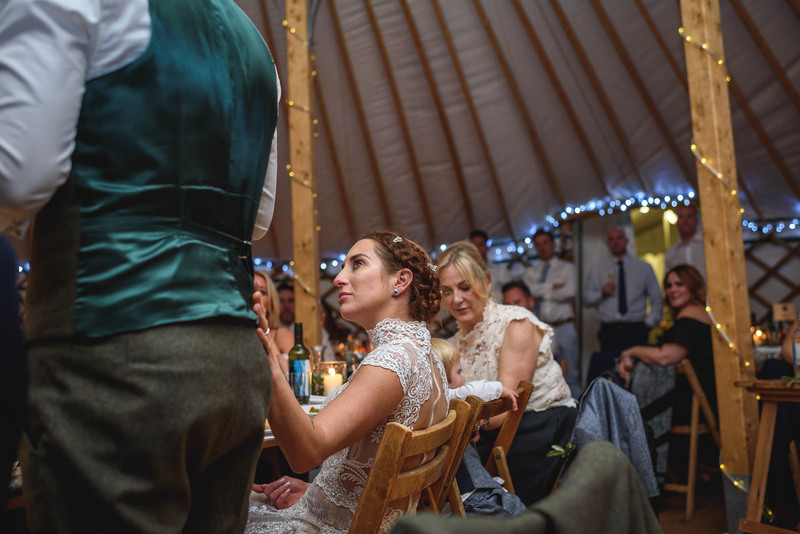 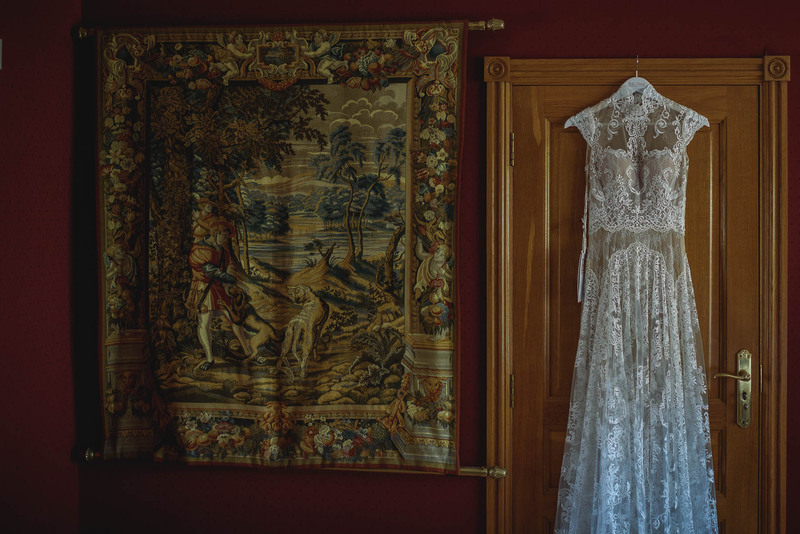 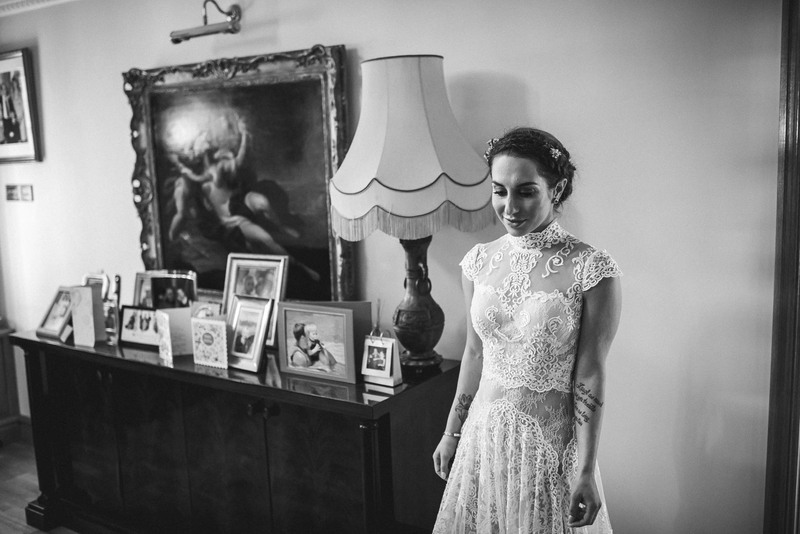 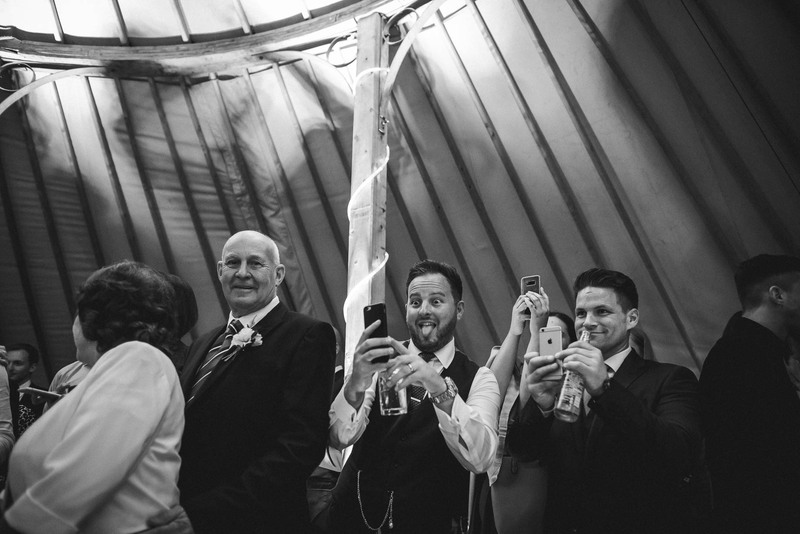 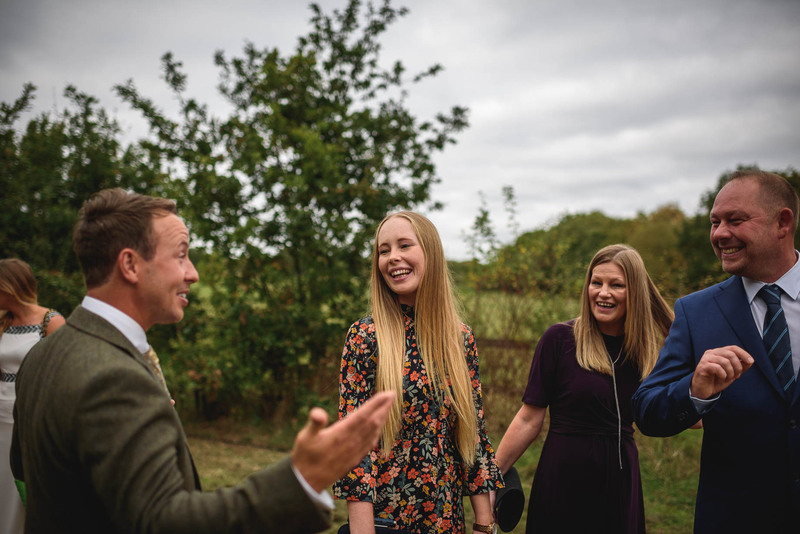 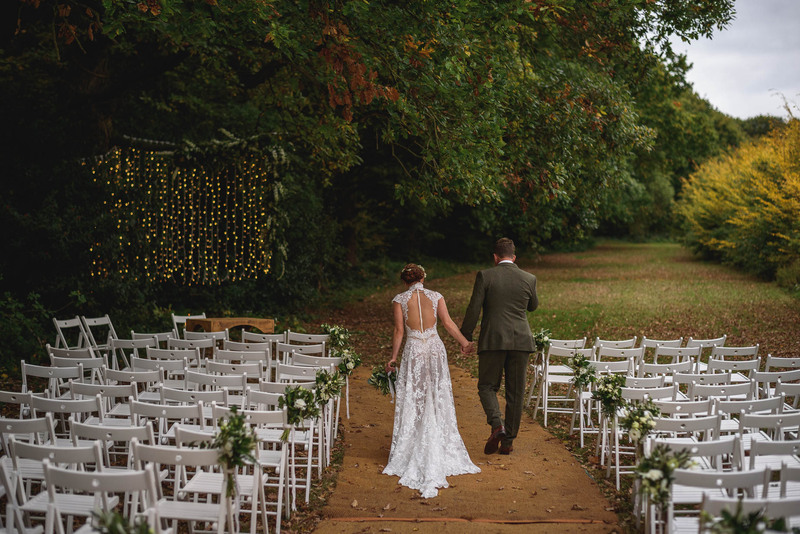 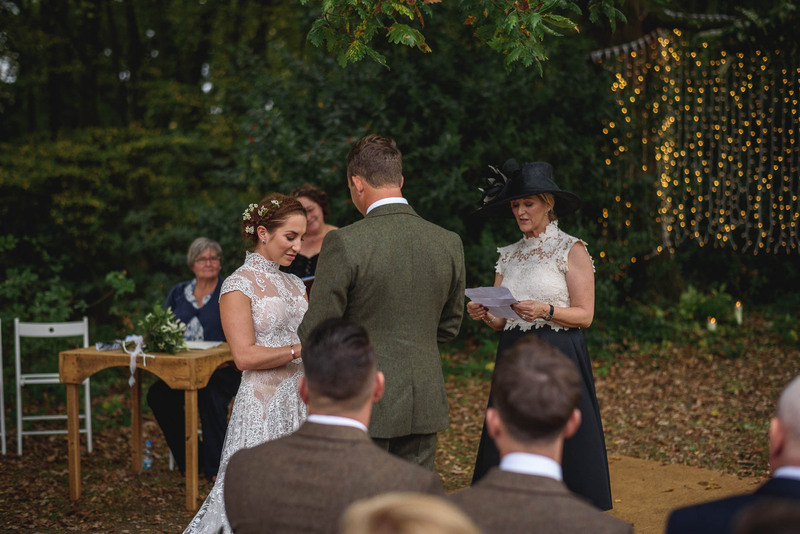 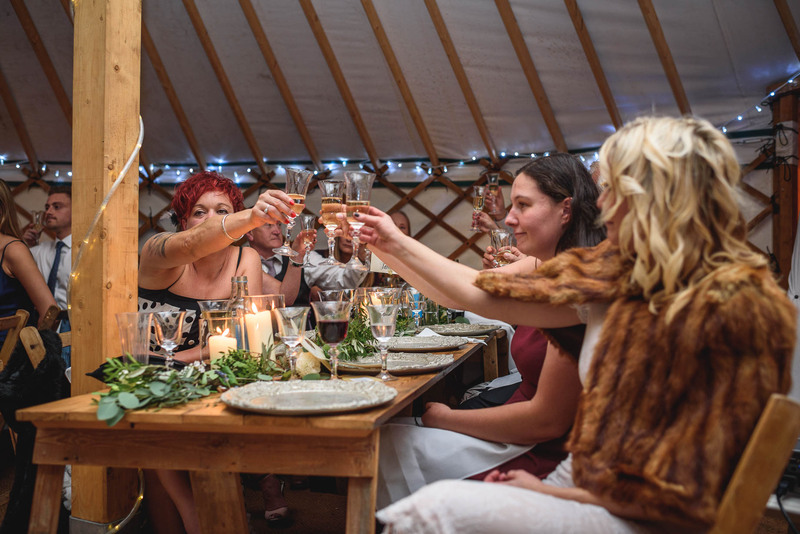 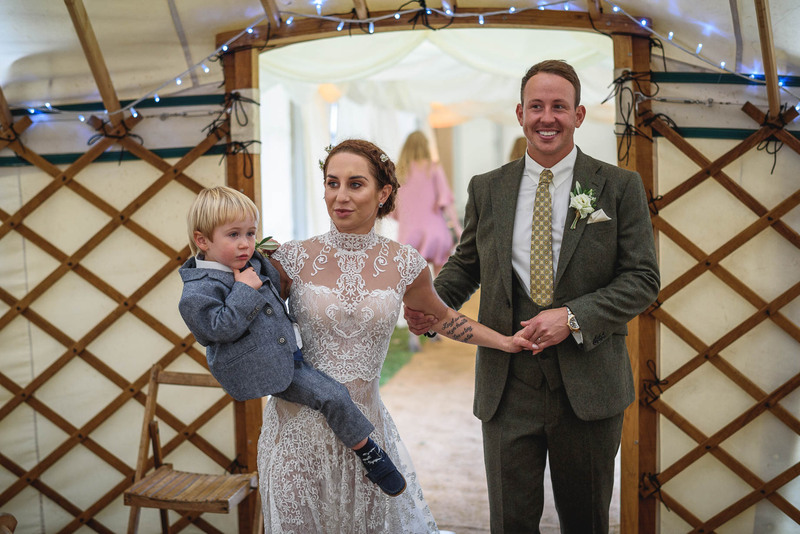 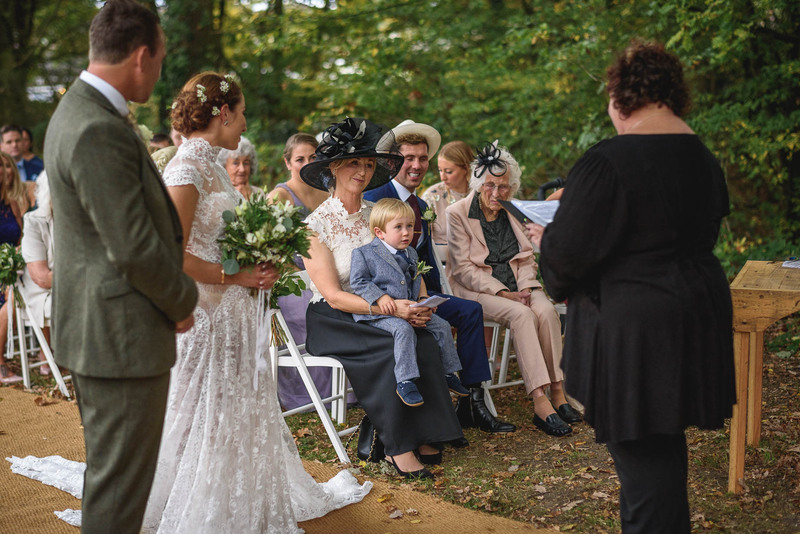 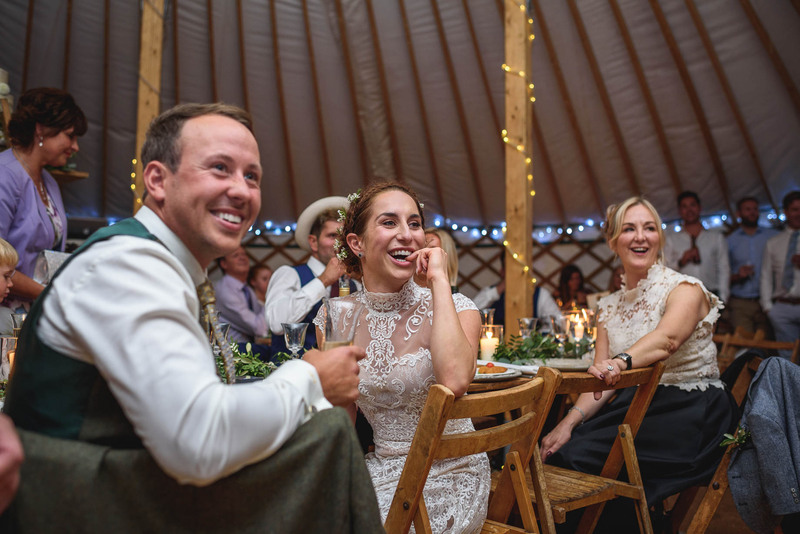 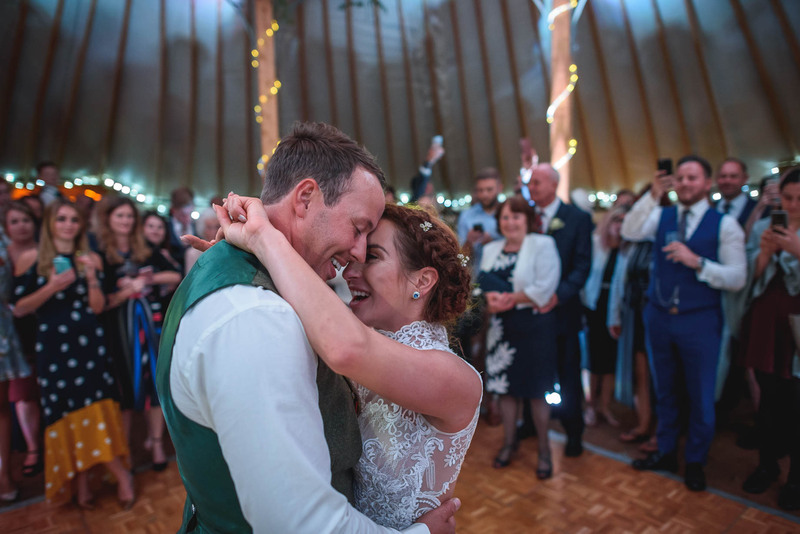 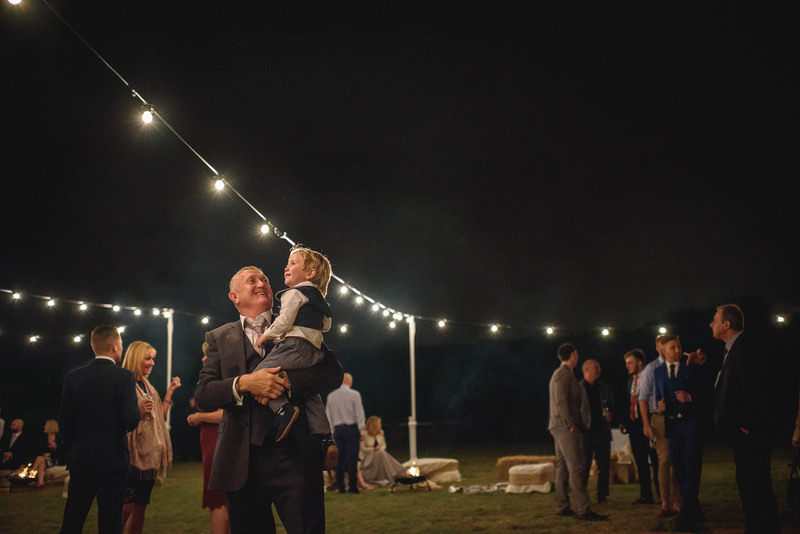 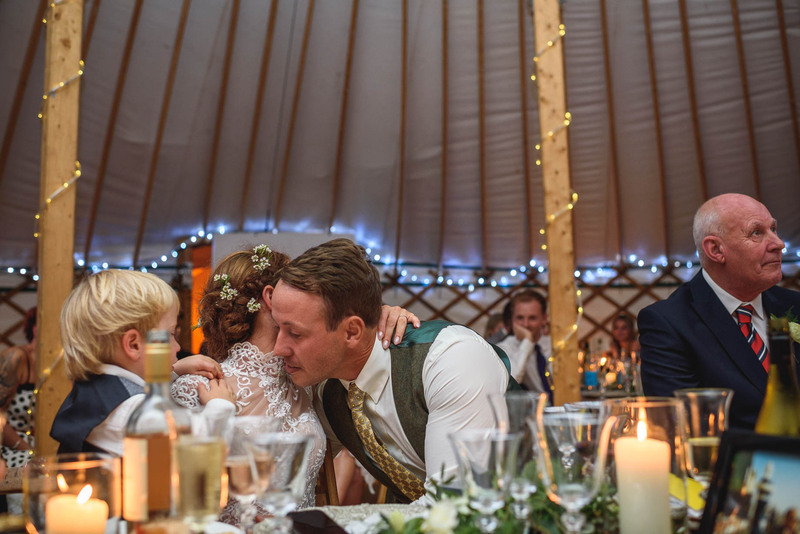 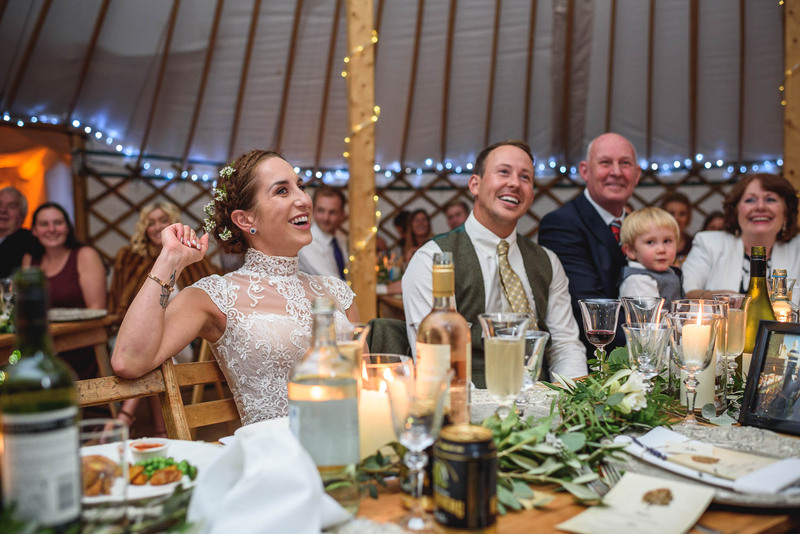 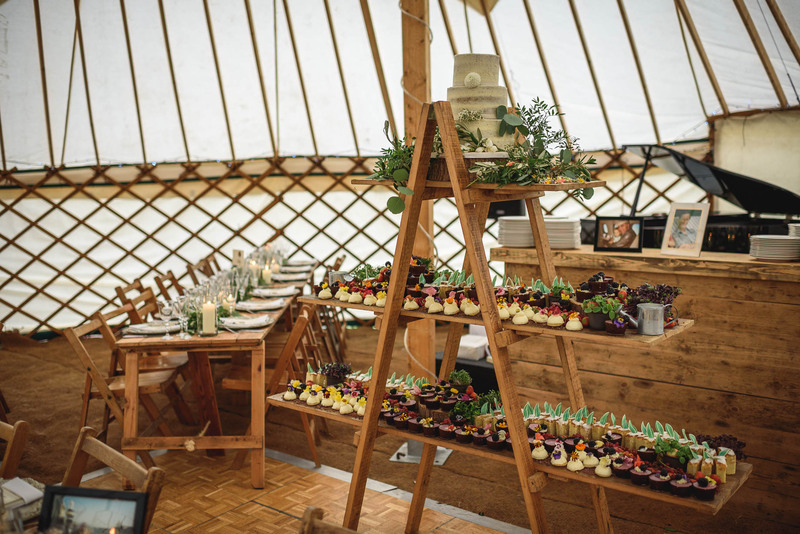 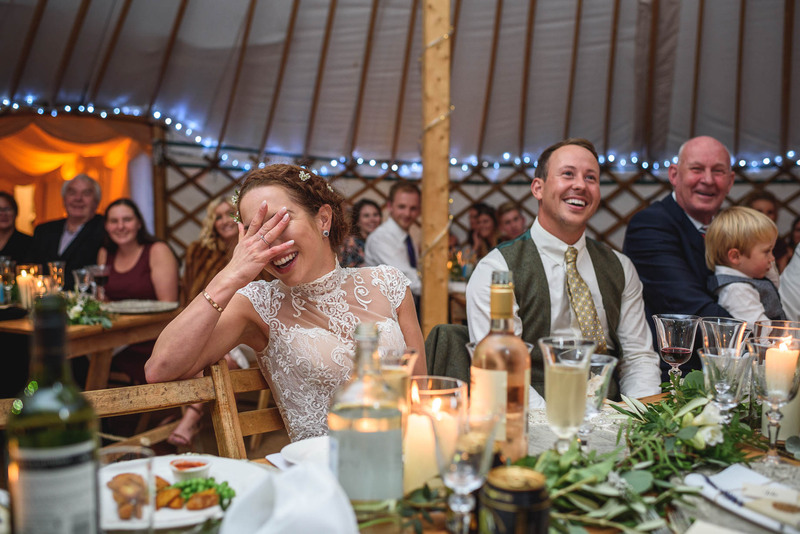 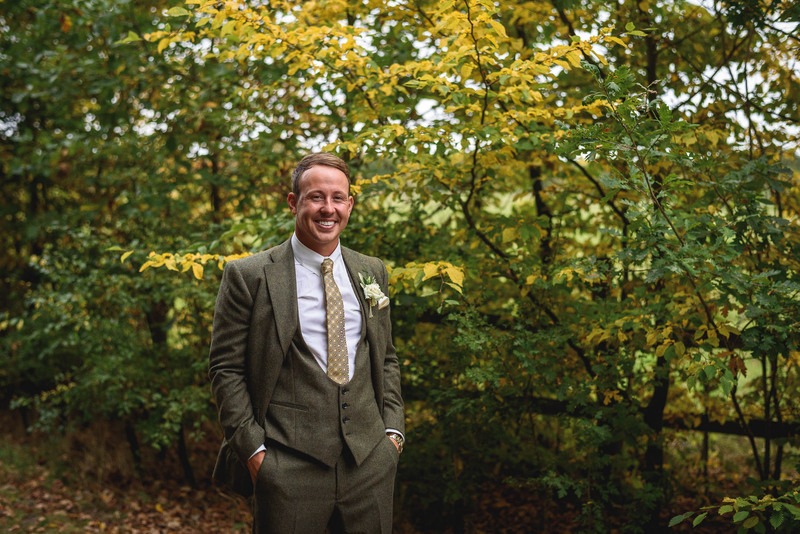 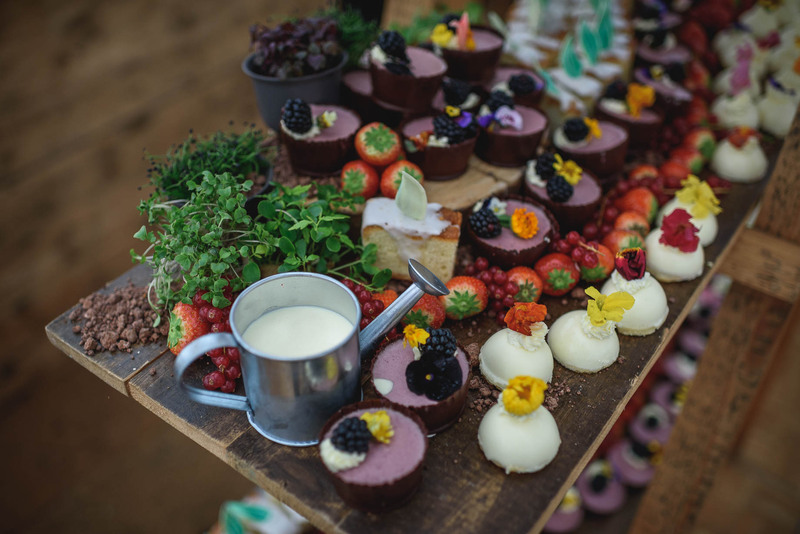 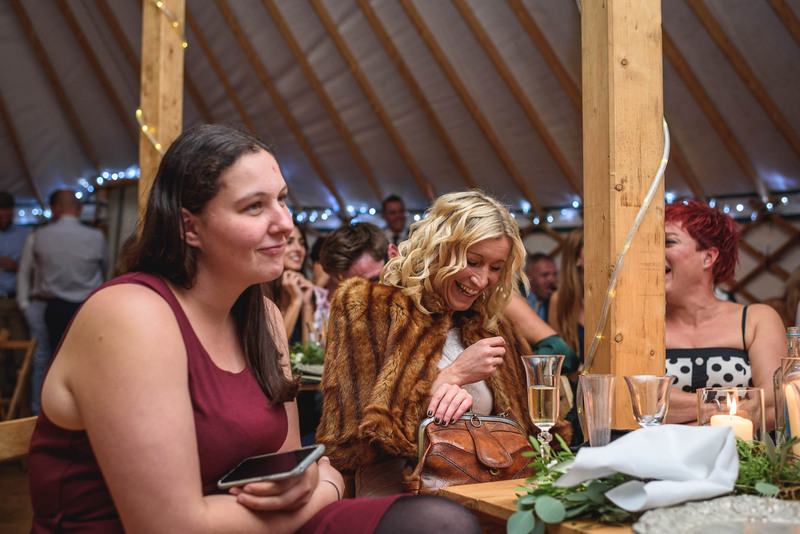 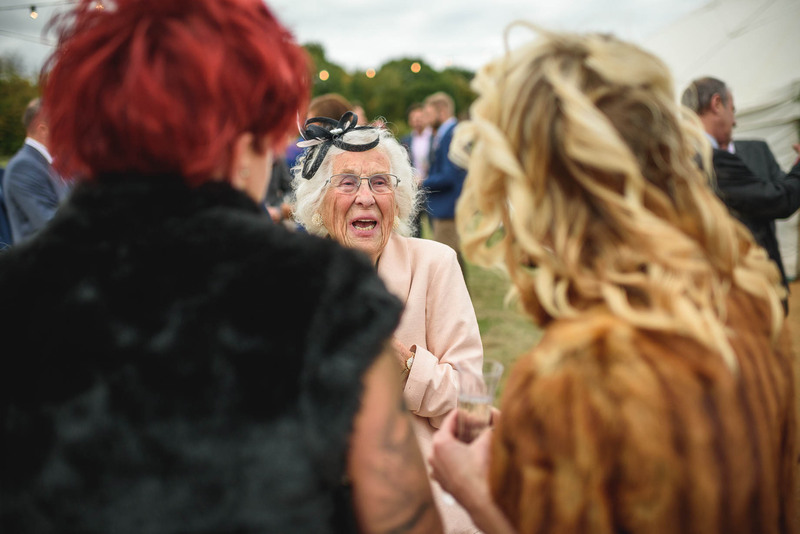 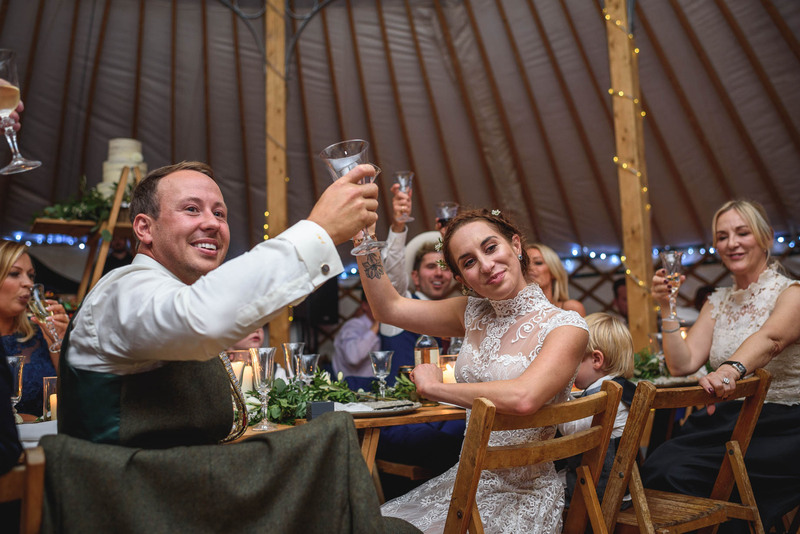 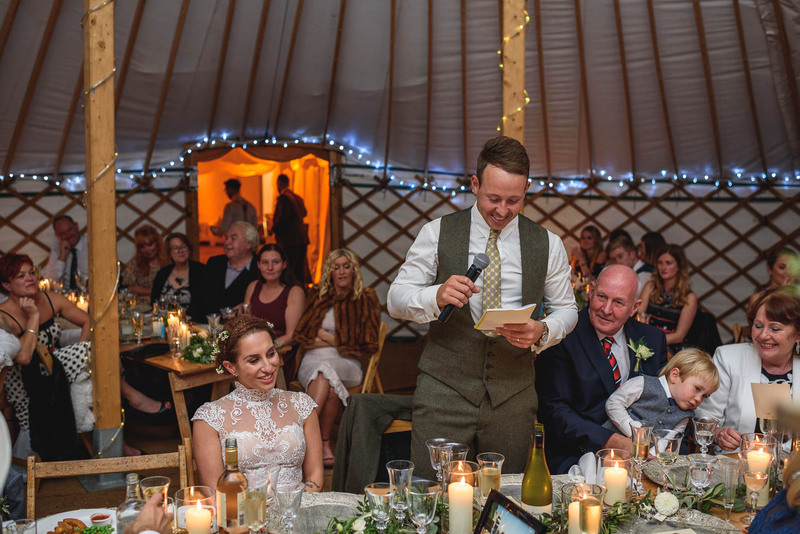 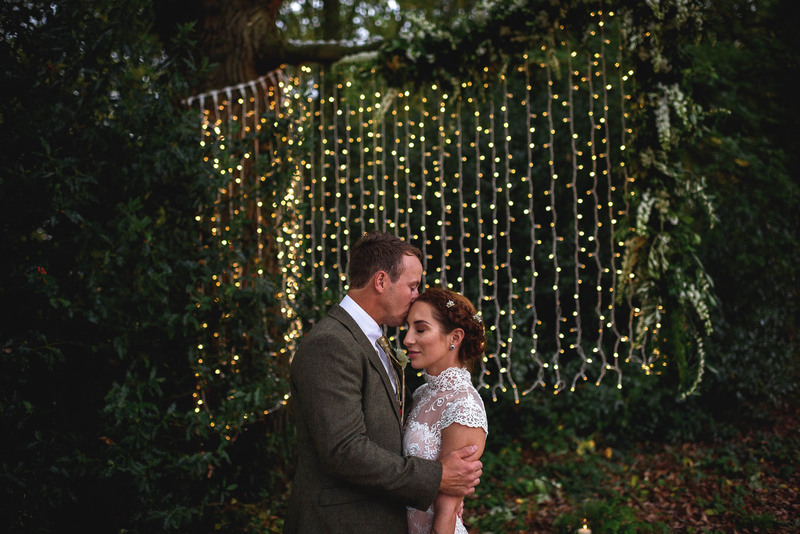 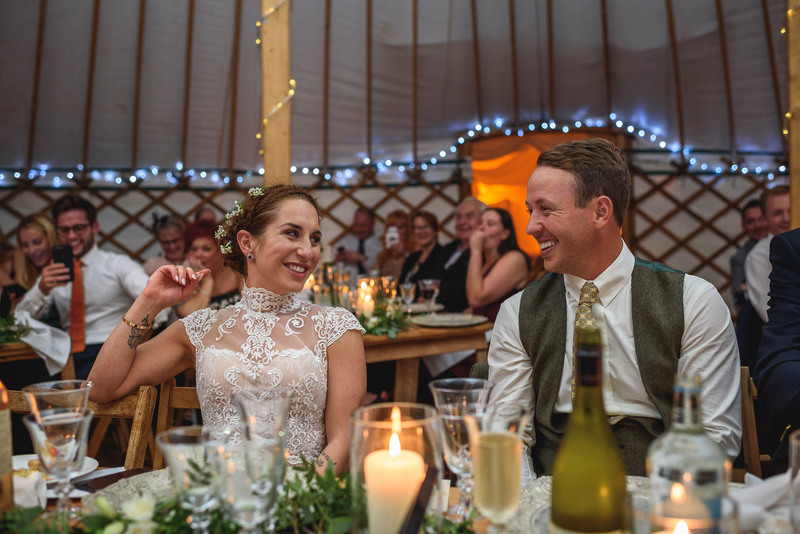 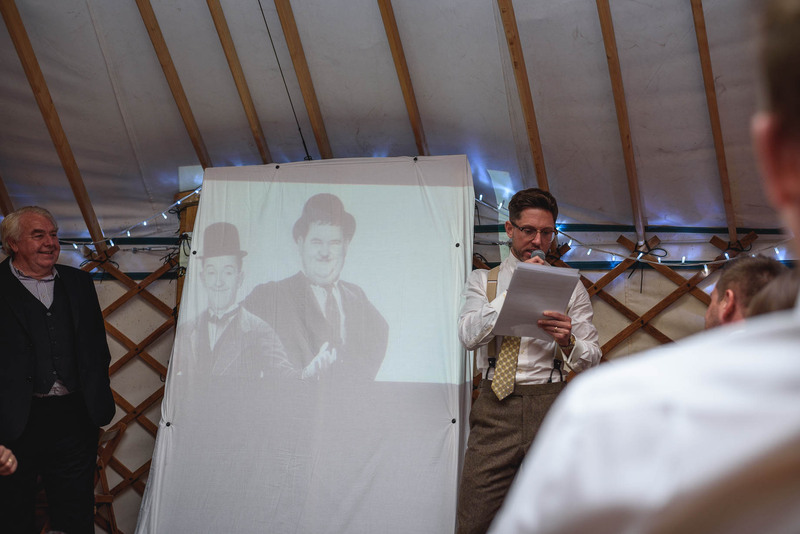 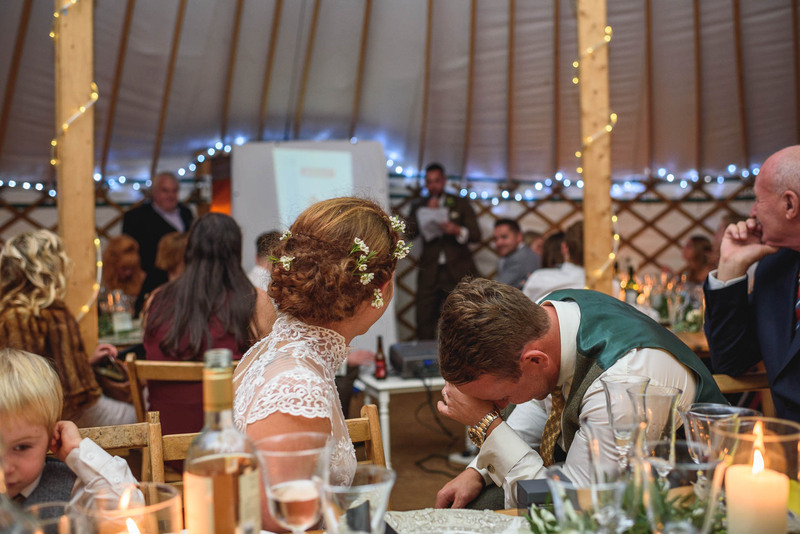 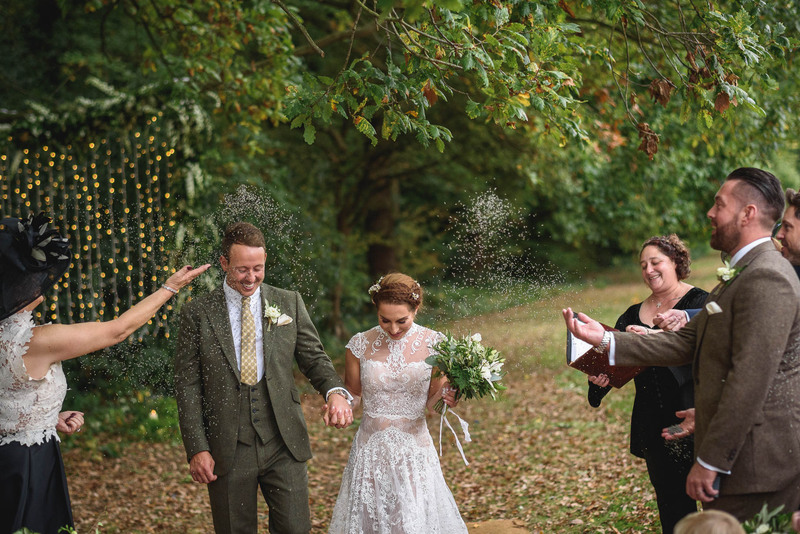 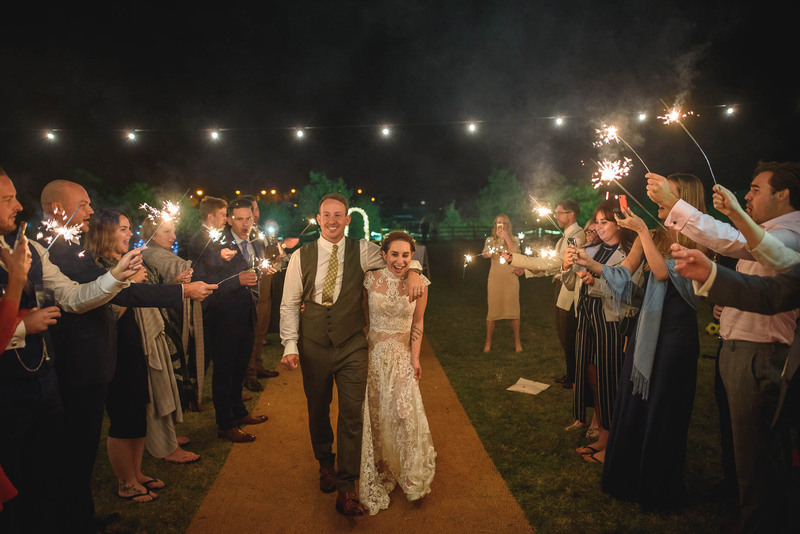 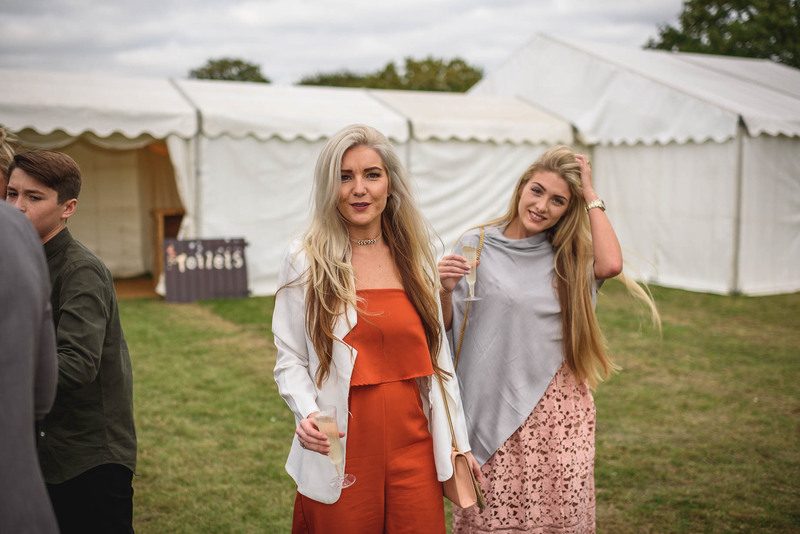 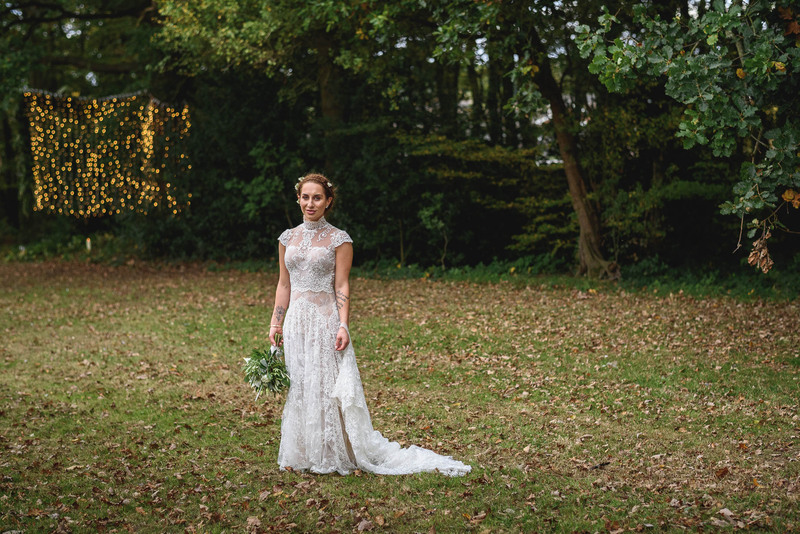 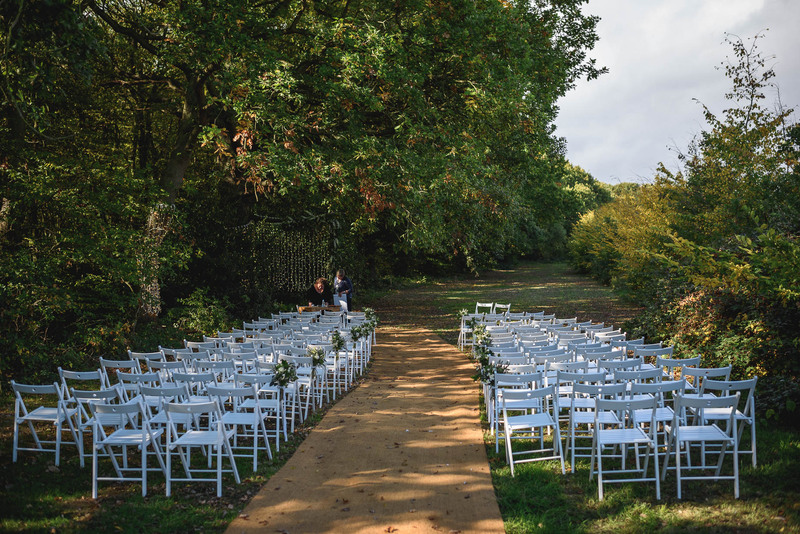 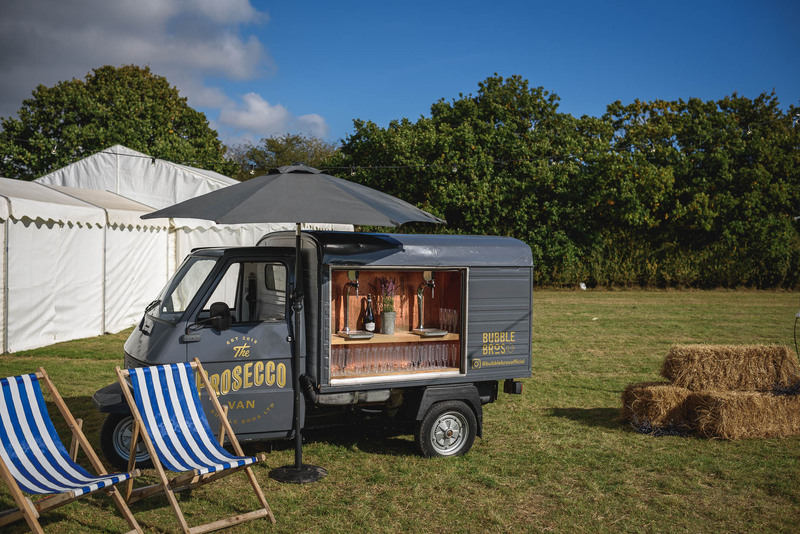 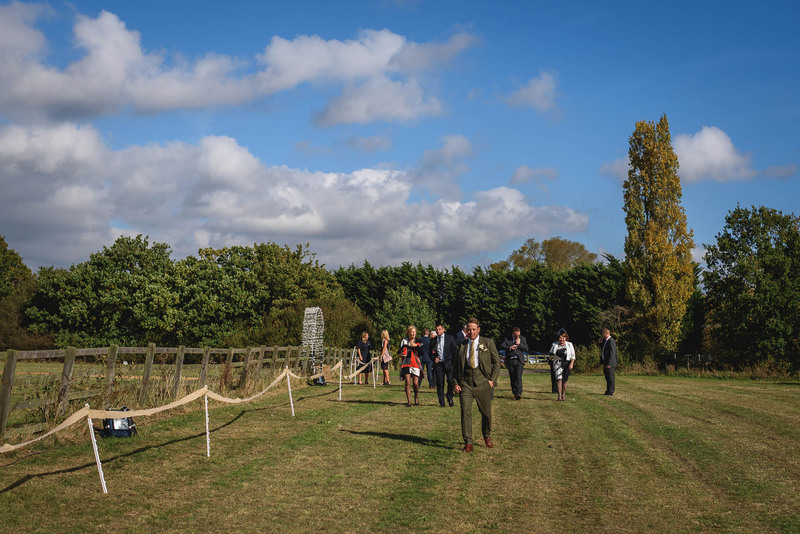 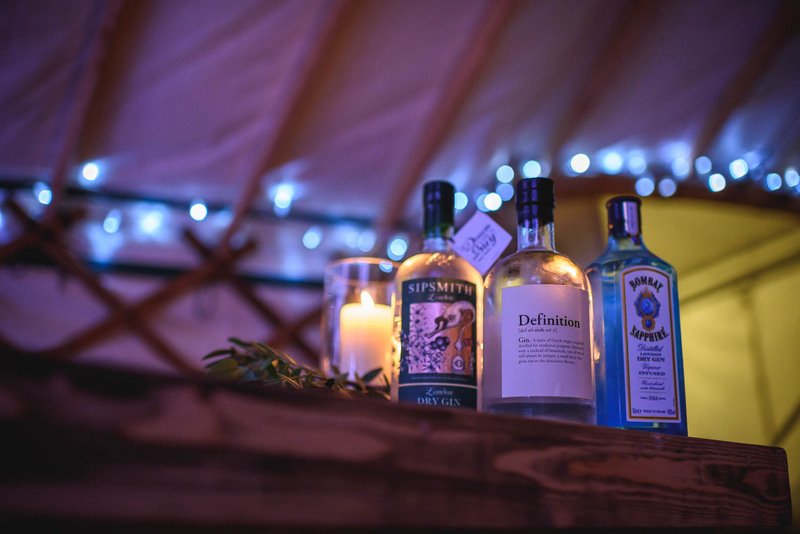 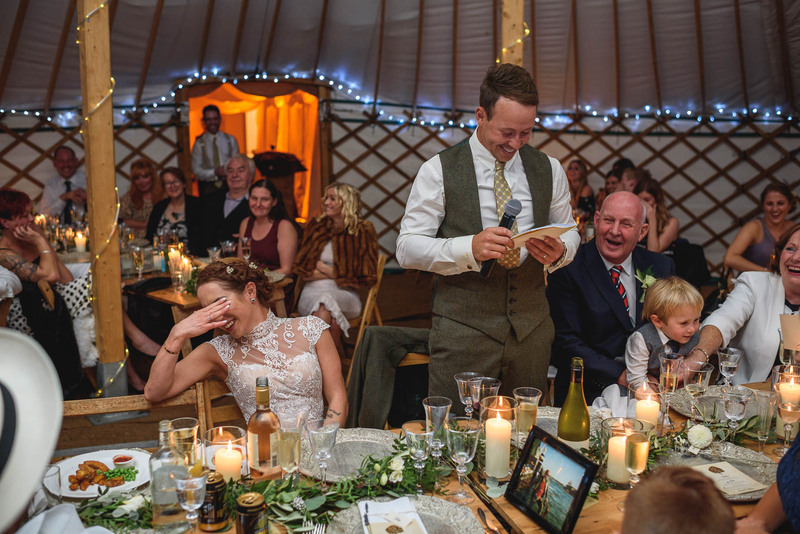 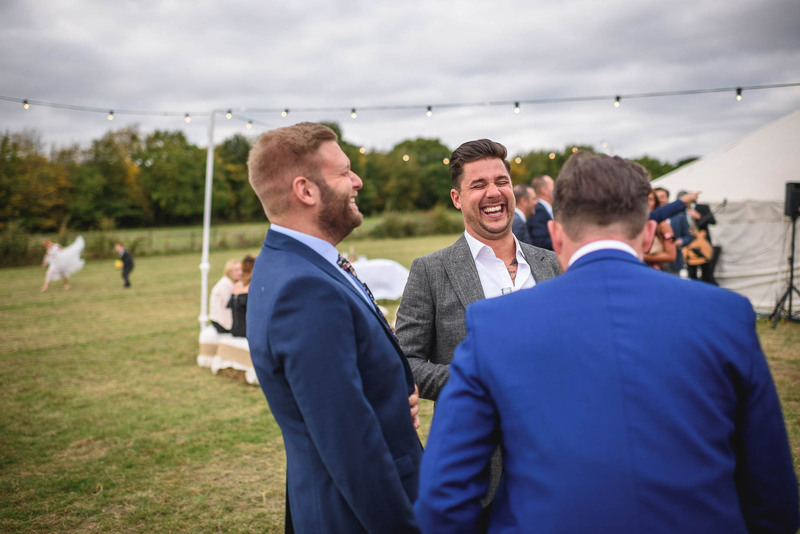 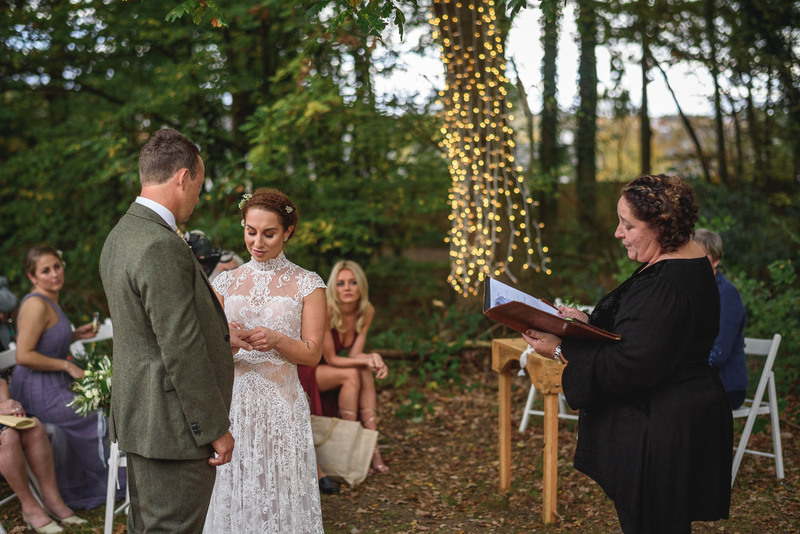 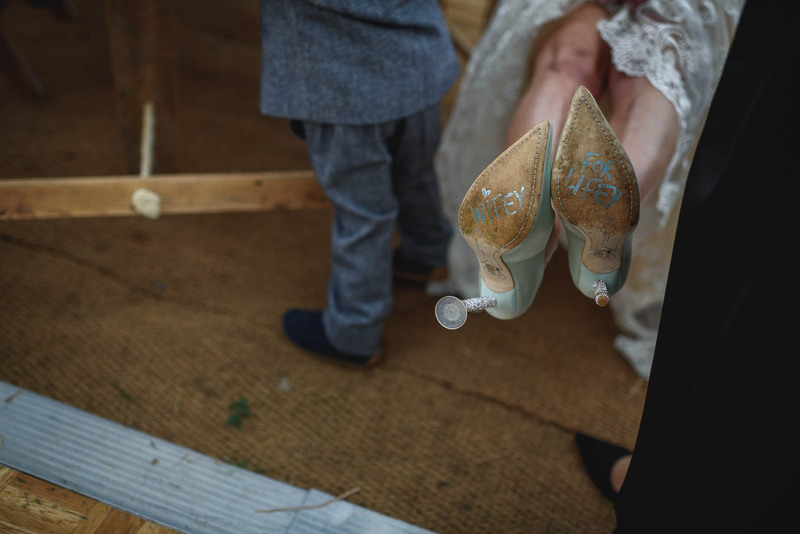 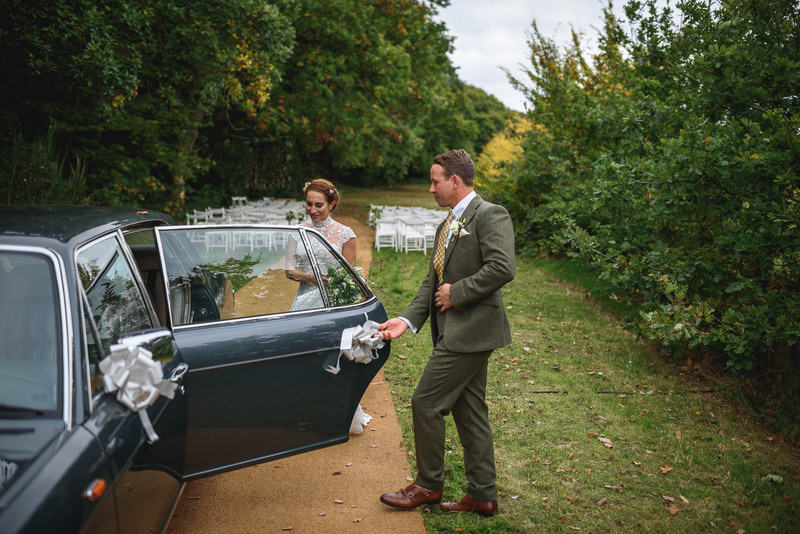 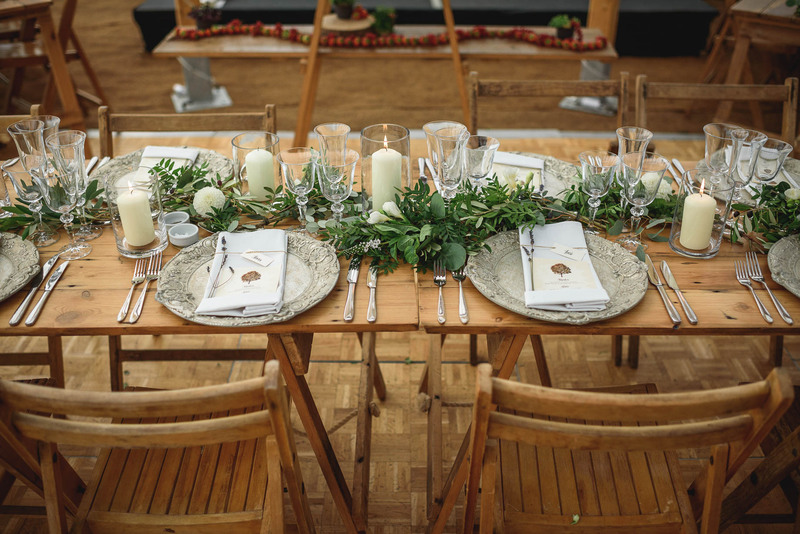 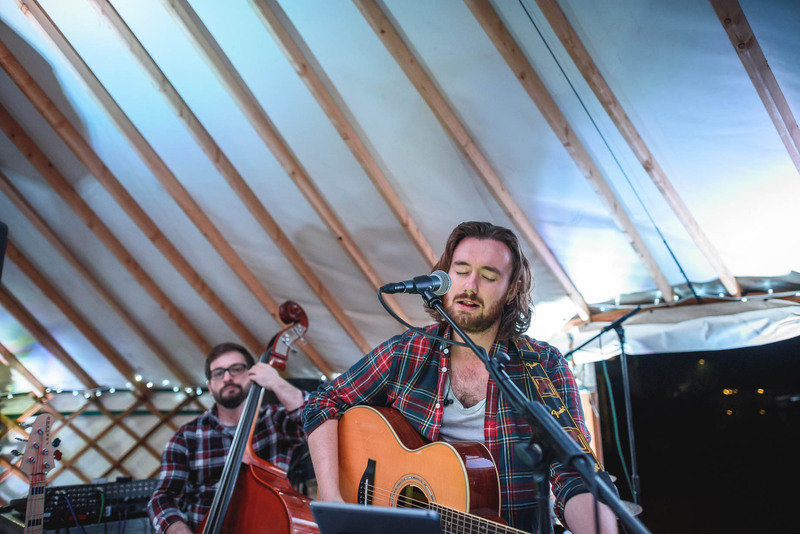 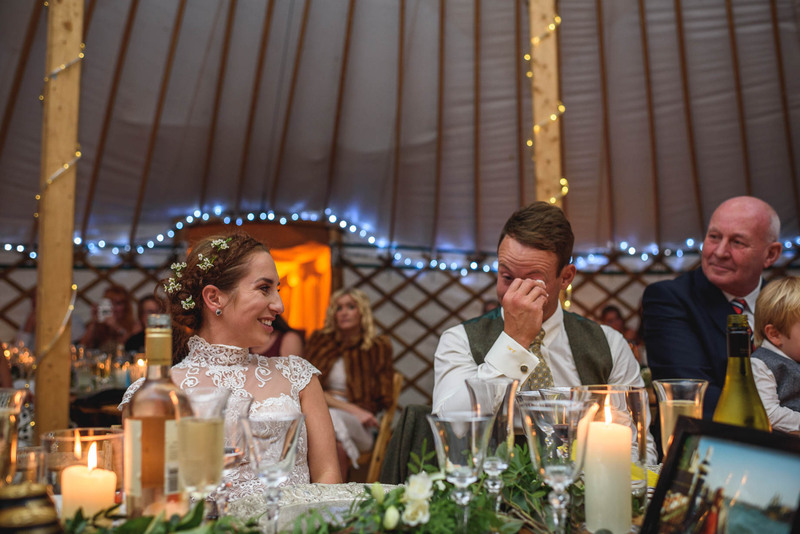 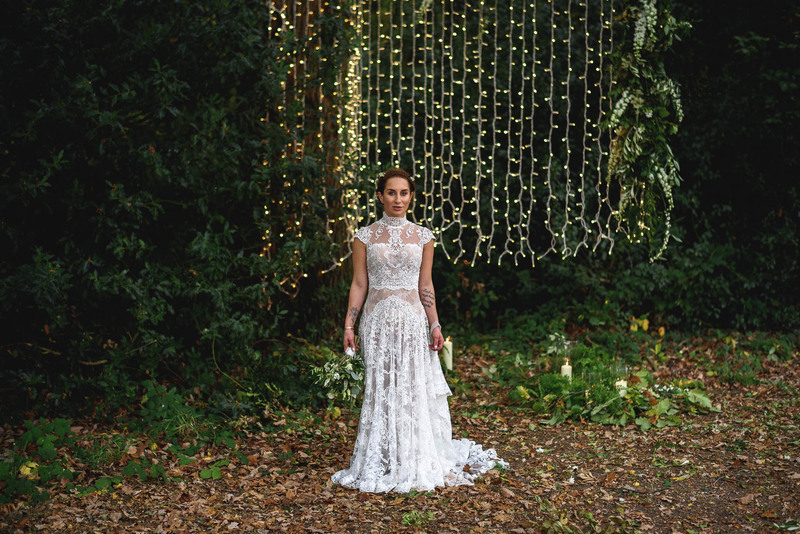 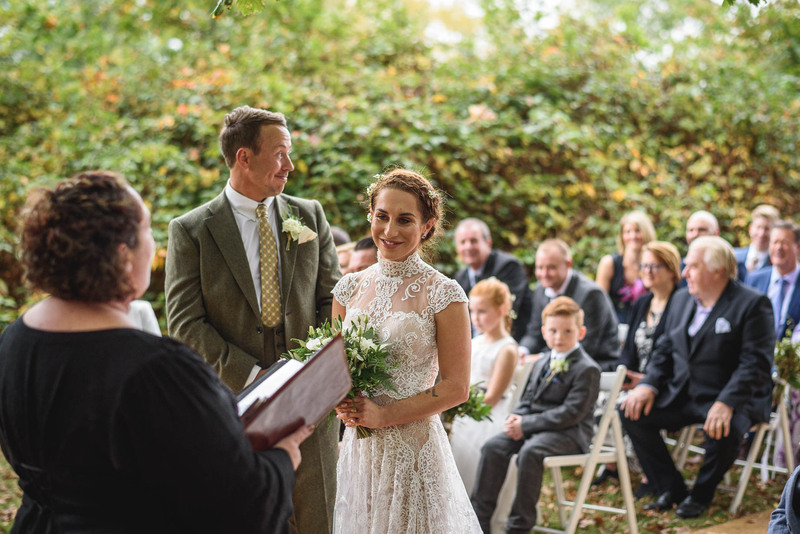 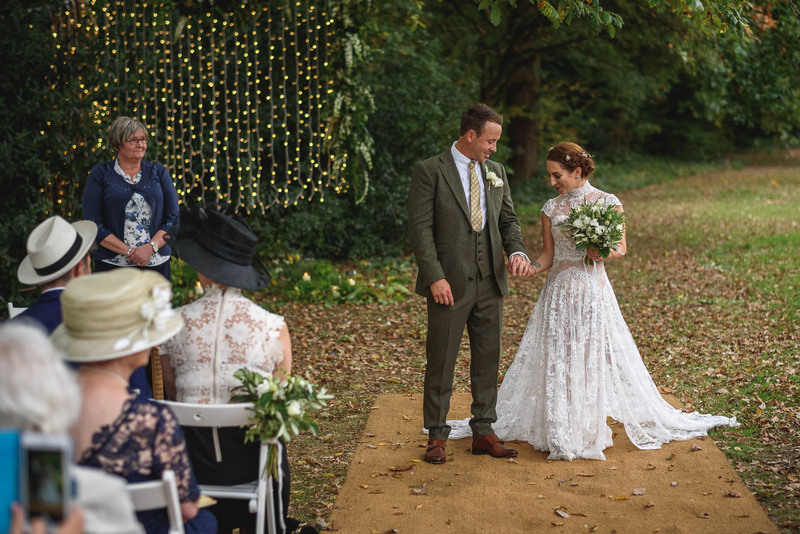 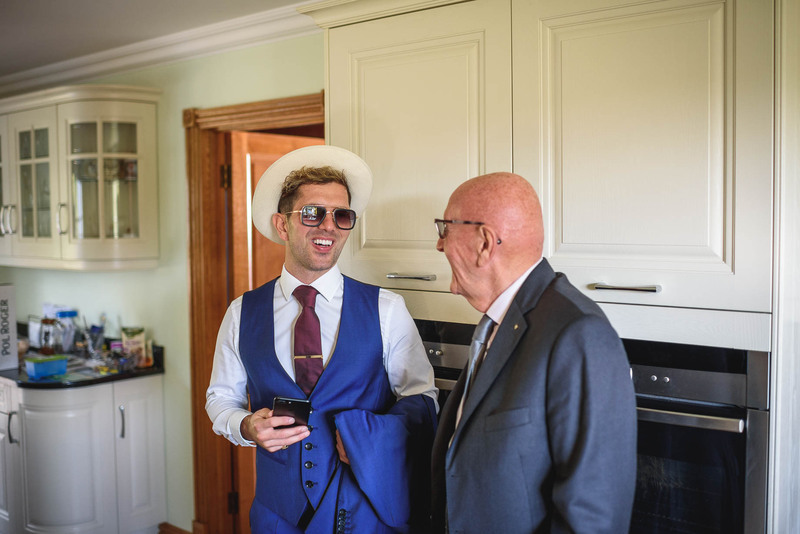 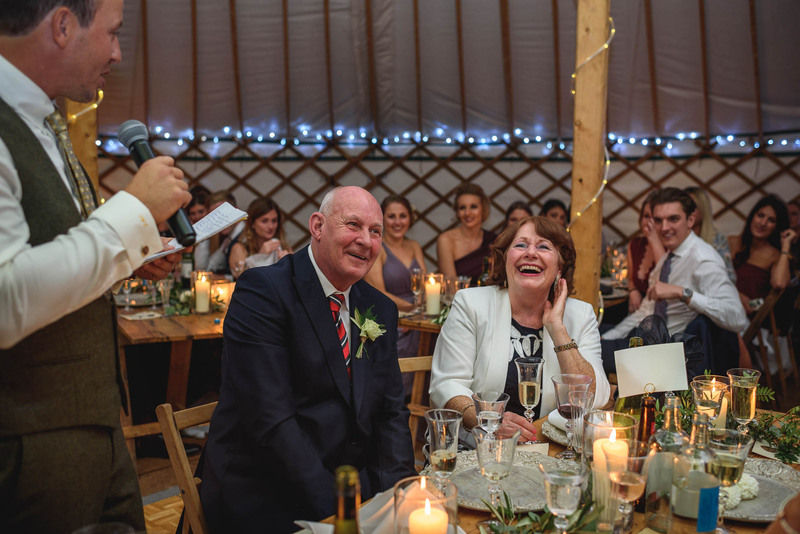 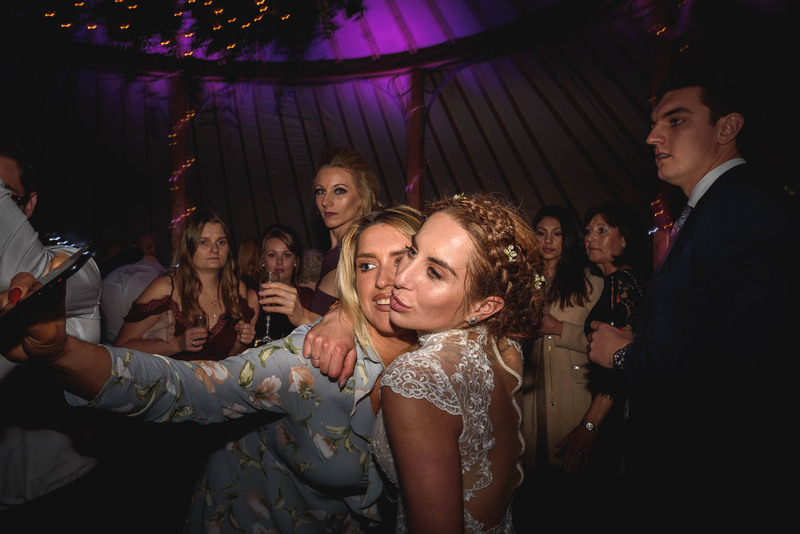 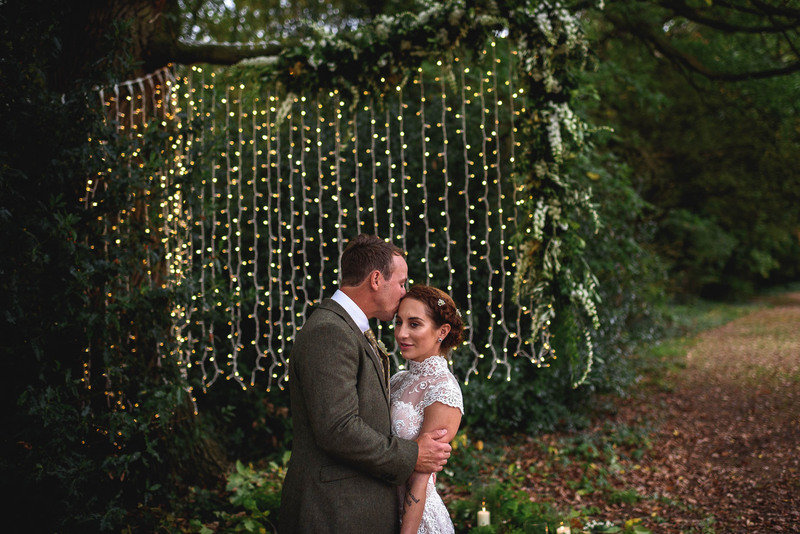 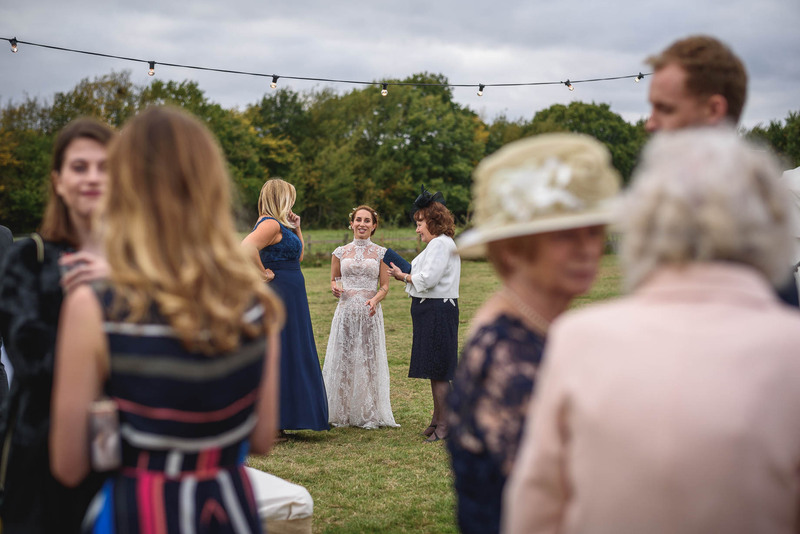 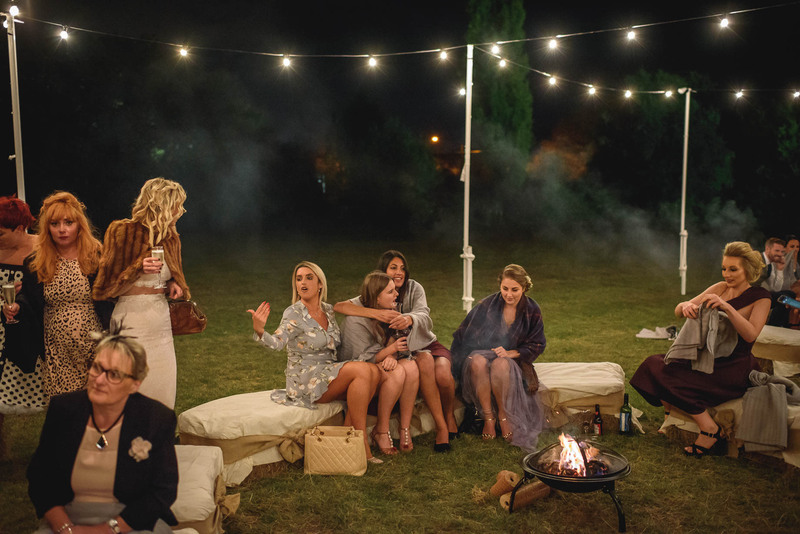 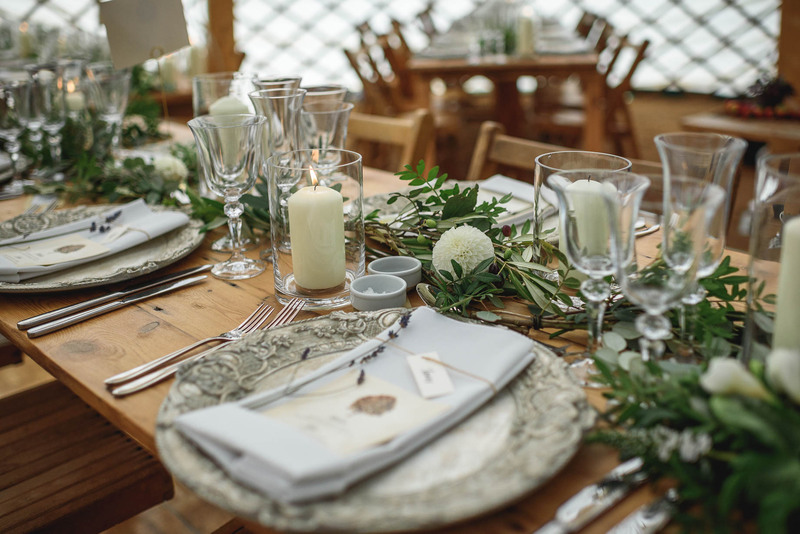 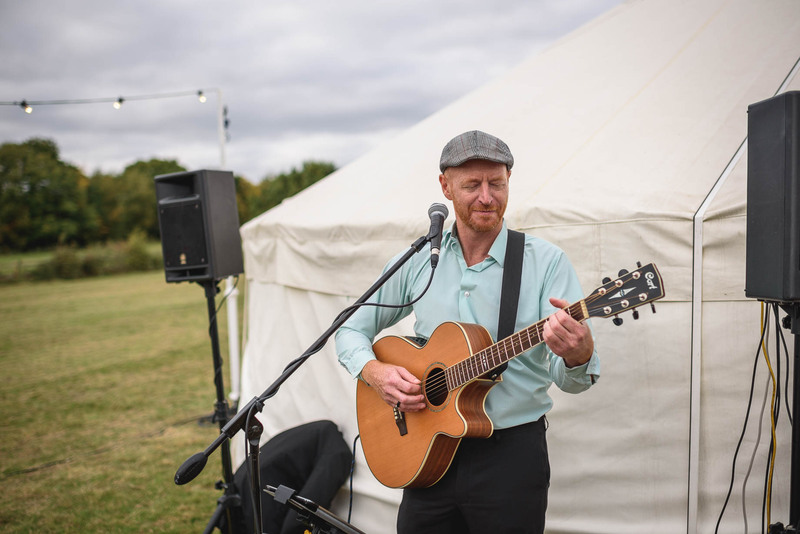 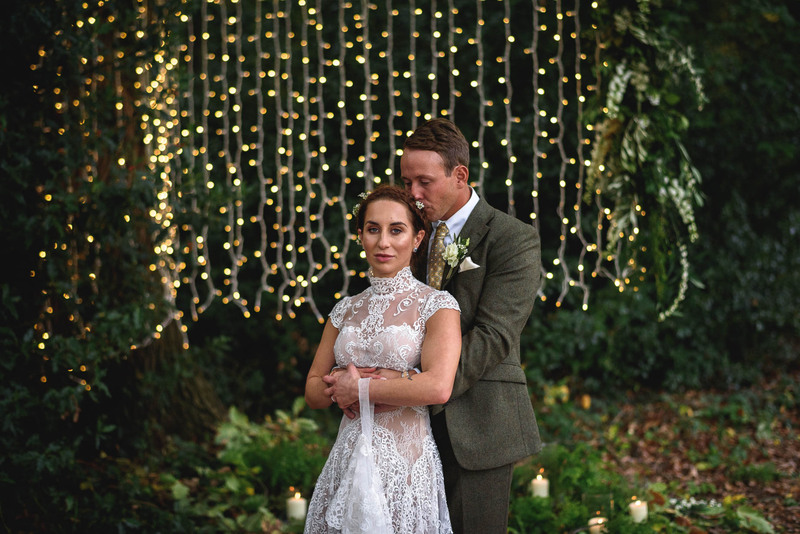 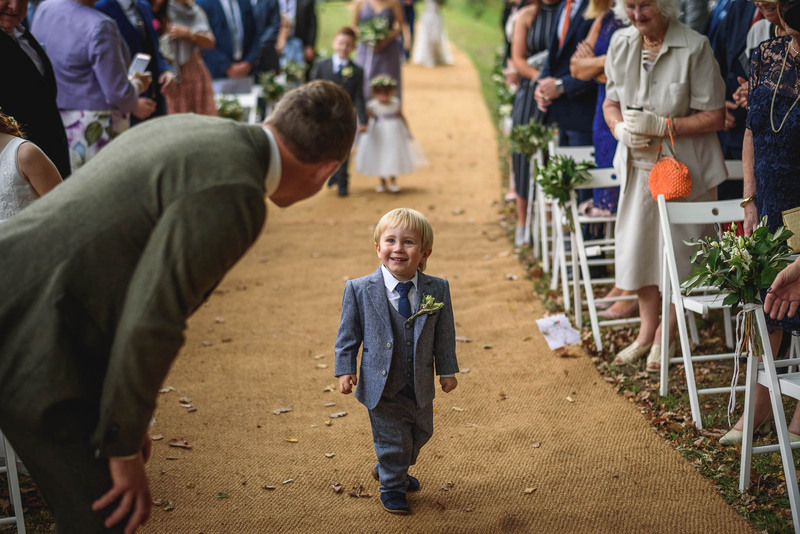 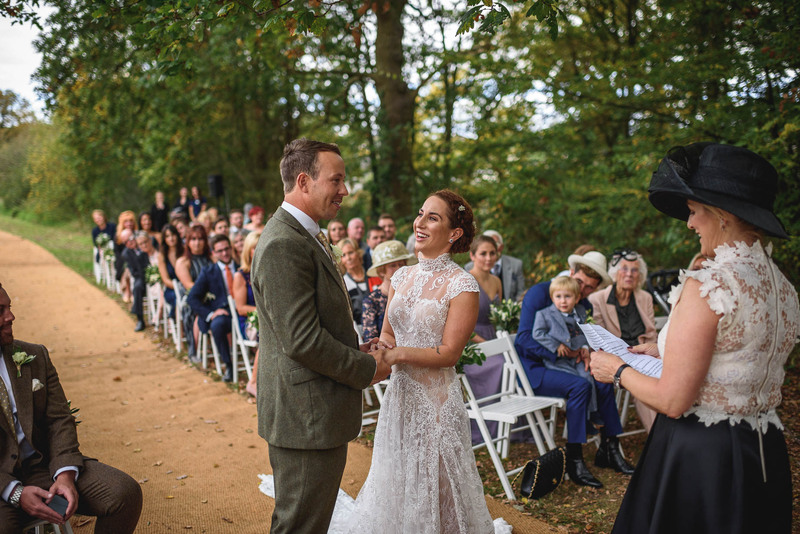 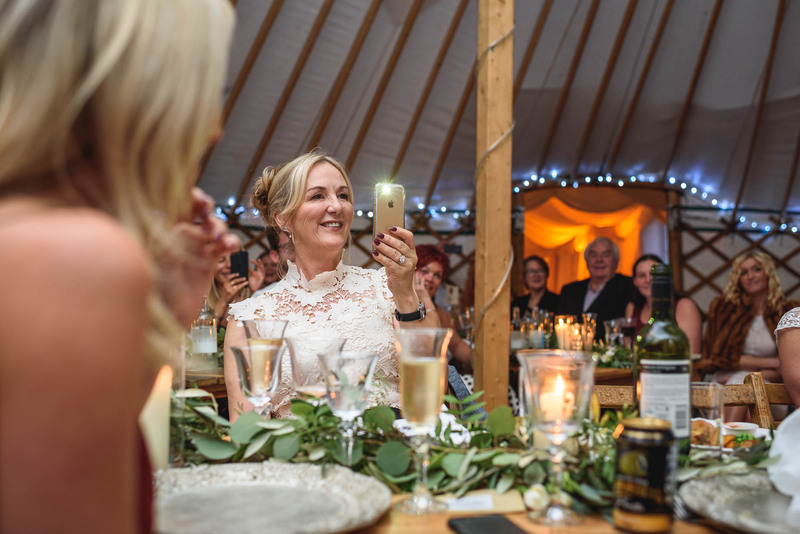 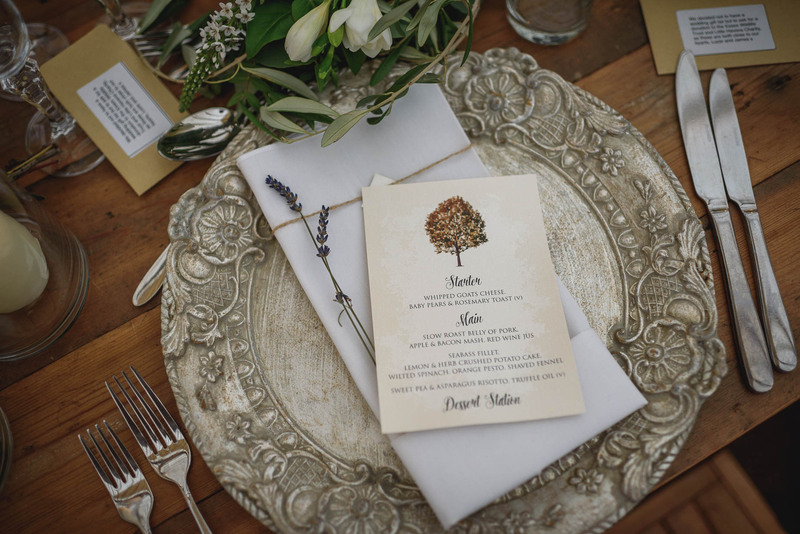 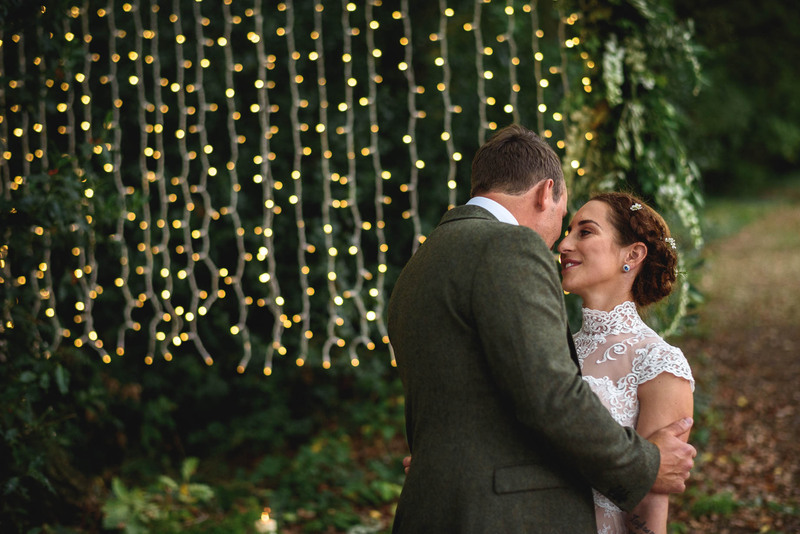 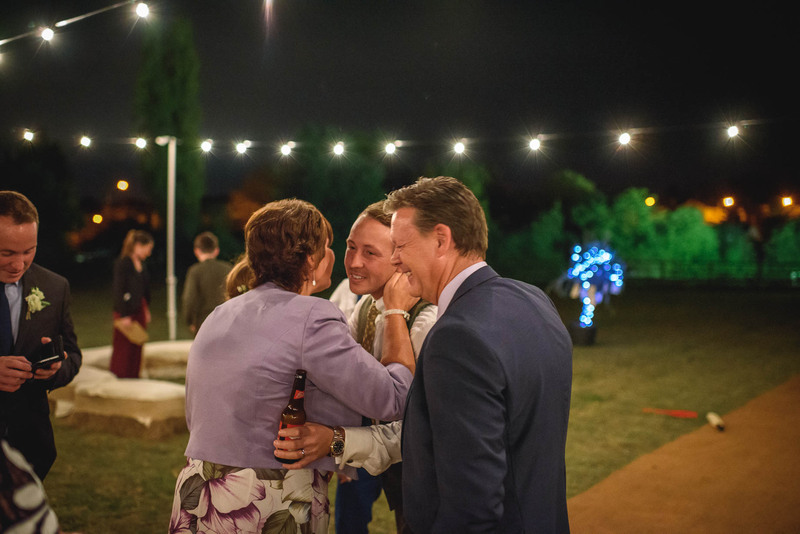 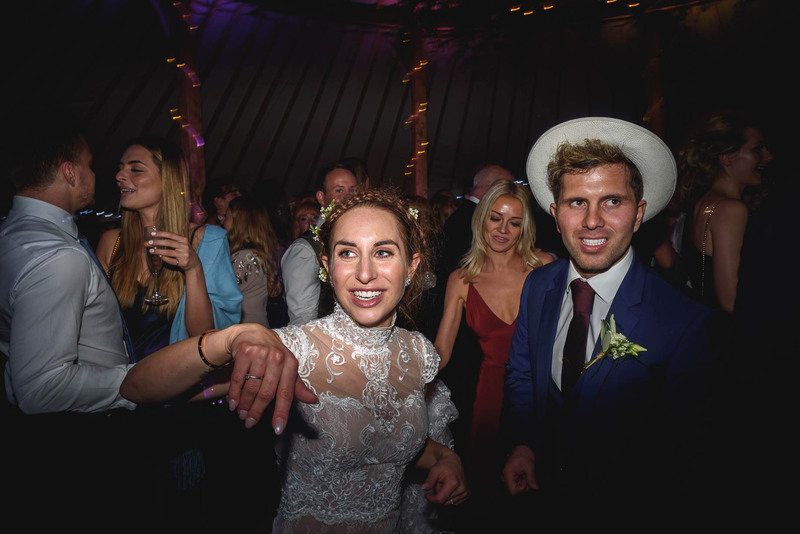 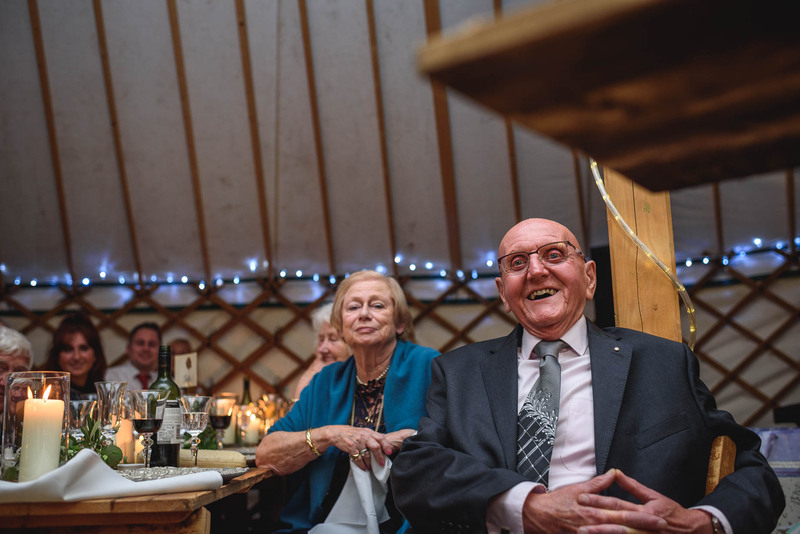 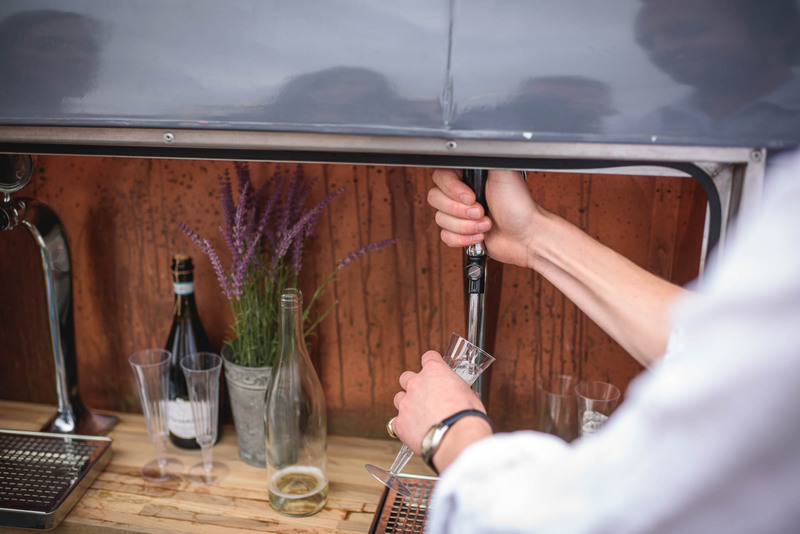 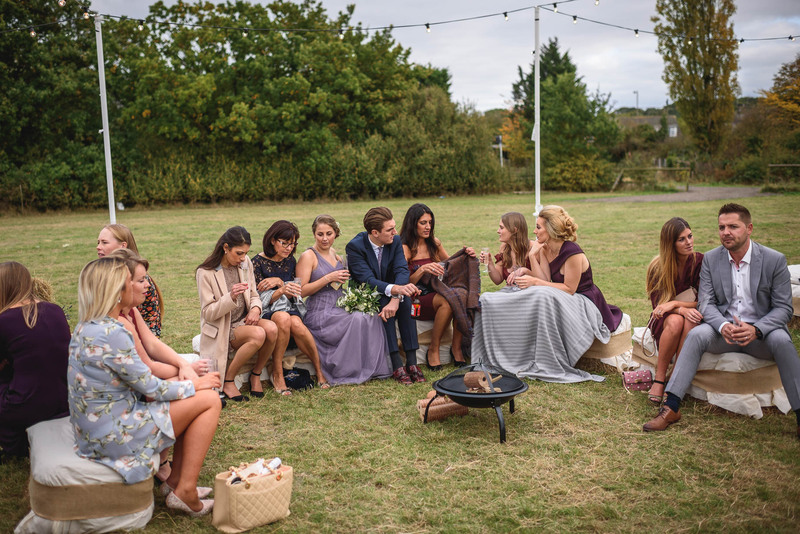 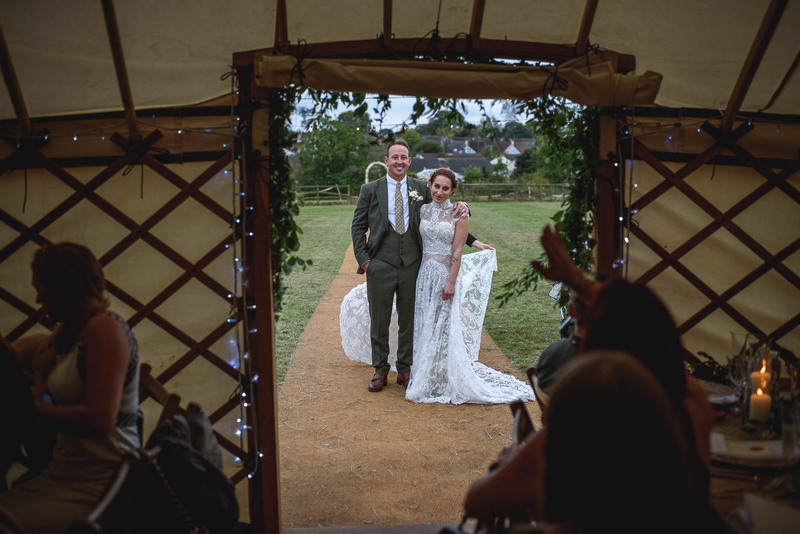 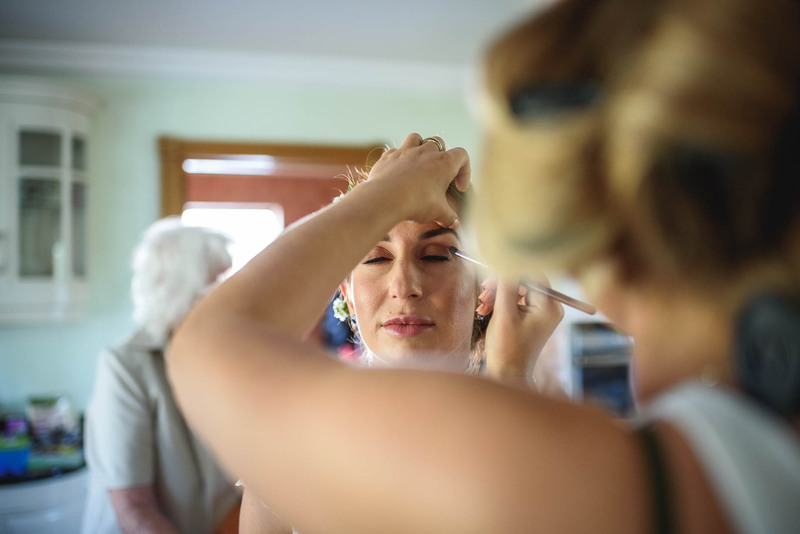 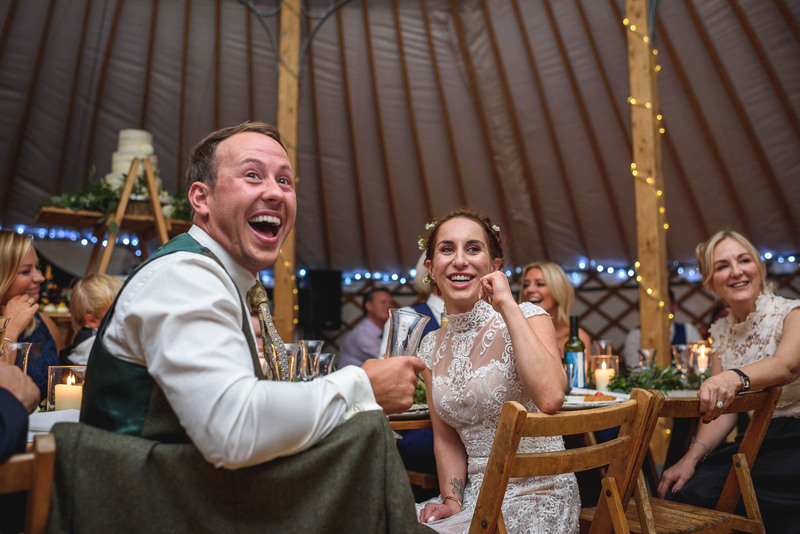 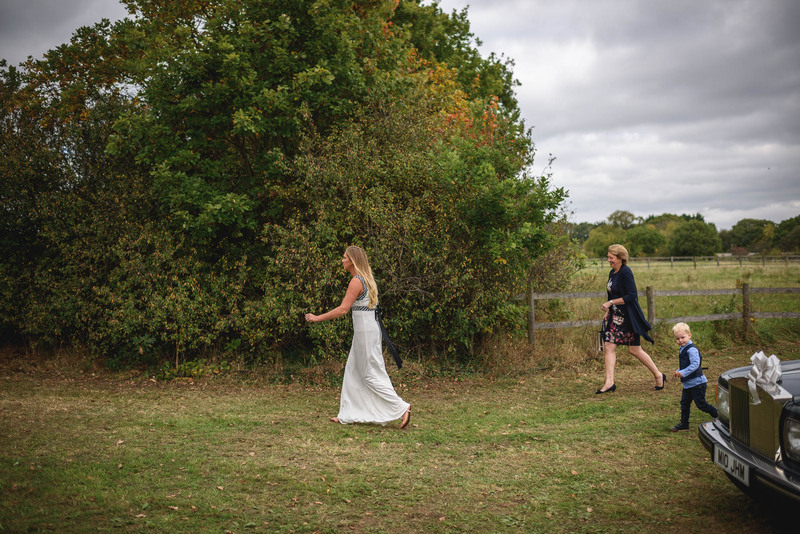 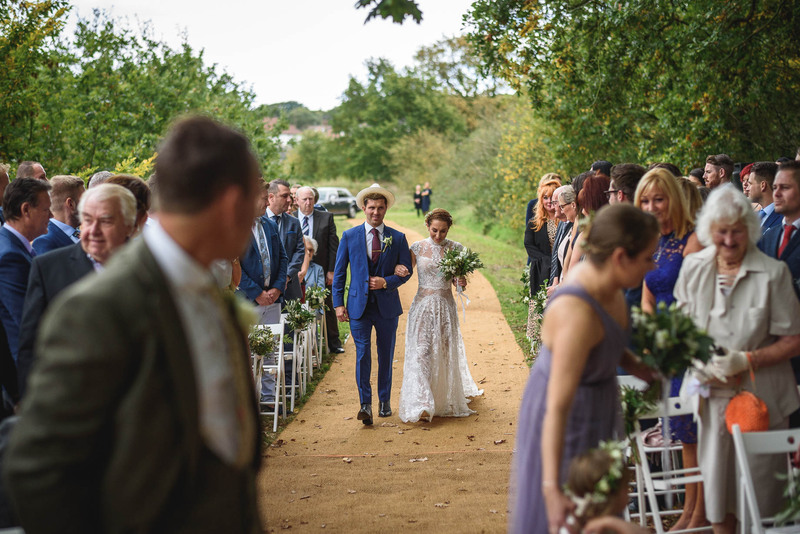 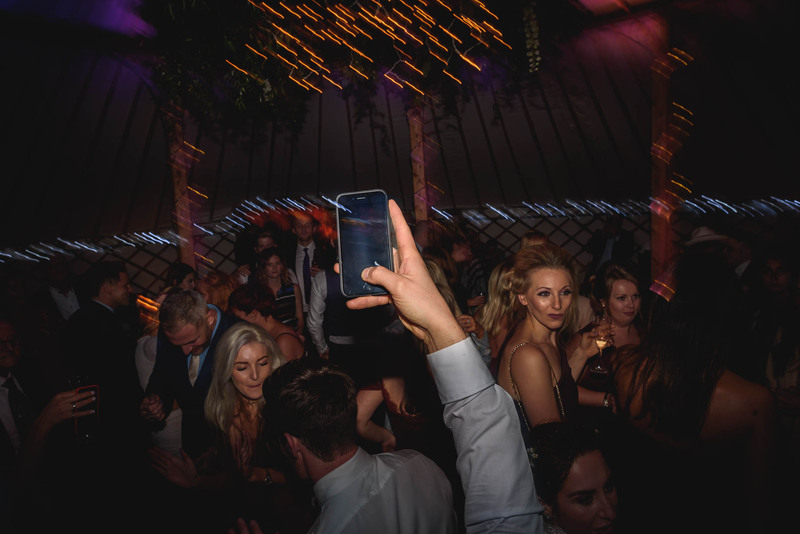 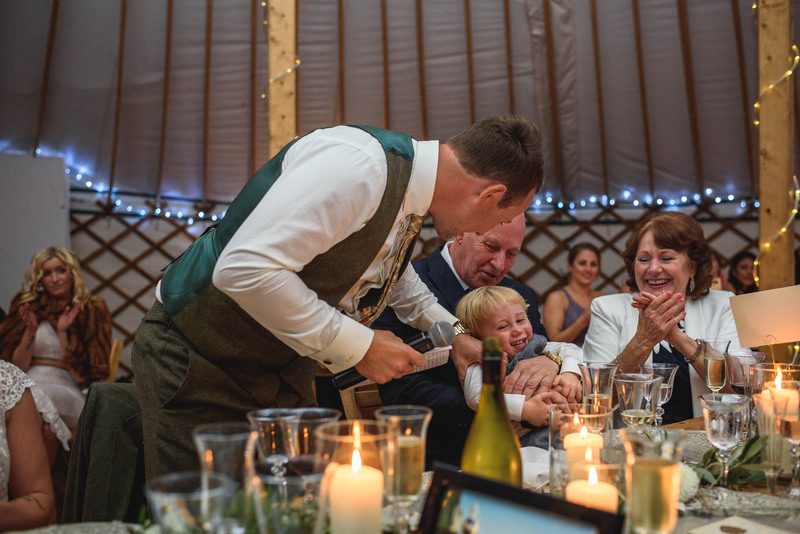 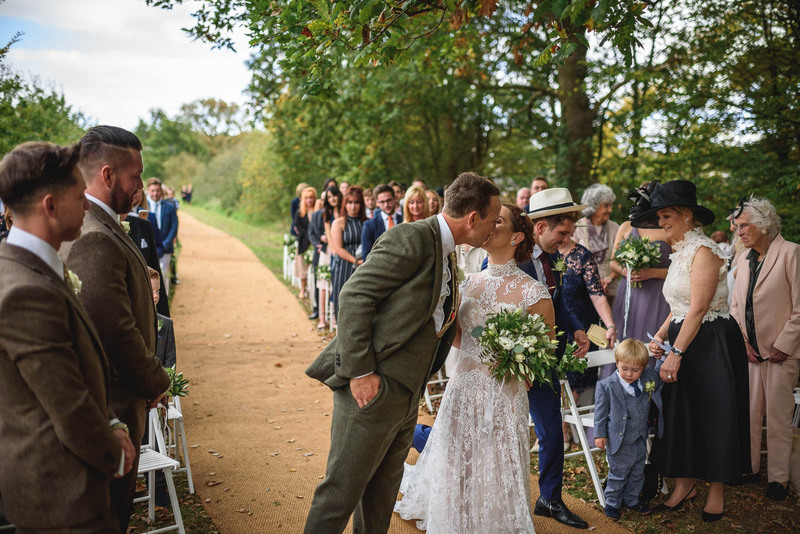 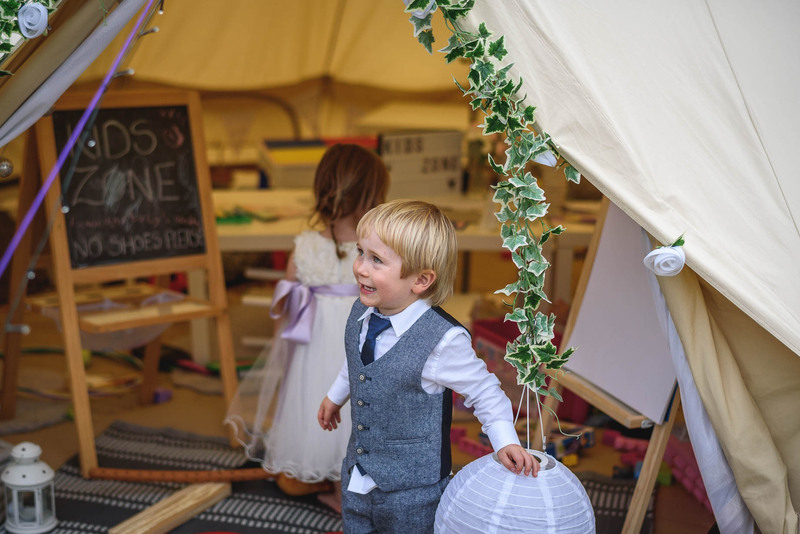 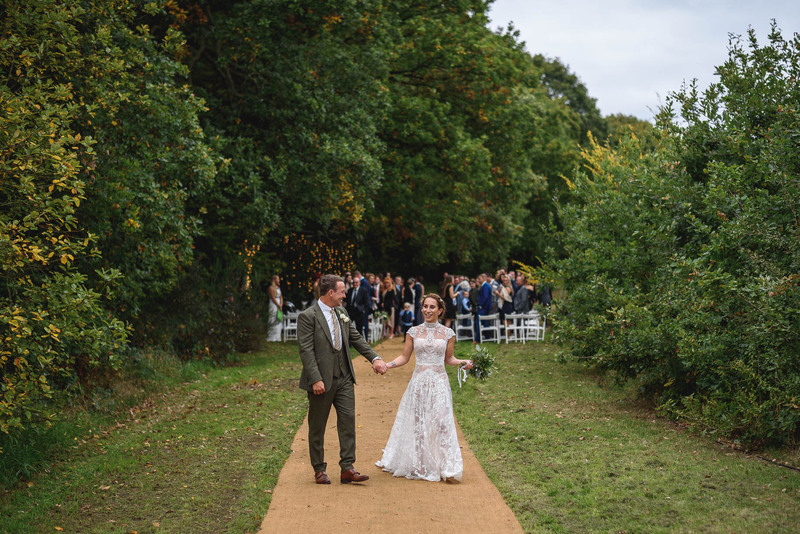 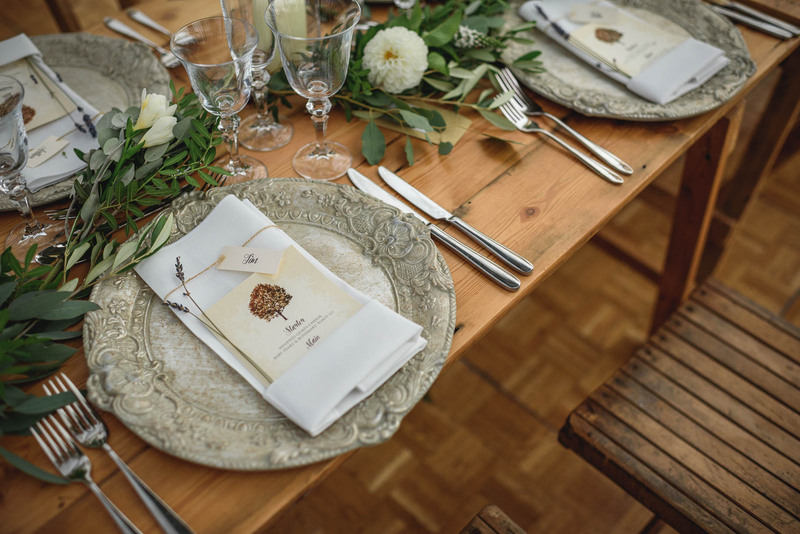 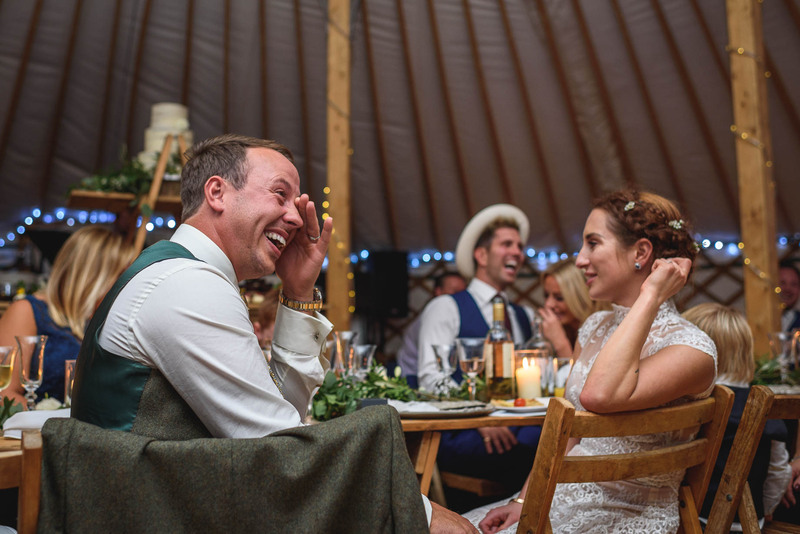 Talking of excellence, there’s a long list of suppliers on this wedding and aside from those mentioned already they were: Limeberry Catering, Anthology Vintage Hire, Green Yurts, Julia Hill, Little Pop Bake Shop, Duchess Butler, The Finer Details, Vicarage Marquees. 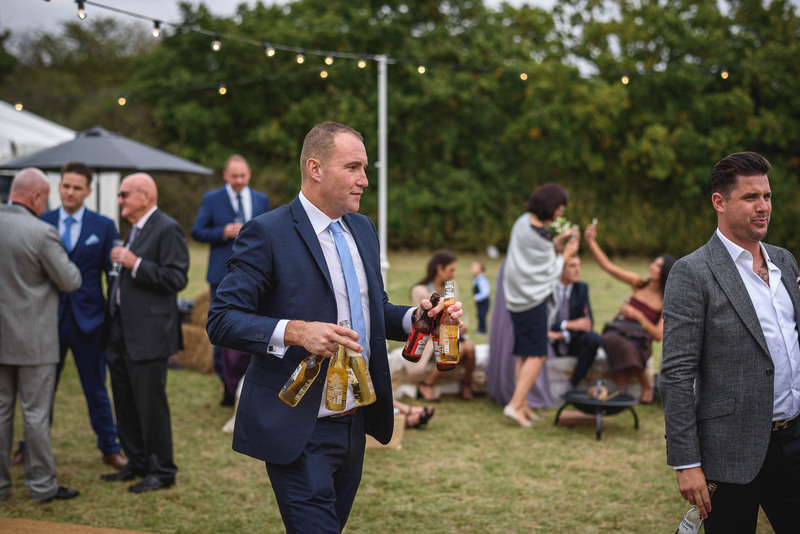 Excellence all round from people who really know what they’re doing. 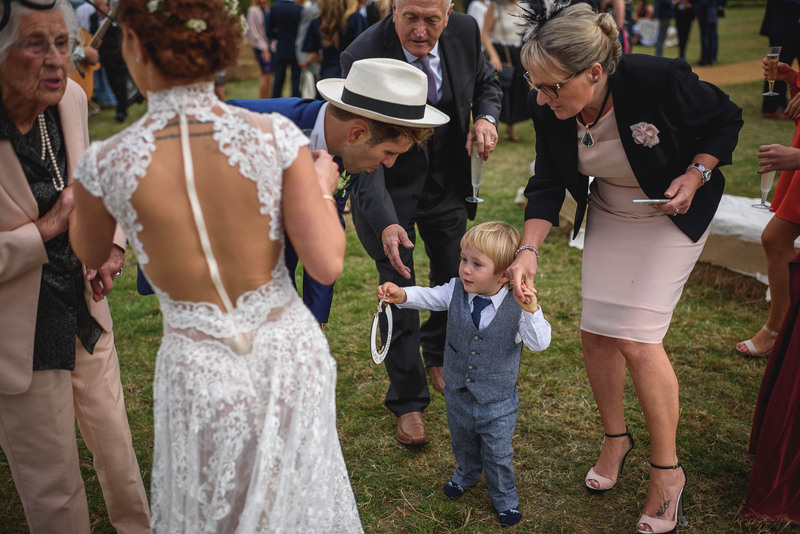 High fives all round. 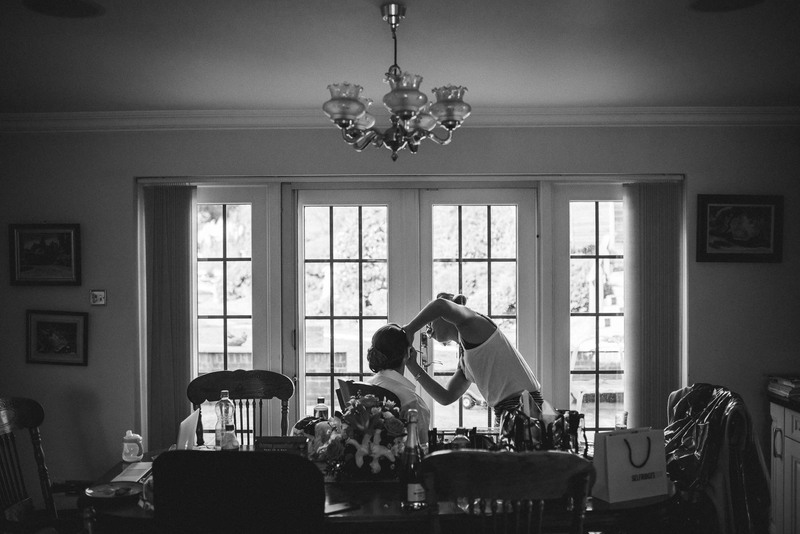 Central to all of this, as you’d expect,were two people. 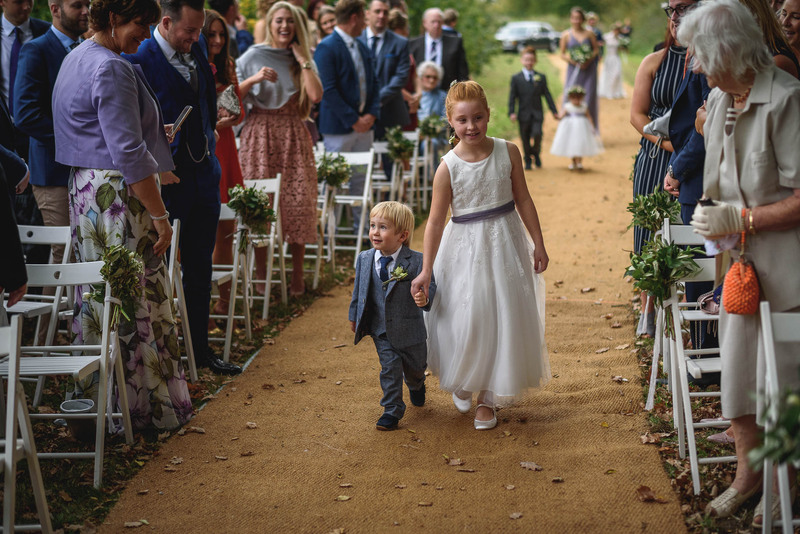 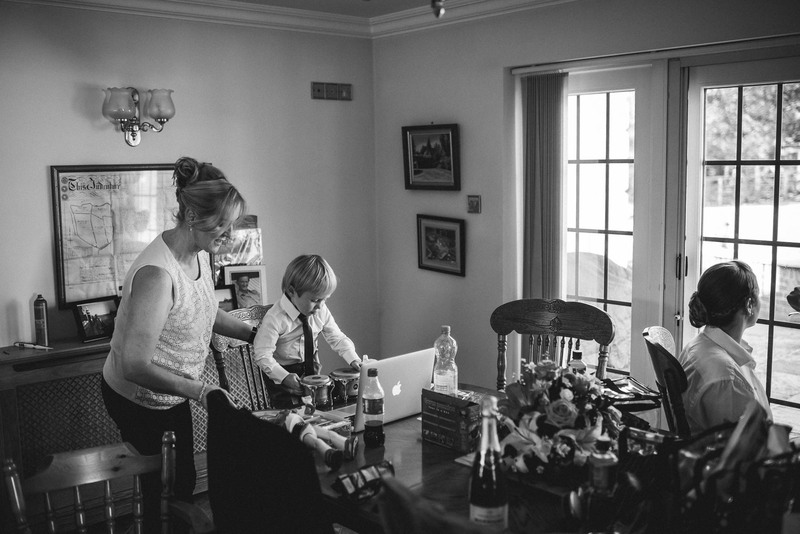 Lucie and James. 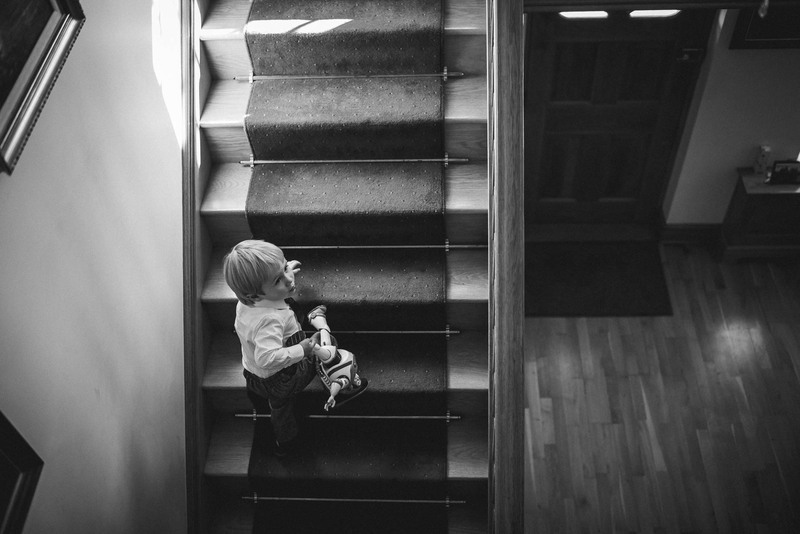 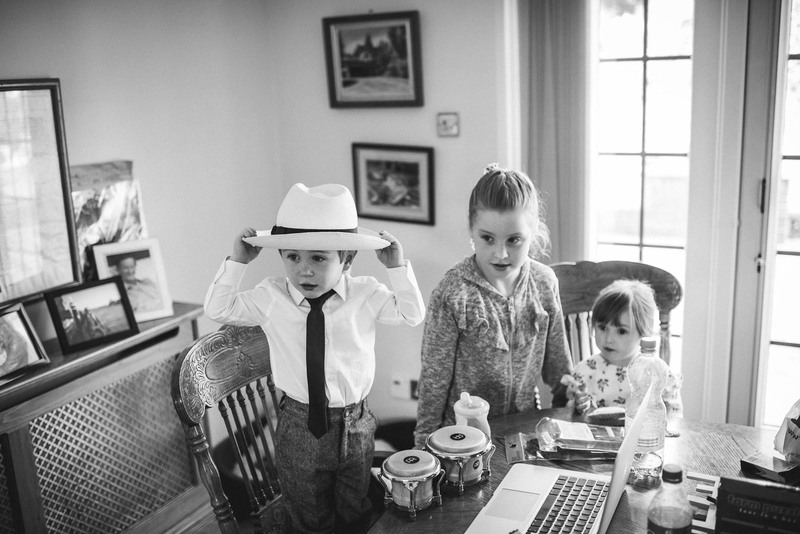 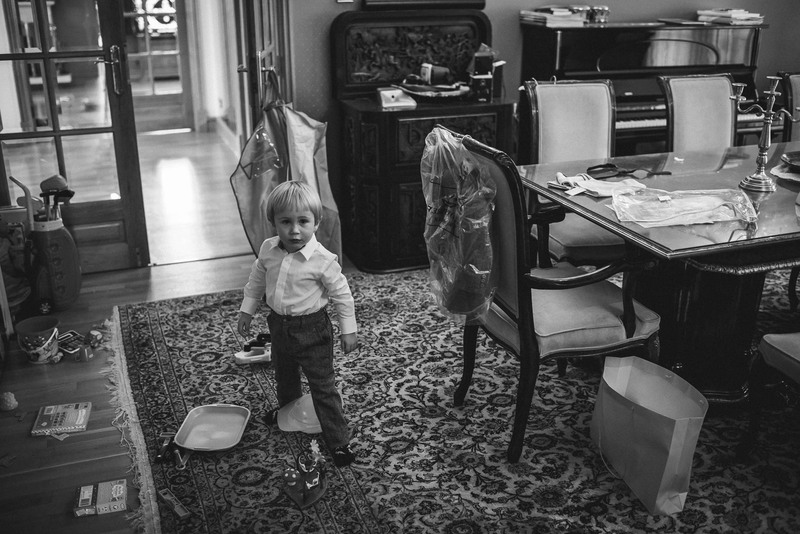 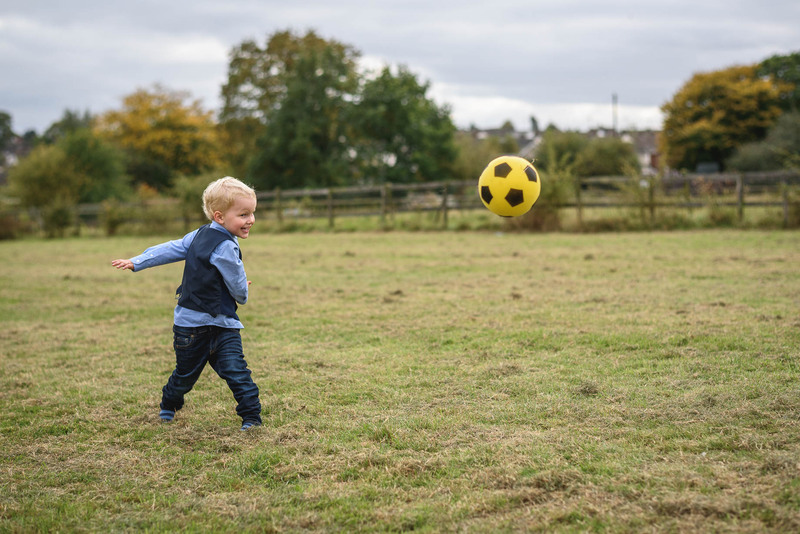 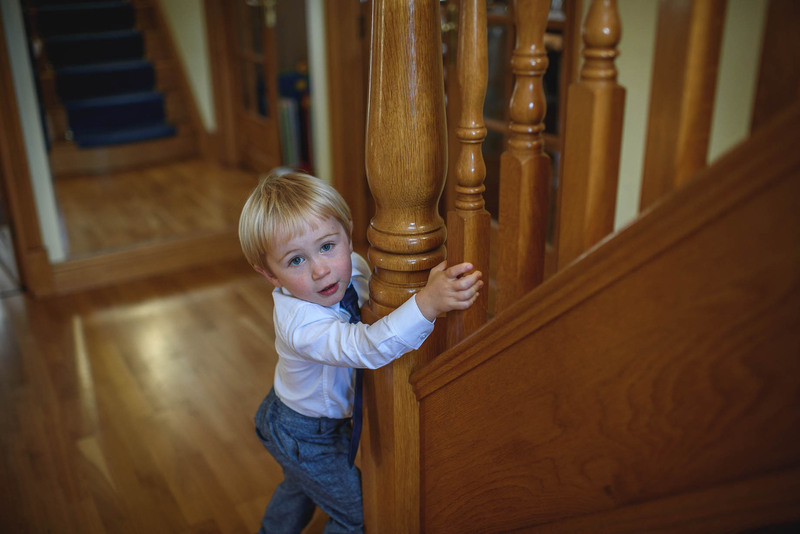 Their life together had already begun as they’ve become three and a family. 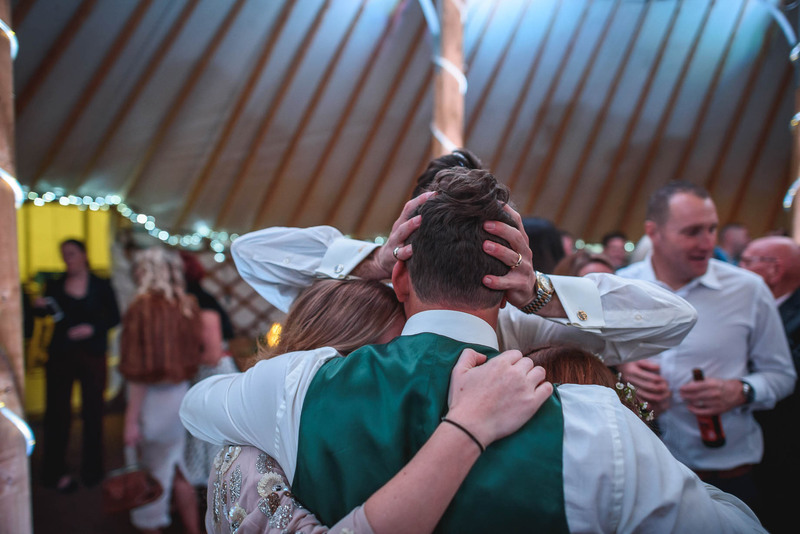 Together they’ve faced down sorrow. 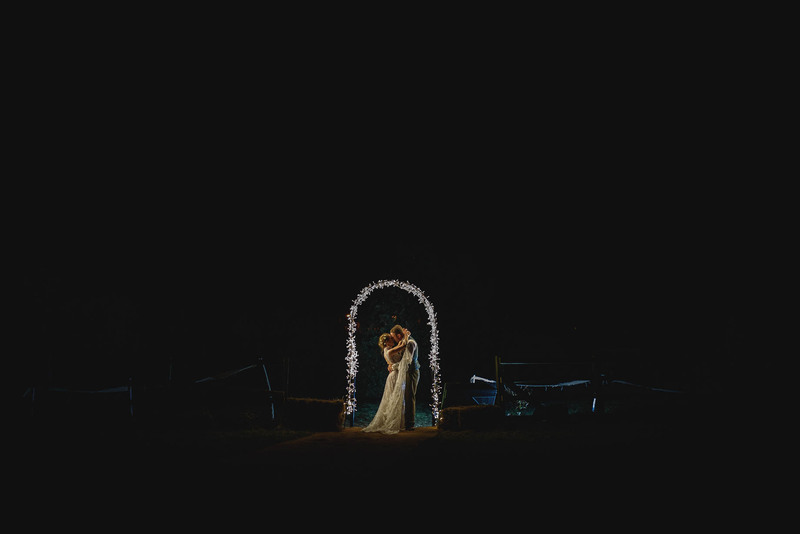 Today they turned together to face the sun and the shadows fell behind them. 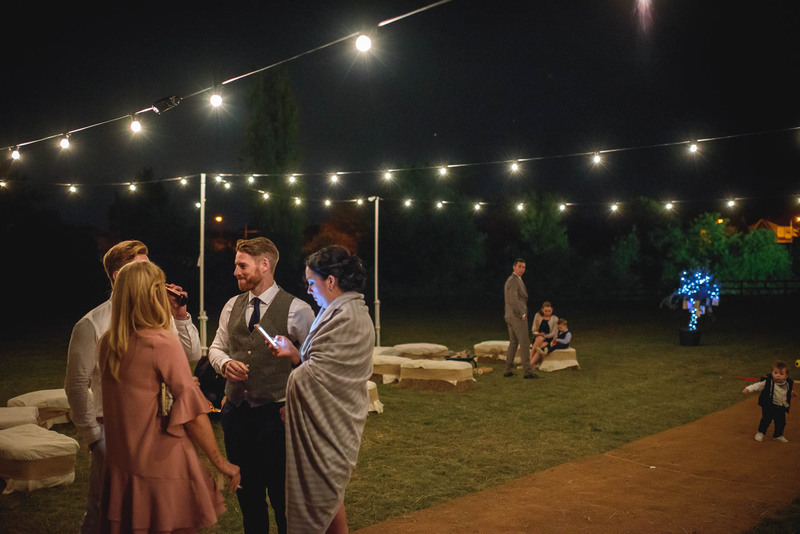 I was lucky to be in the middle of all of this. 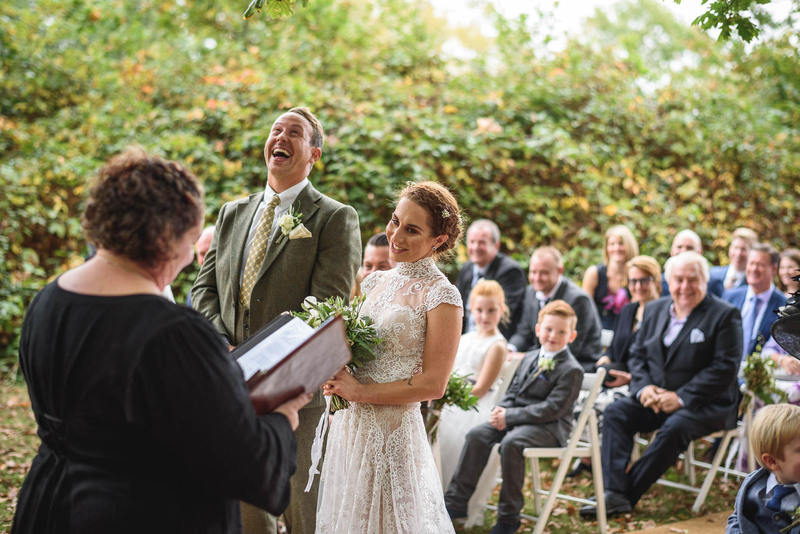 A long drive home was filled with memories of this wonderful couple and what was surely the perfect day together. 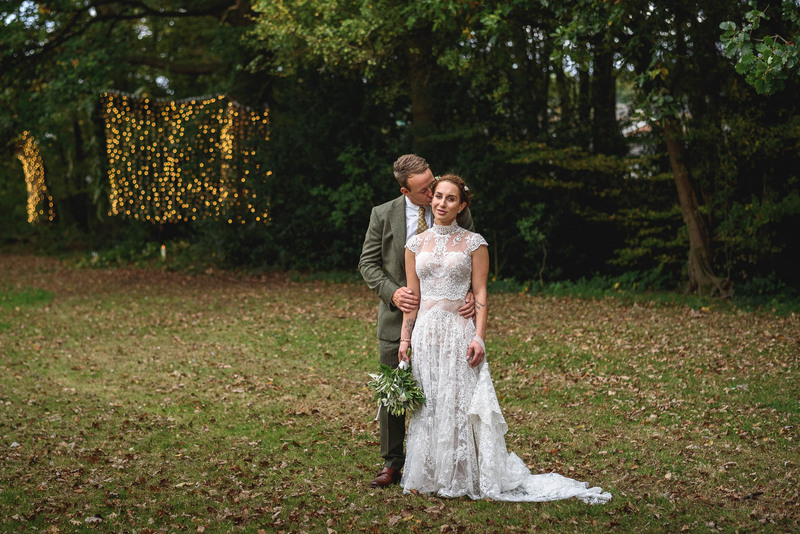 Lucie and James, thank you. 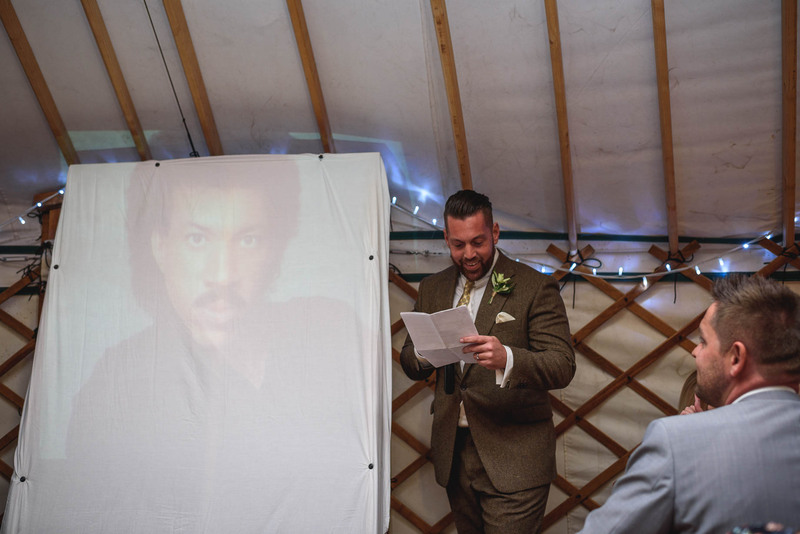 You were stellar and this is your story.